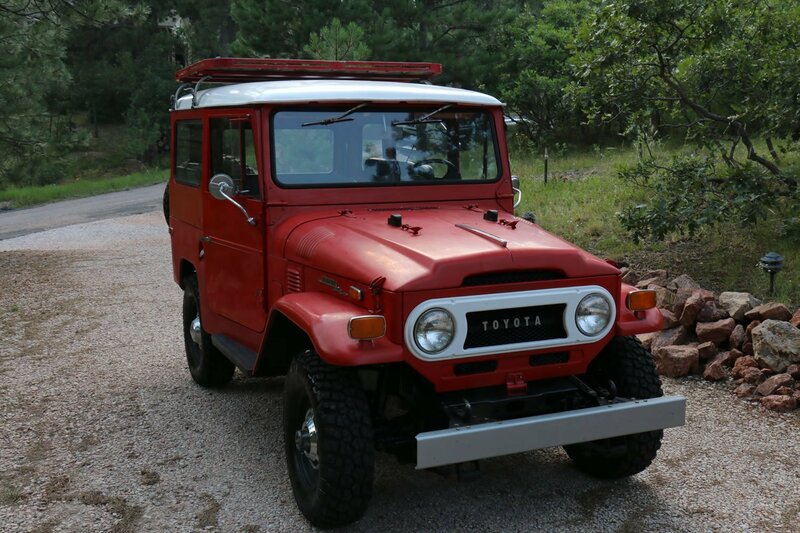 For Sale from a Red Line customer. 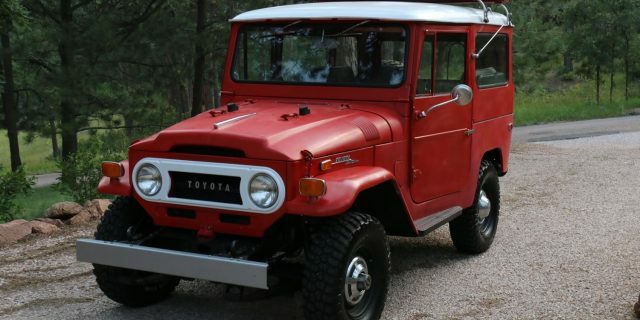 Want help selling your FJ? 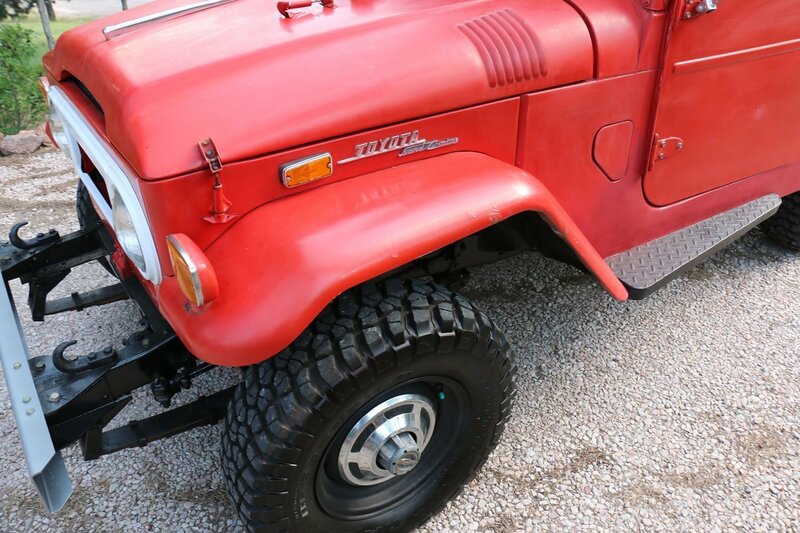 Check out our classifieds section and advertising options. 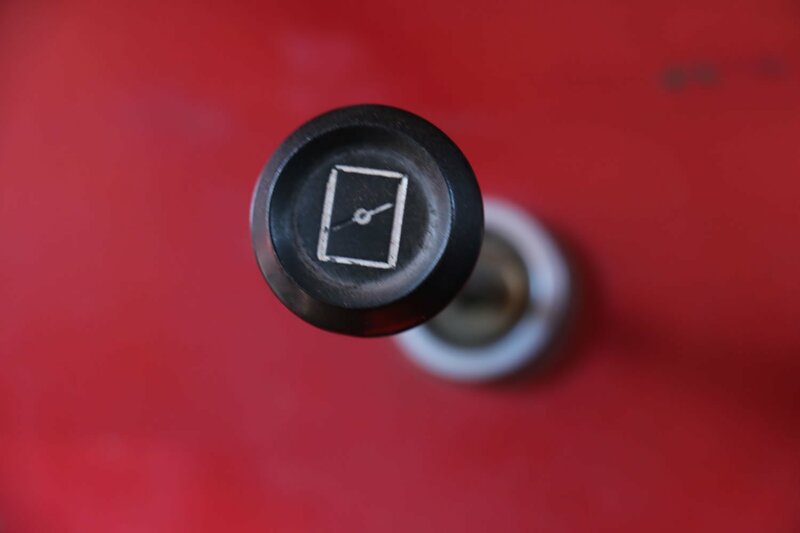 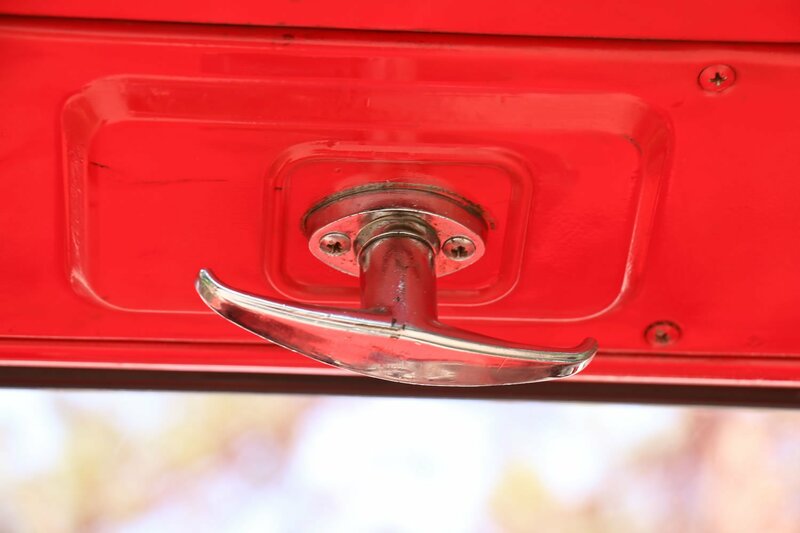 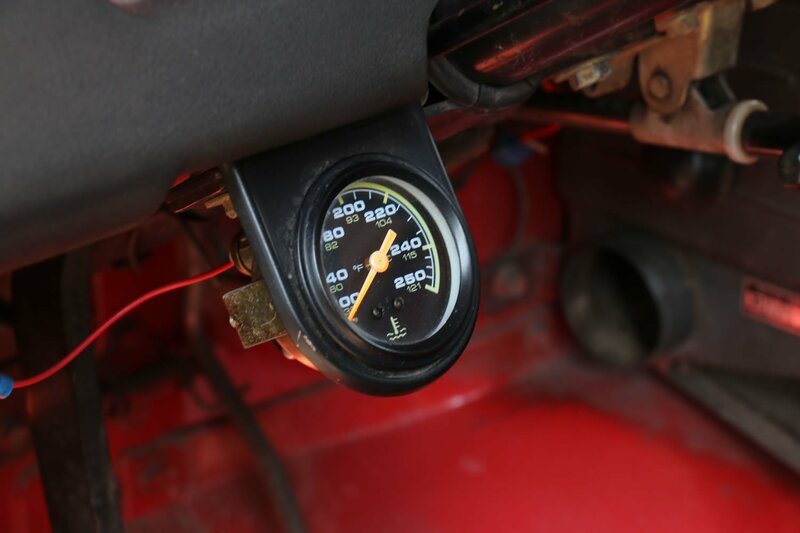 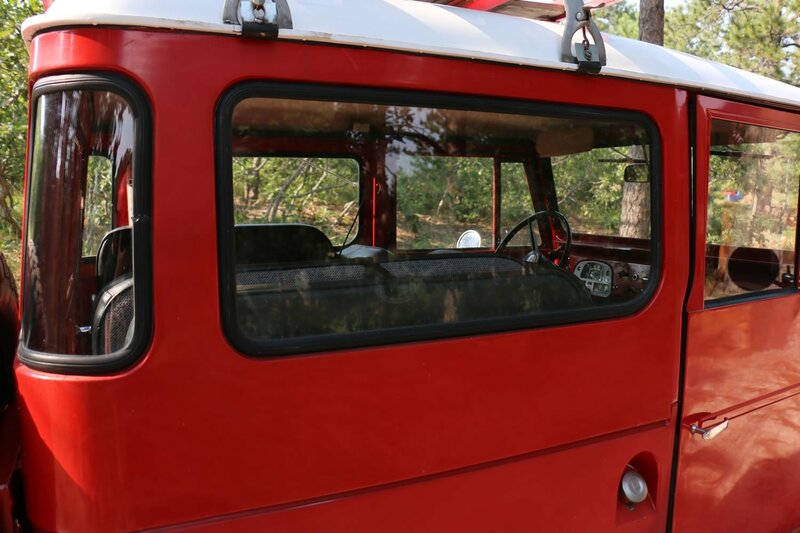 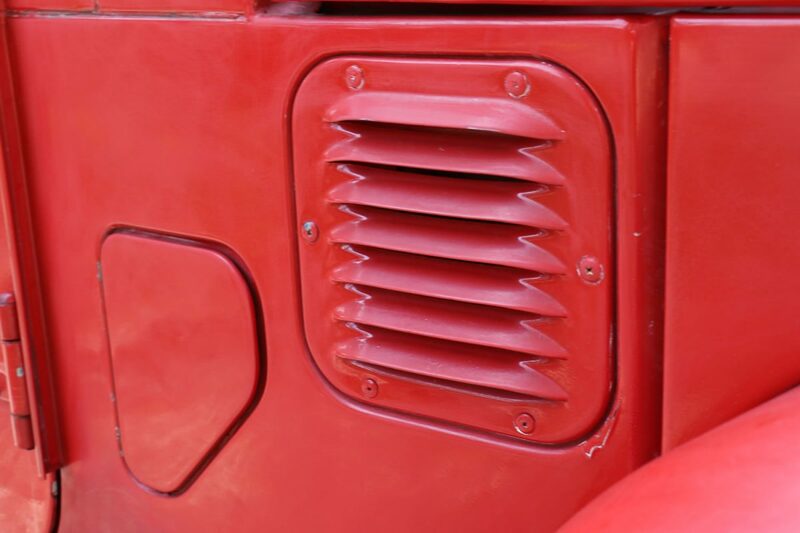 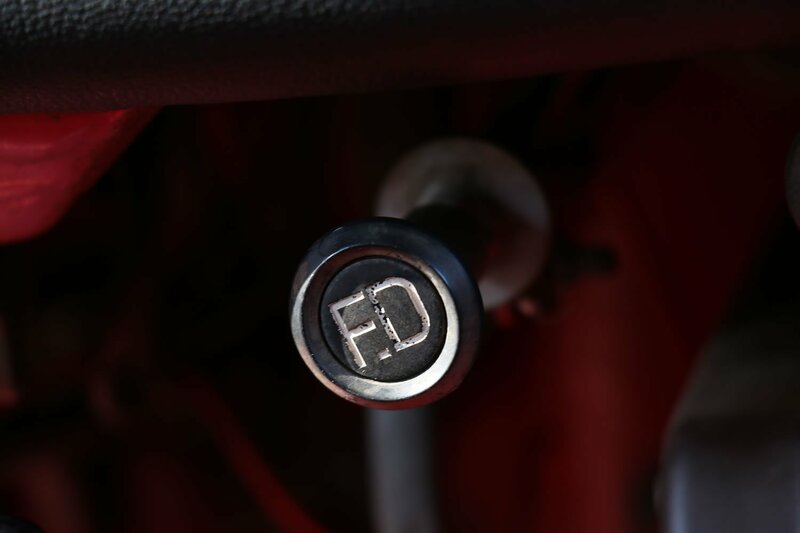 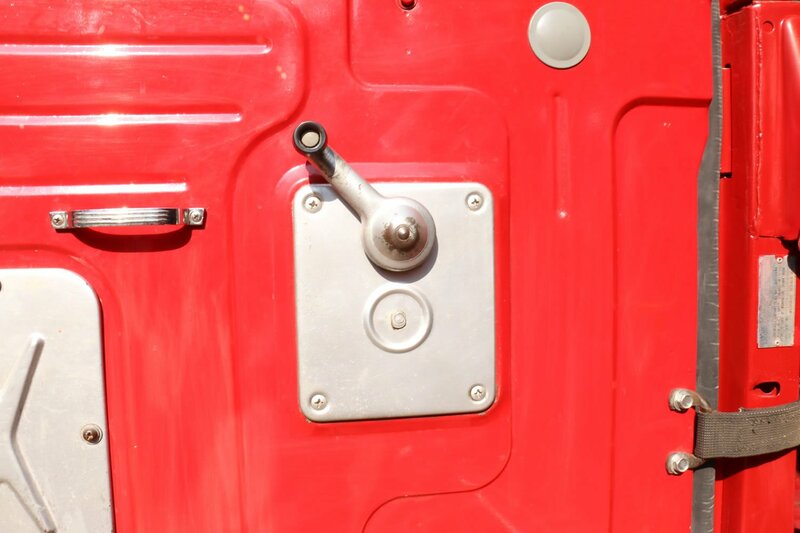 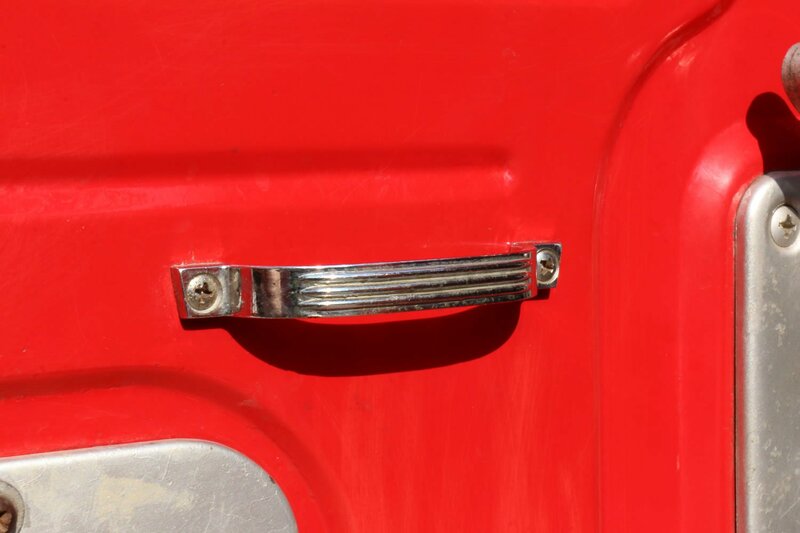 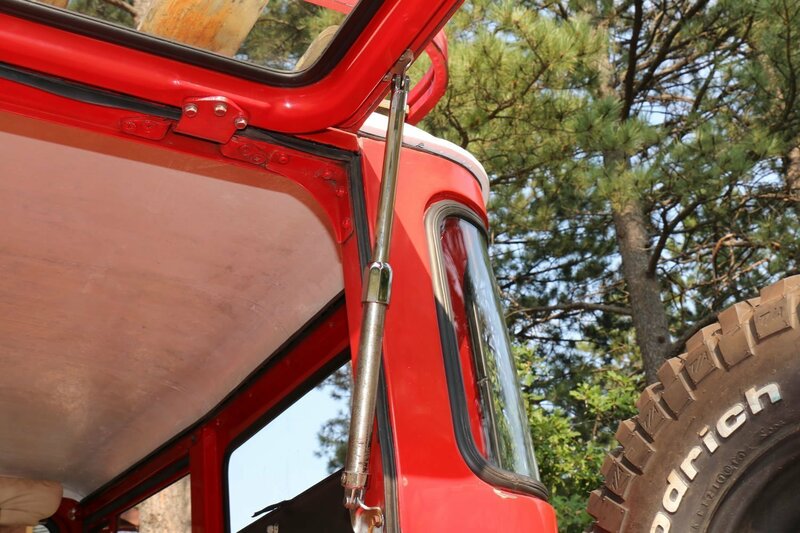 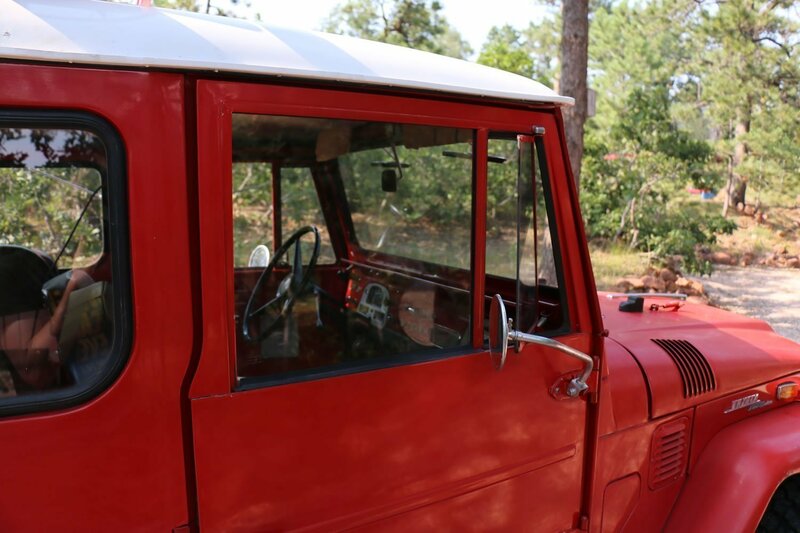 We’ve helped to sell dozens of private FJs through the Red Line Facebook, Twitter, Instagram, YouTube, Email Newsletter and website and we’d love to help you sell yours! 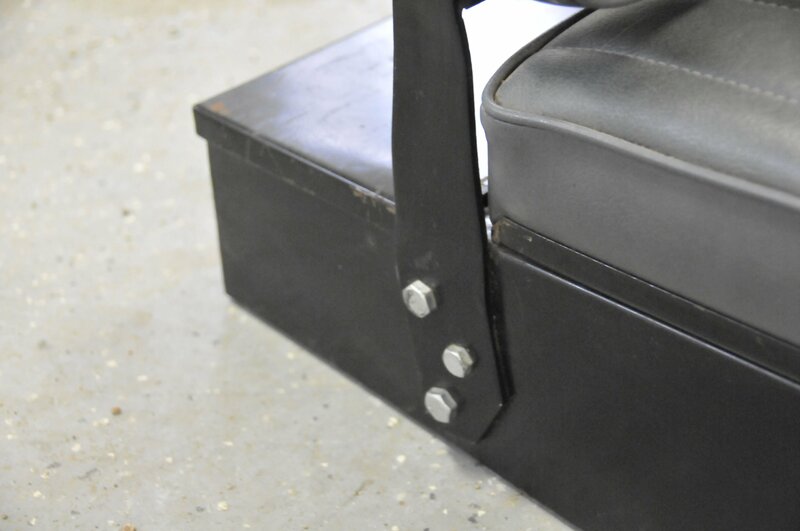 Looking for less hassle? 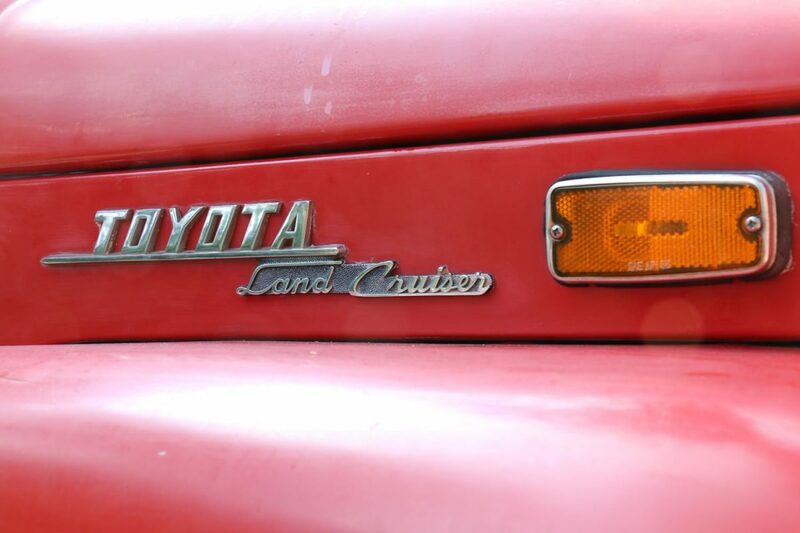 We also buy Land Cruisers! 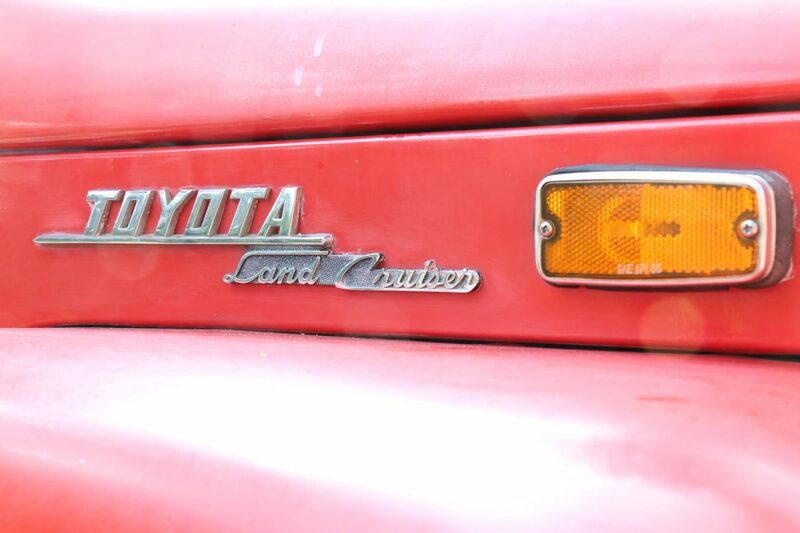 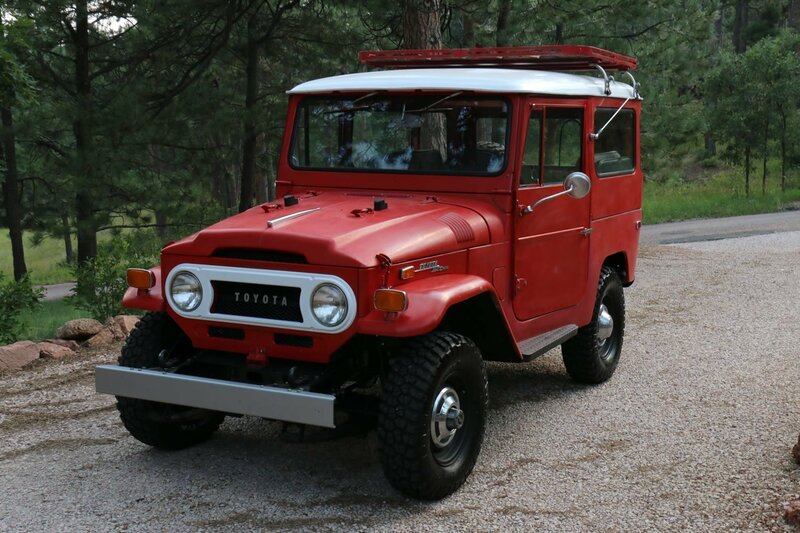 To inquire about this Land Cruiser please fill out the webform below. 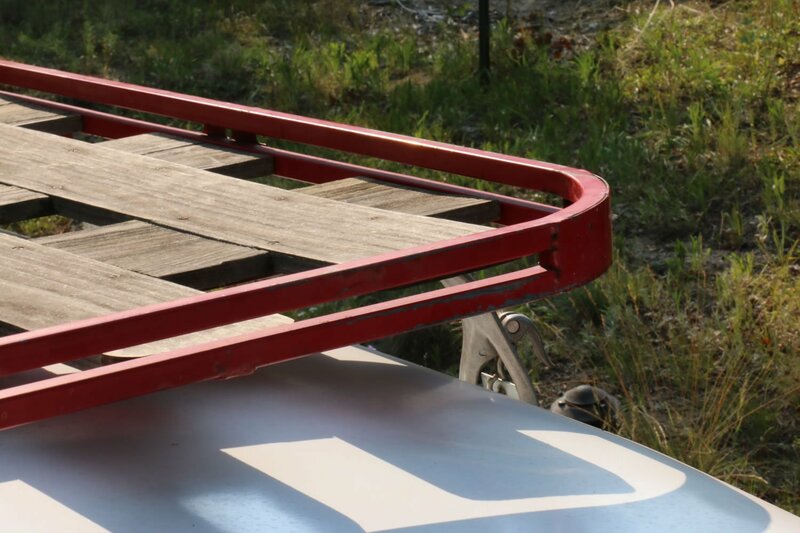 If you cannot see the webform, you can use the simple webform link here. 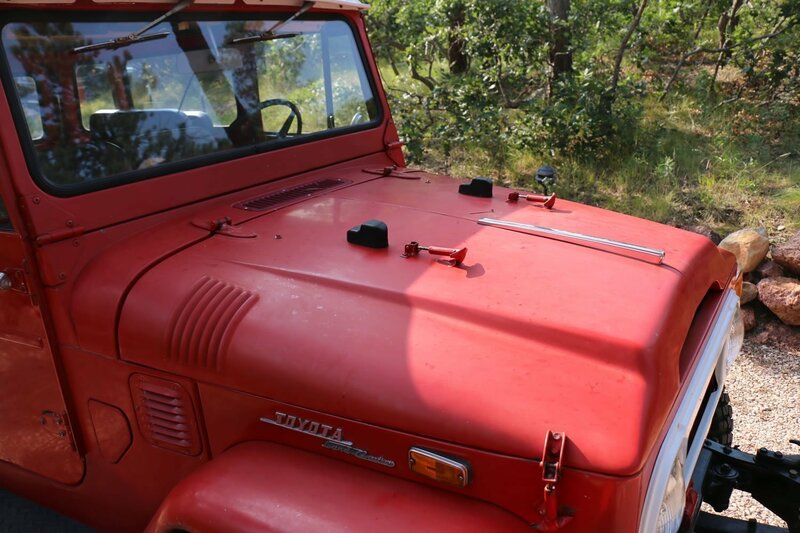 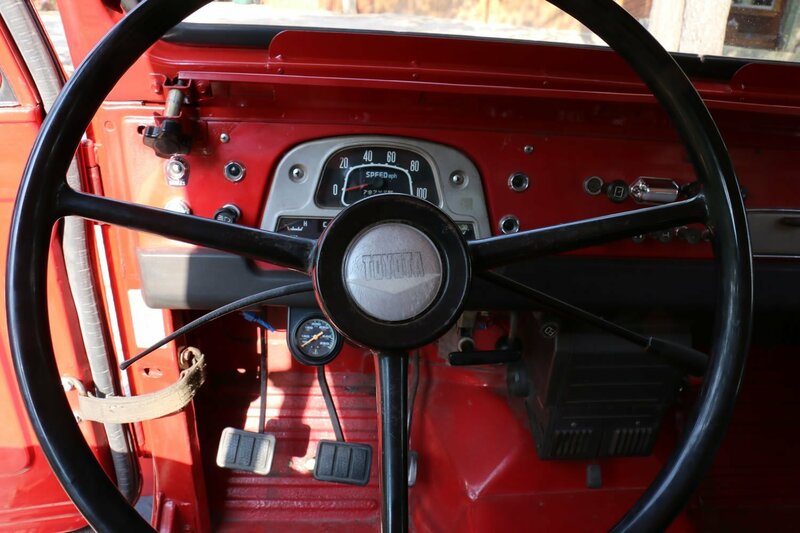 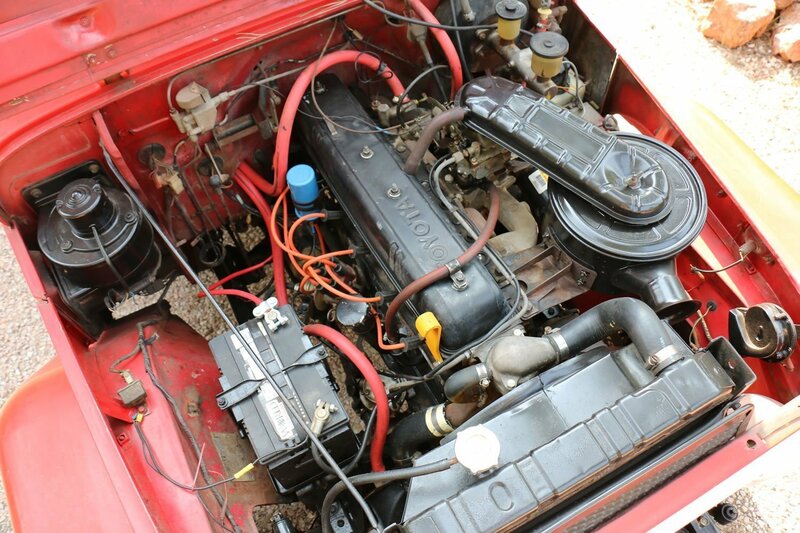 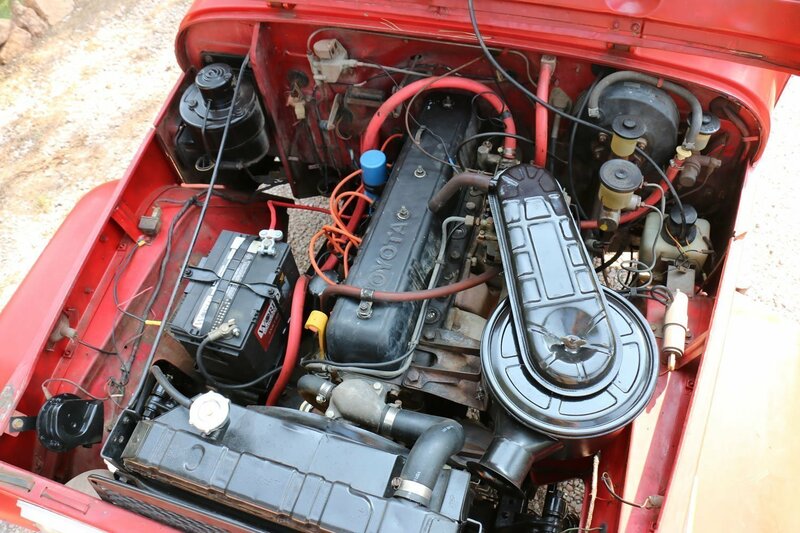 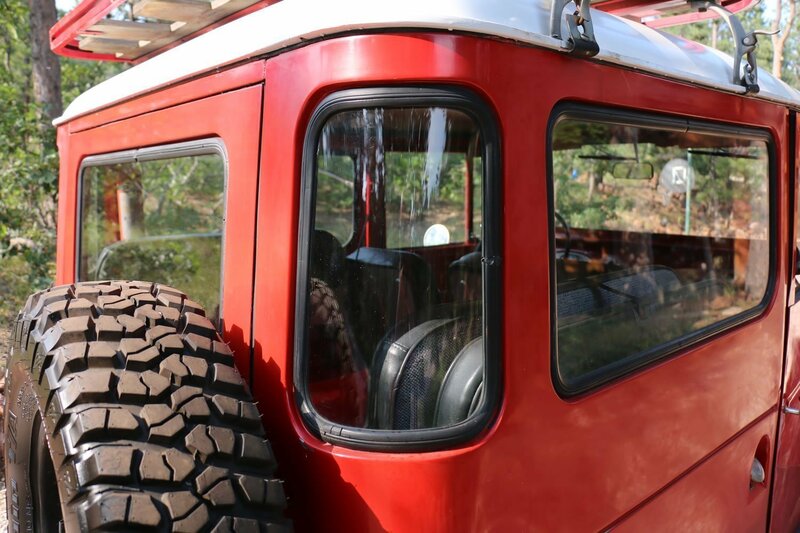 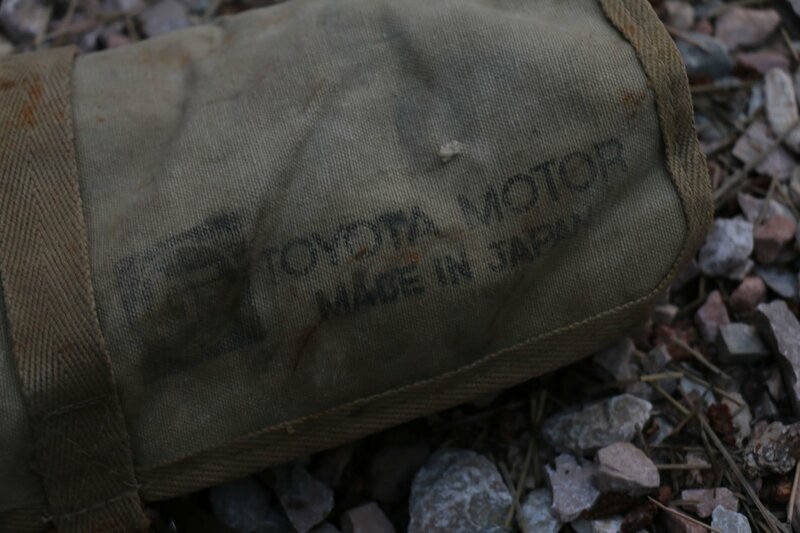 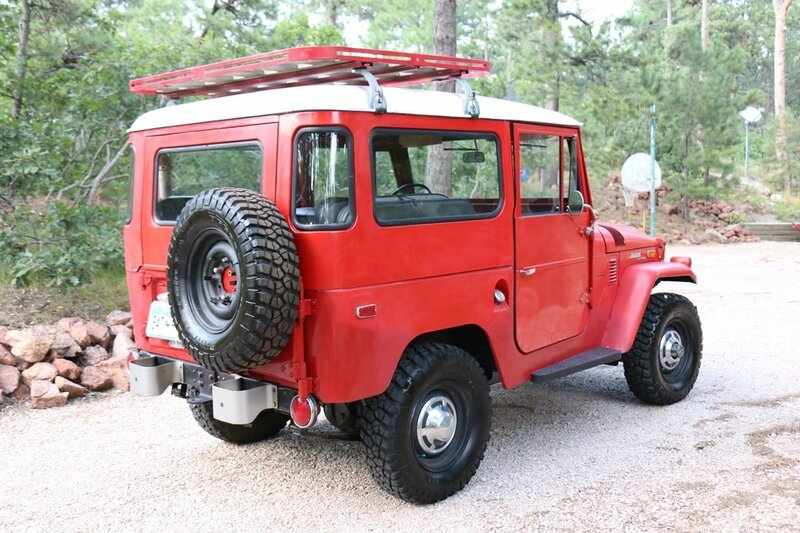 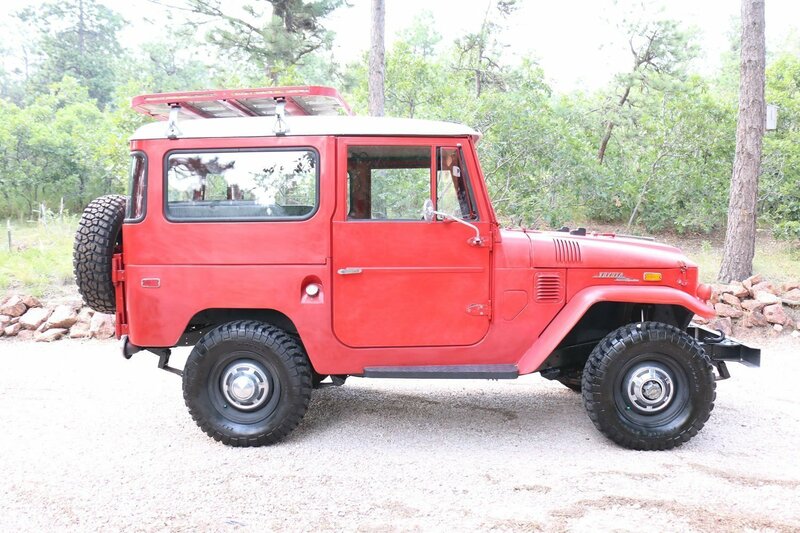 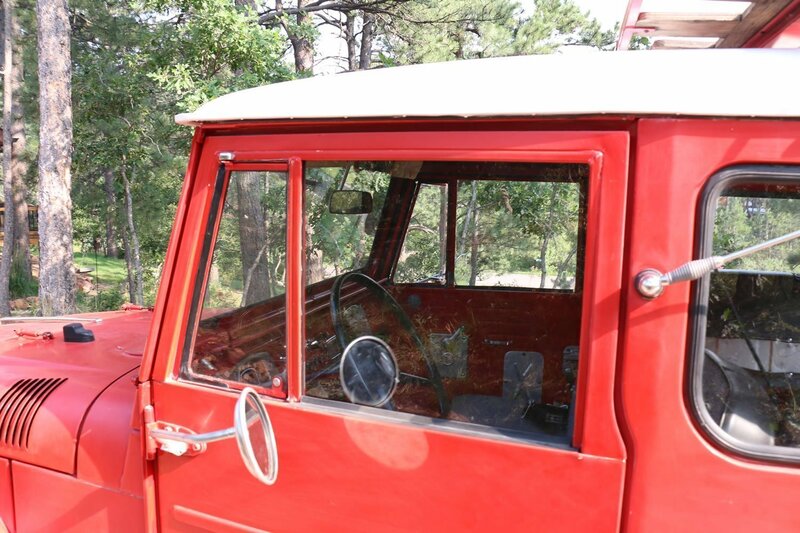 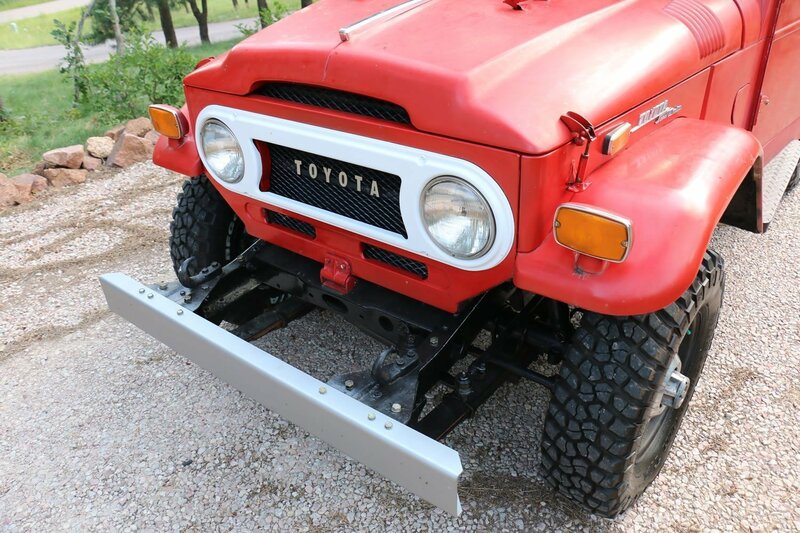 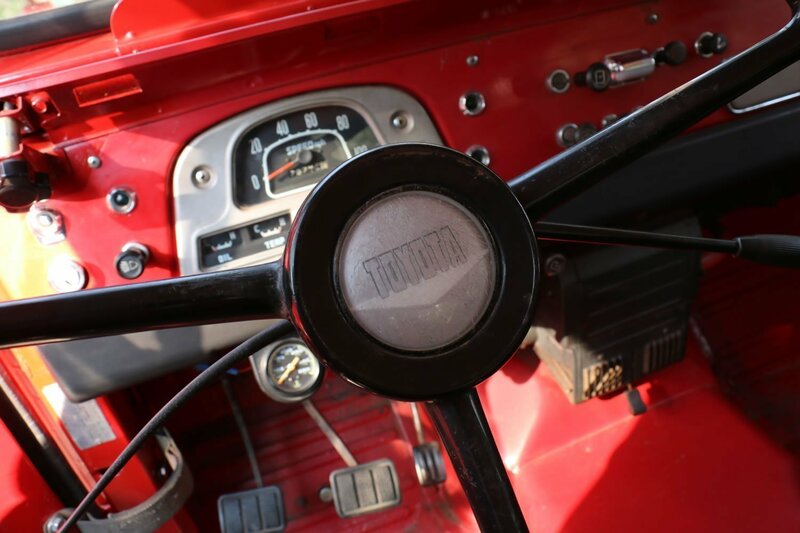 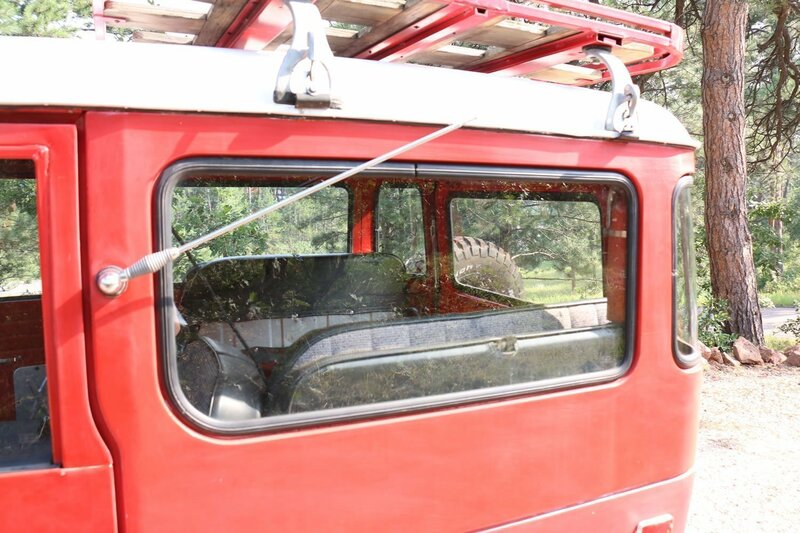 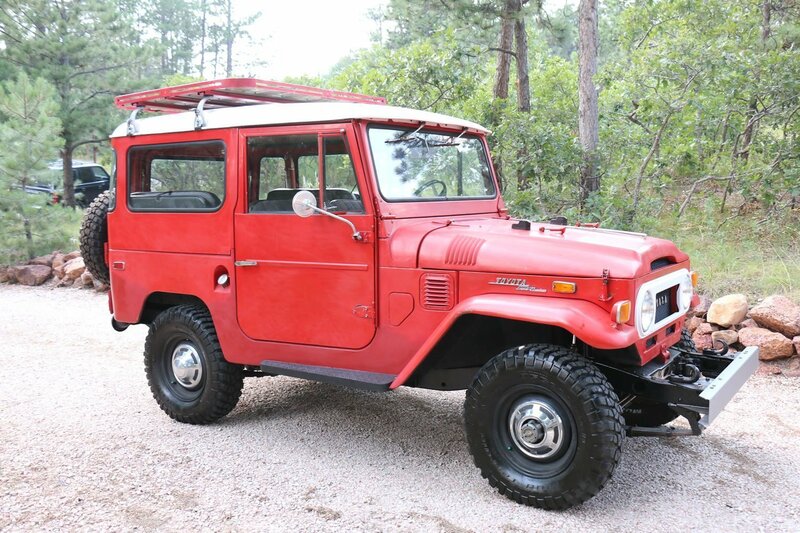 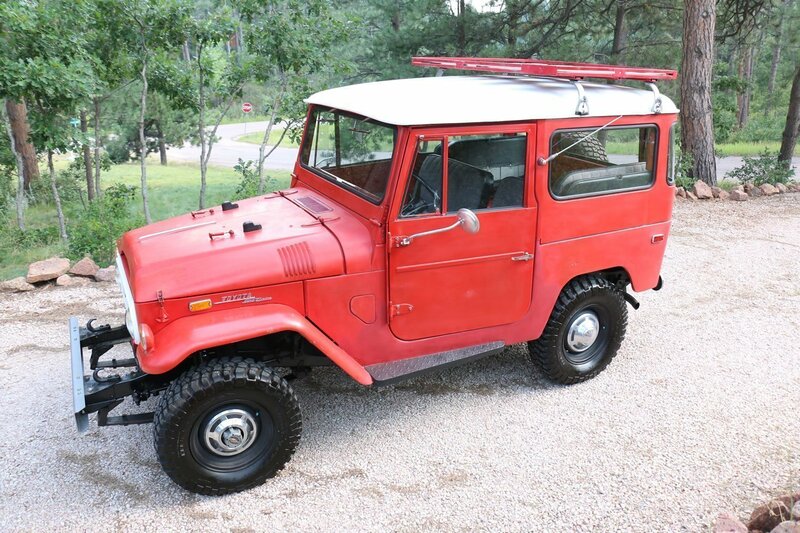 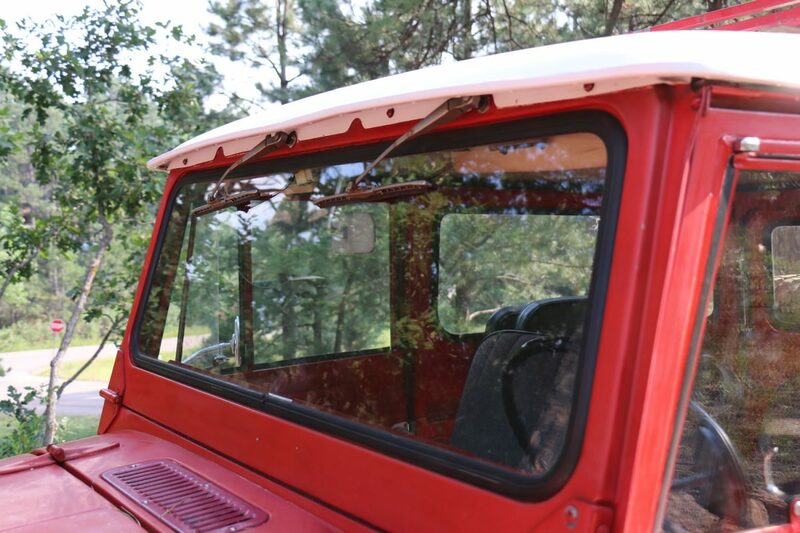 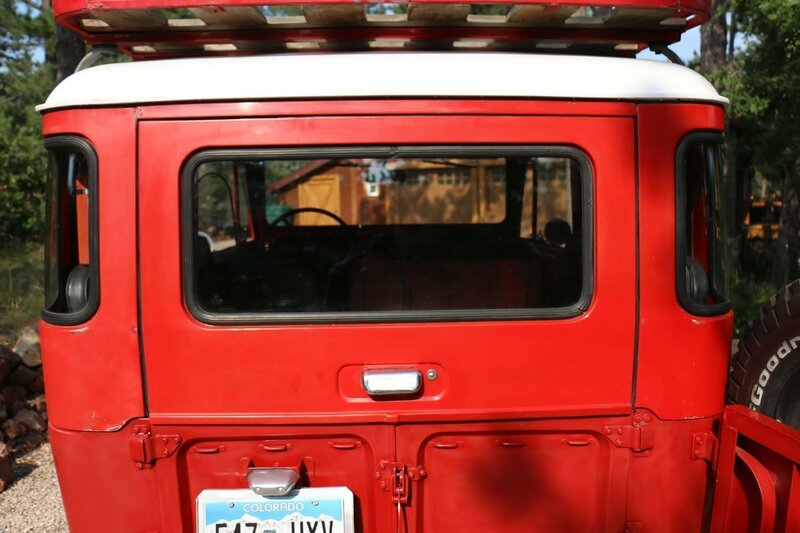 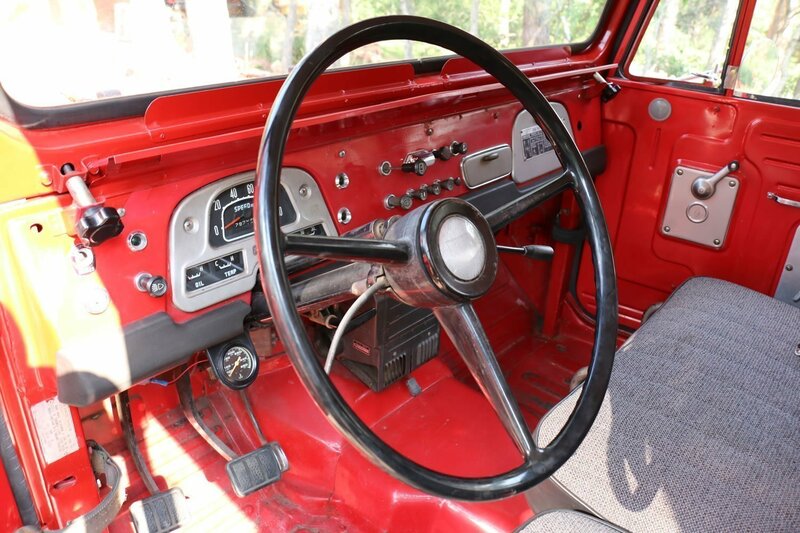 This Toyota Land Cruiser FJ-40 is mostly original and in good running condition. 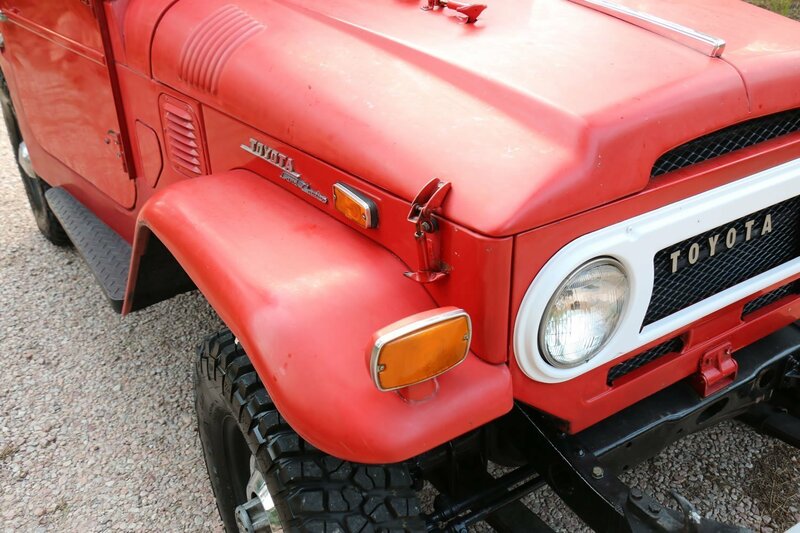 The previous owner had it garaged for three years and drove it a handful of times on the weekends throughout the year (he had about 10 other toys in his series of garages and sold this one because he was clearing out for something new). 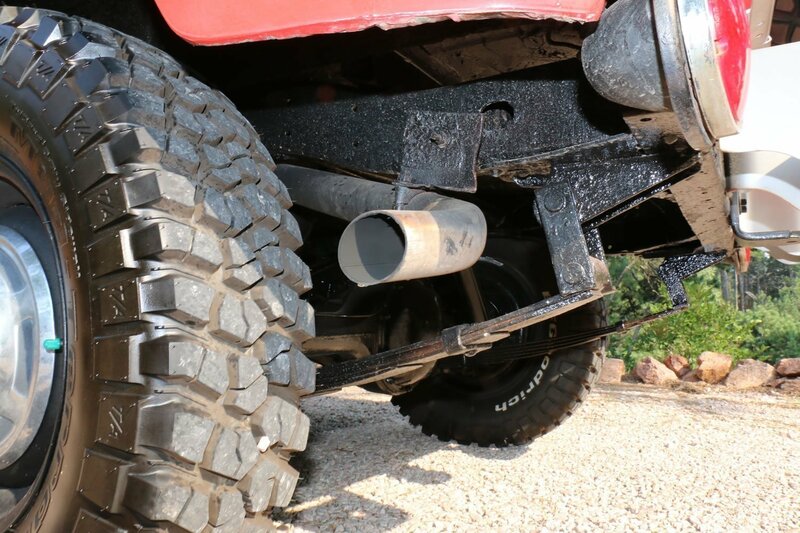 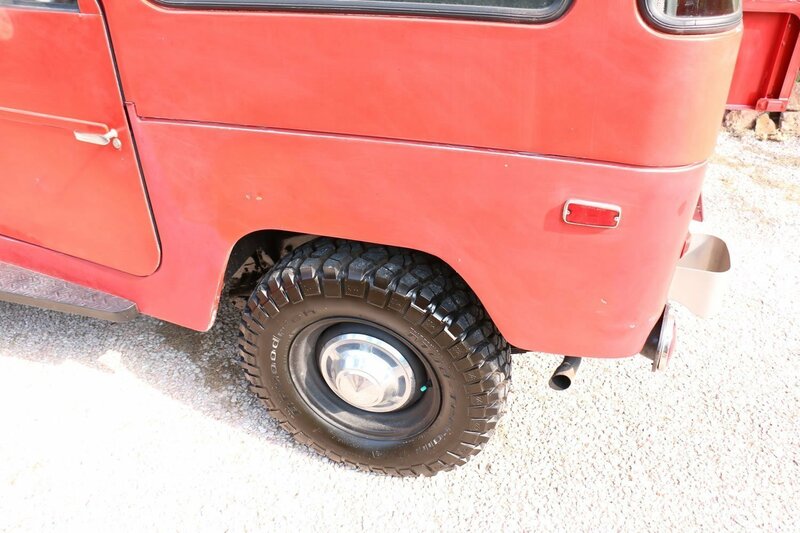 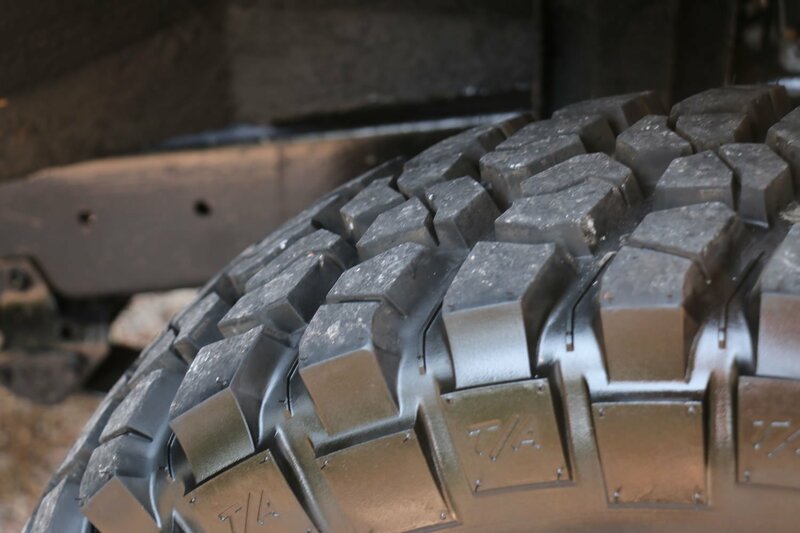 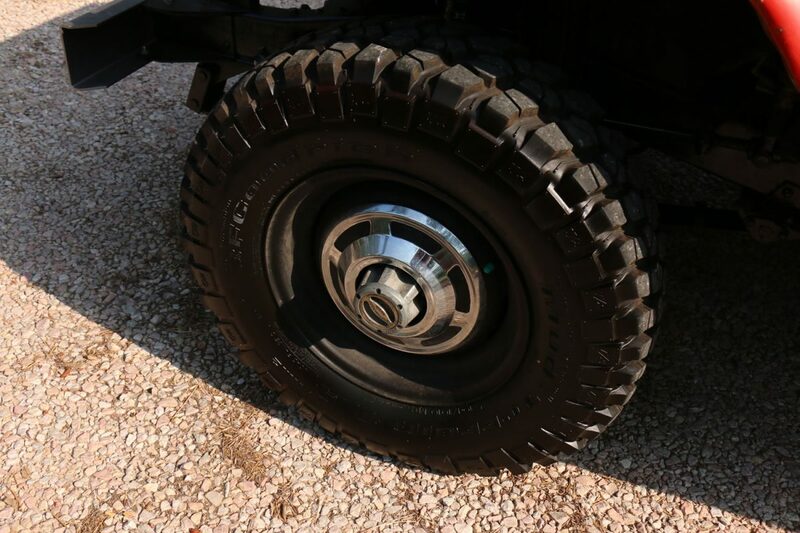 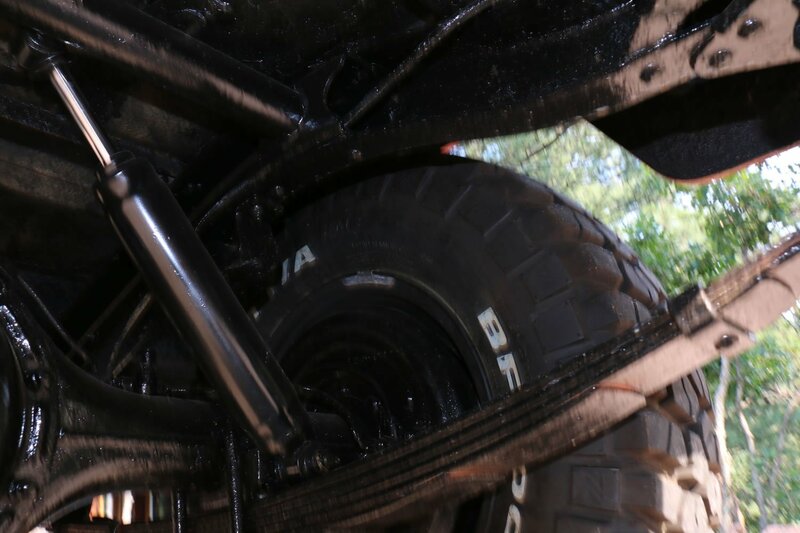 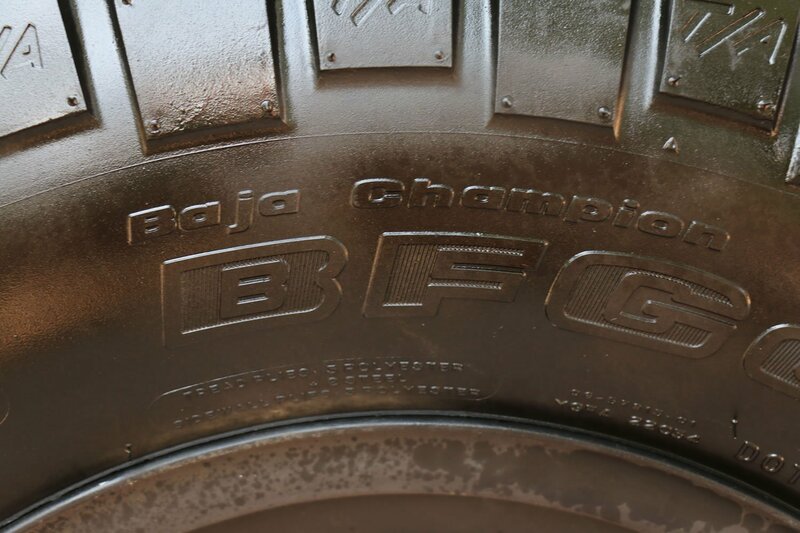 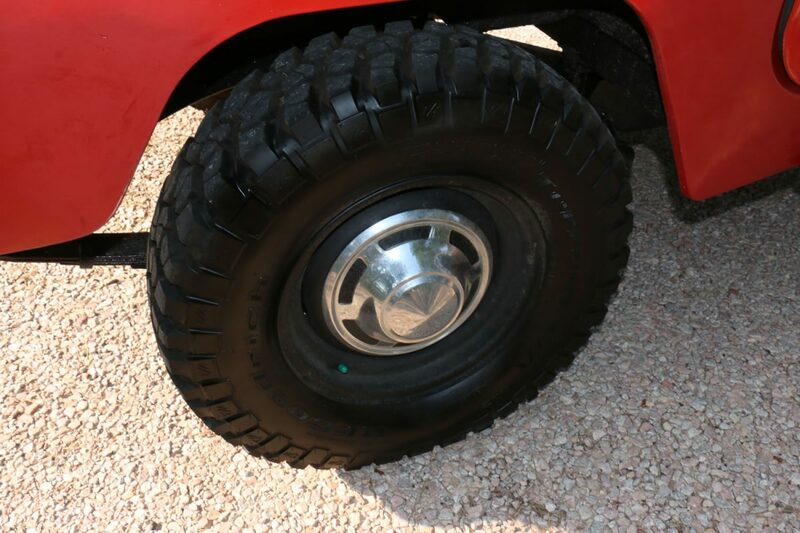 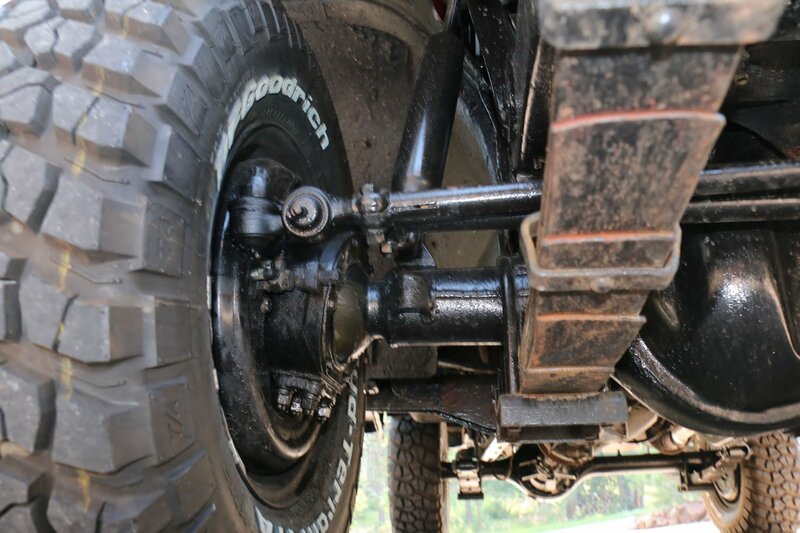 He put brand new BFG tires on it, had the brakes completely redone, and had it tuned. 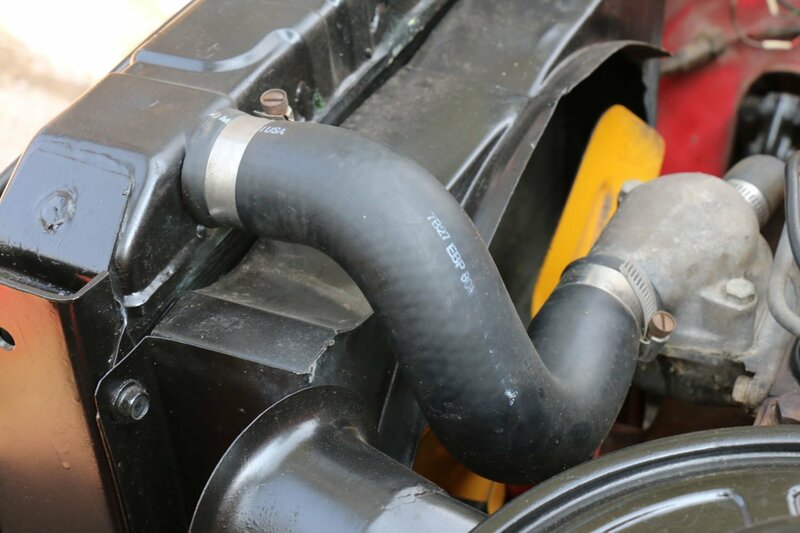 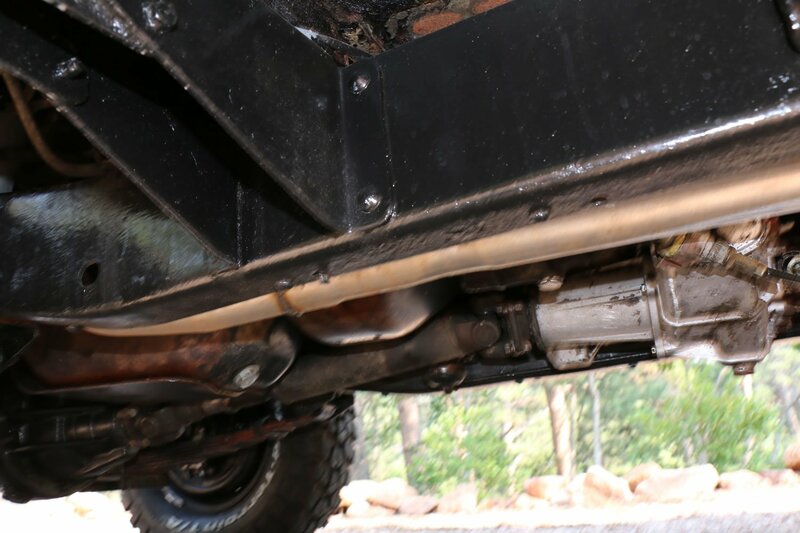 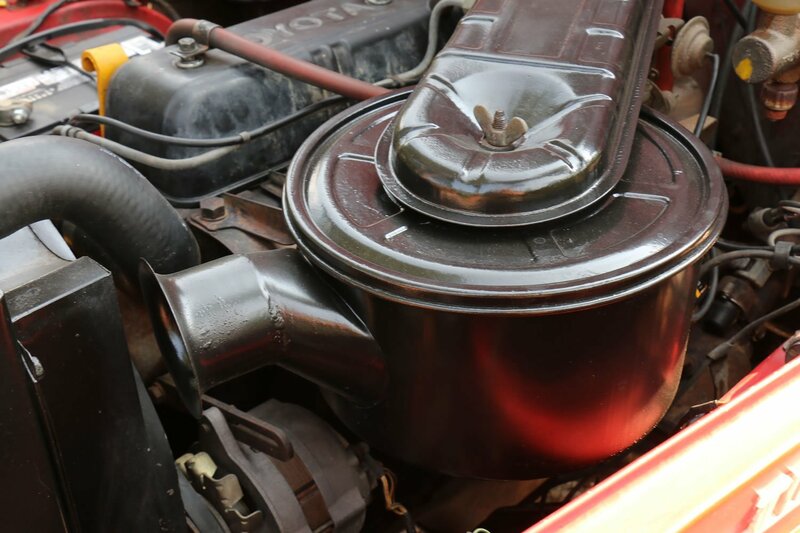 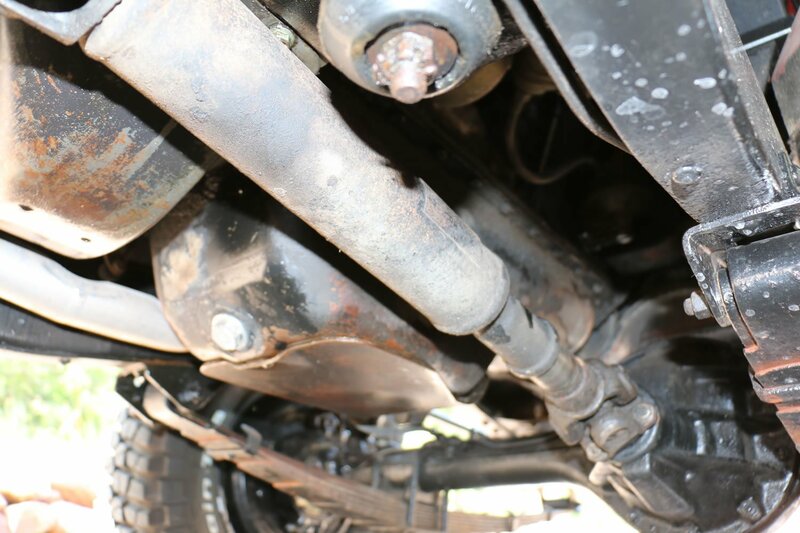 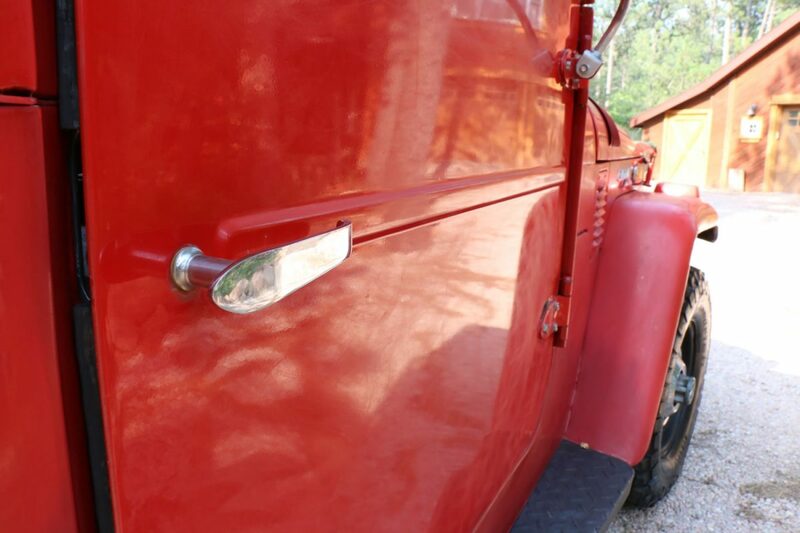 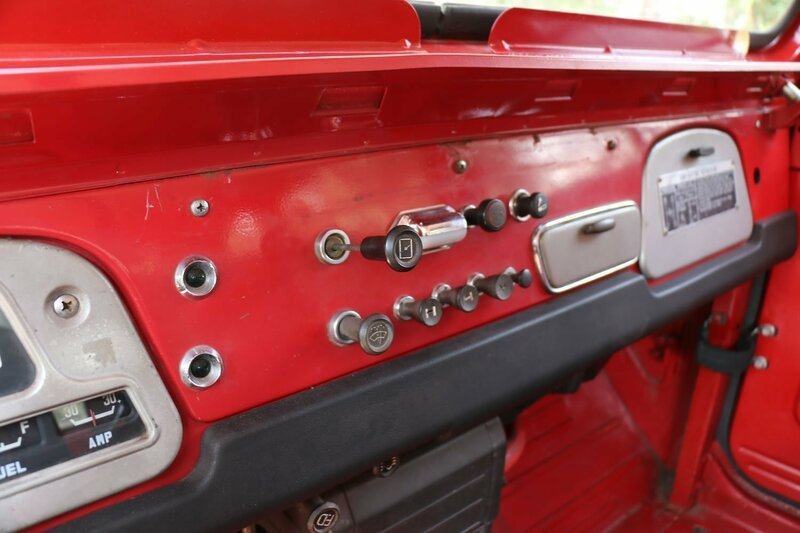 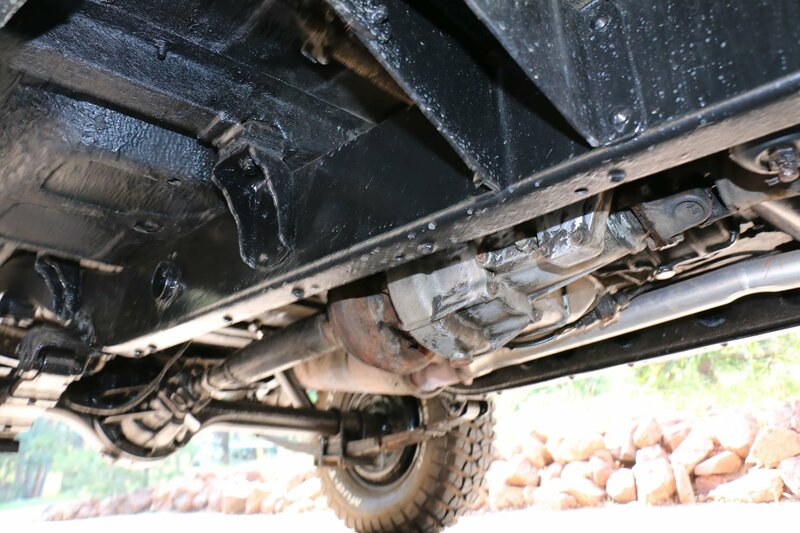 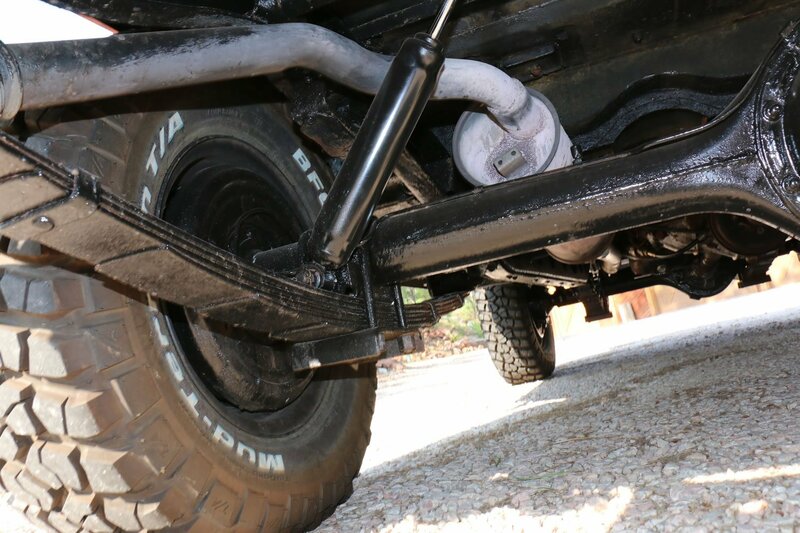 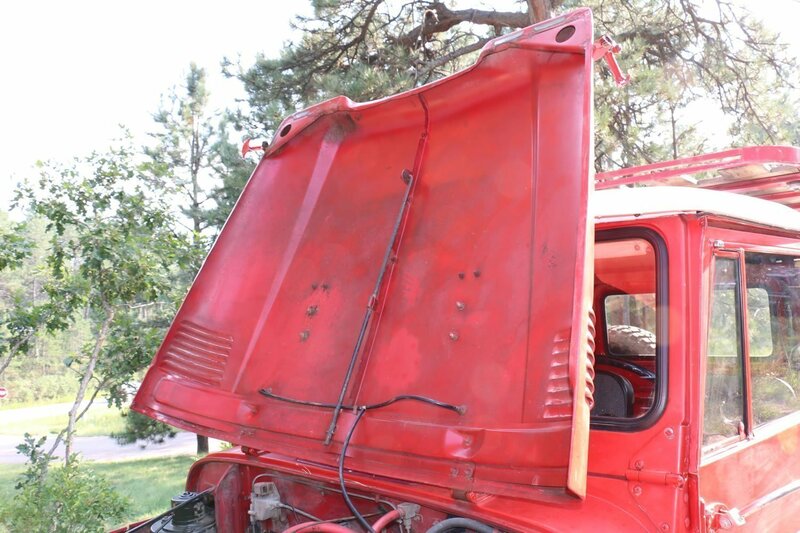 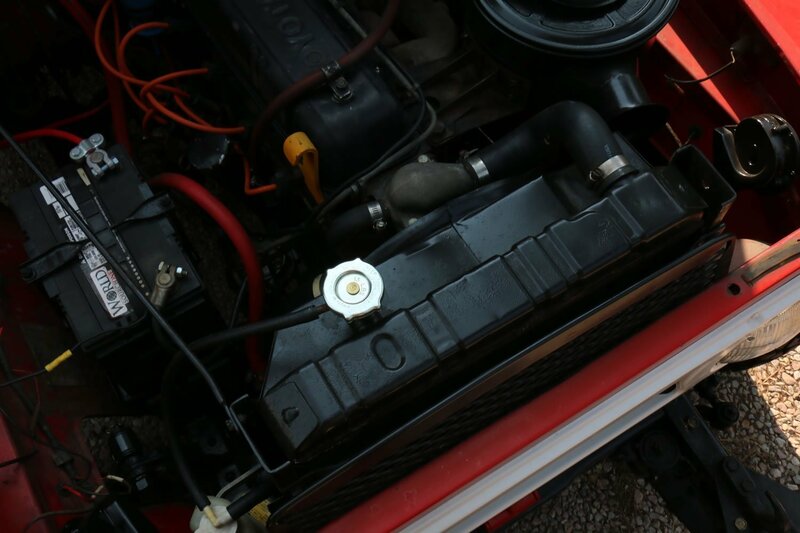 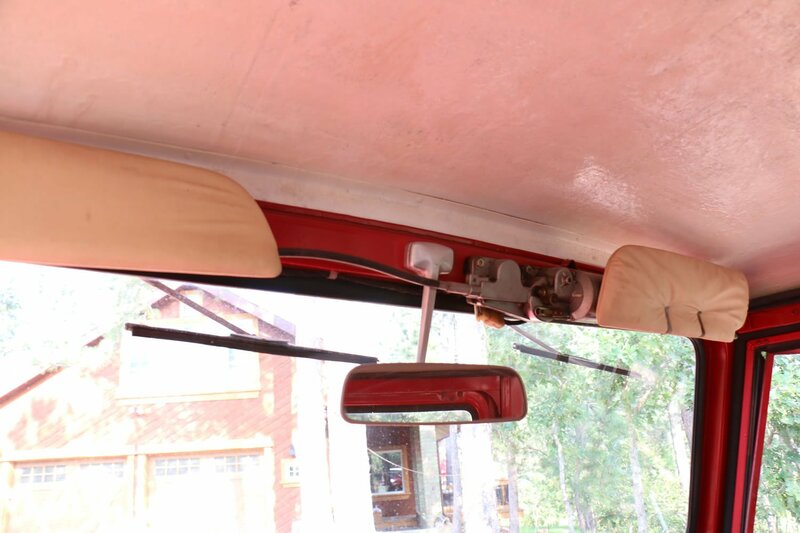 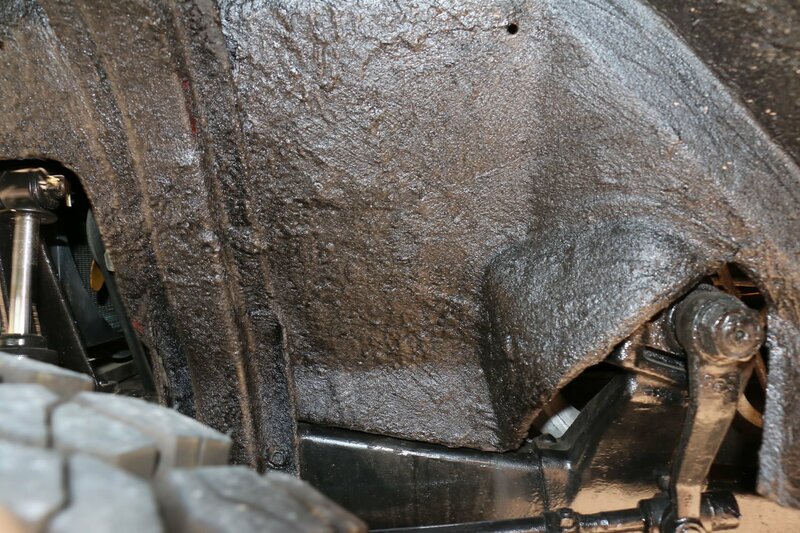 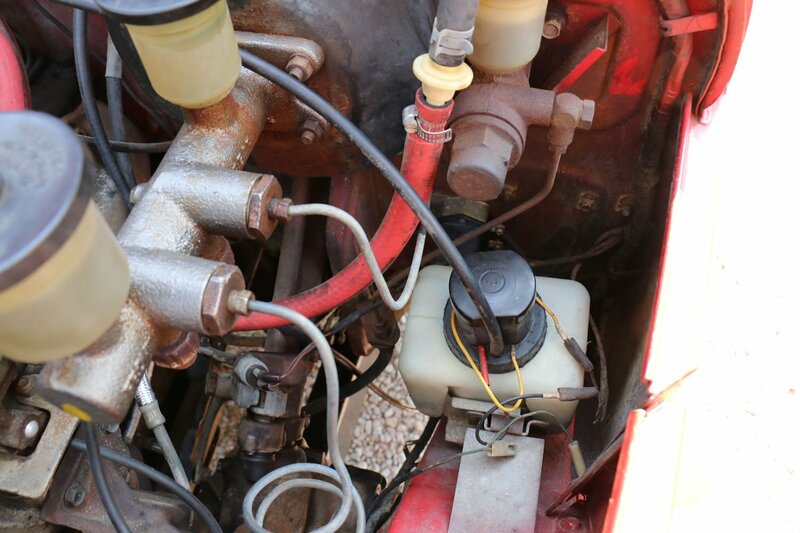 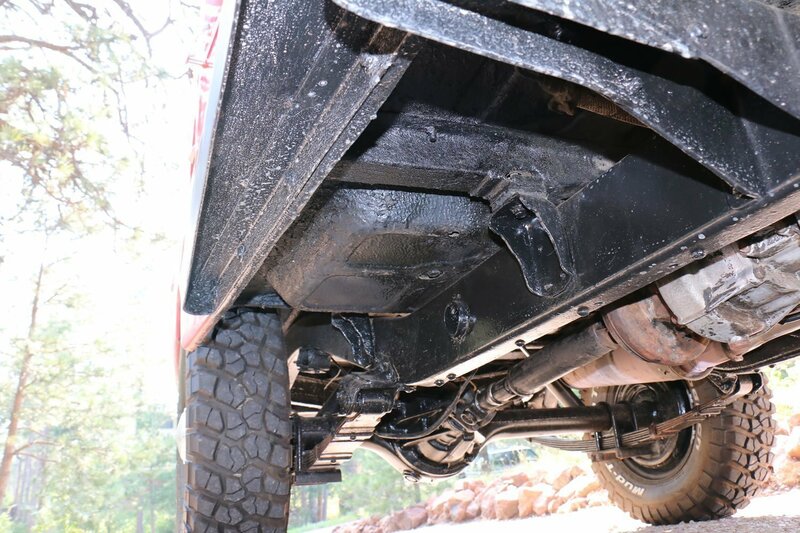 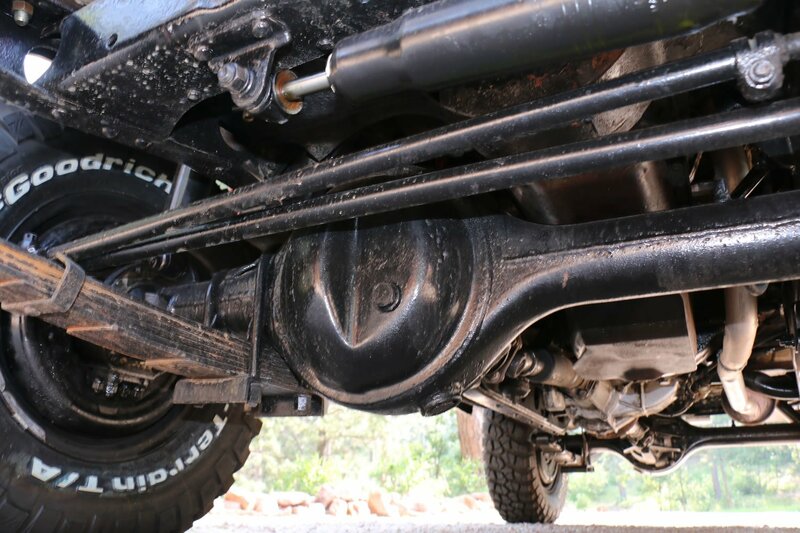 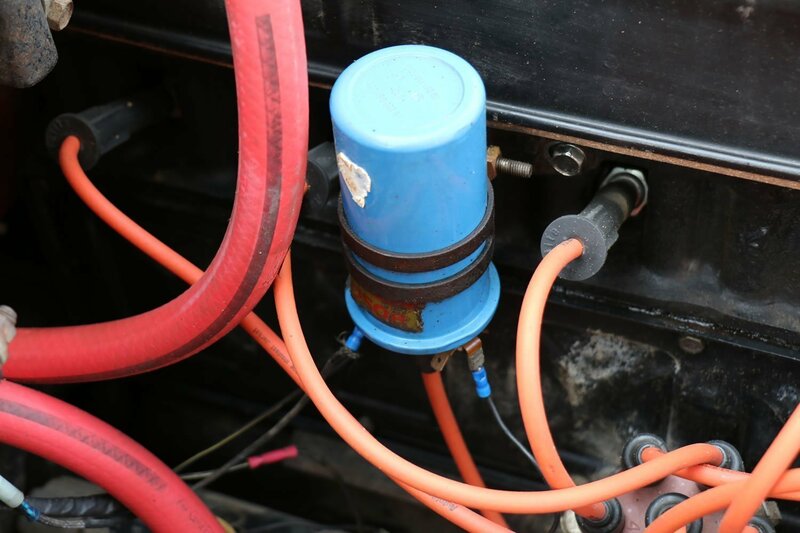 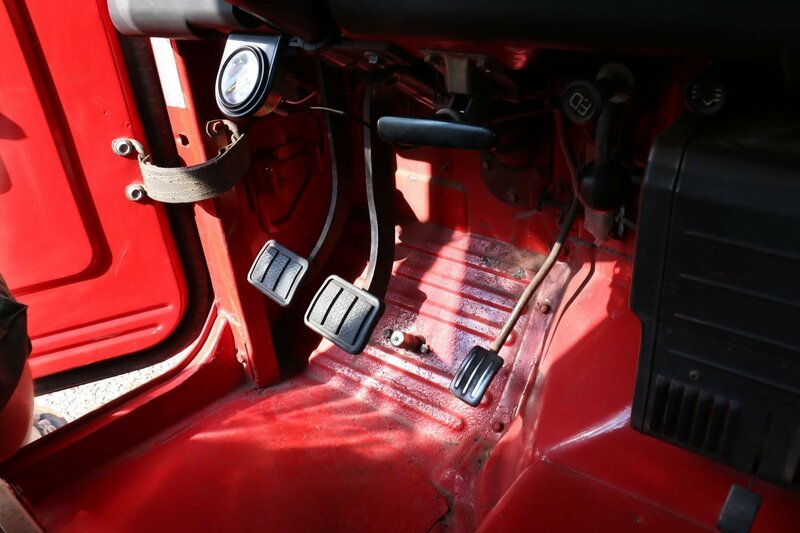 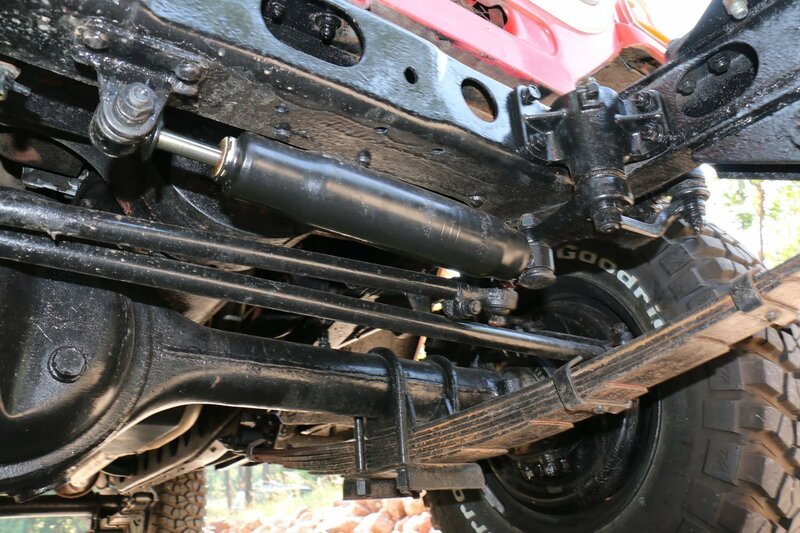 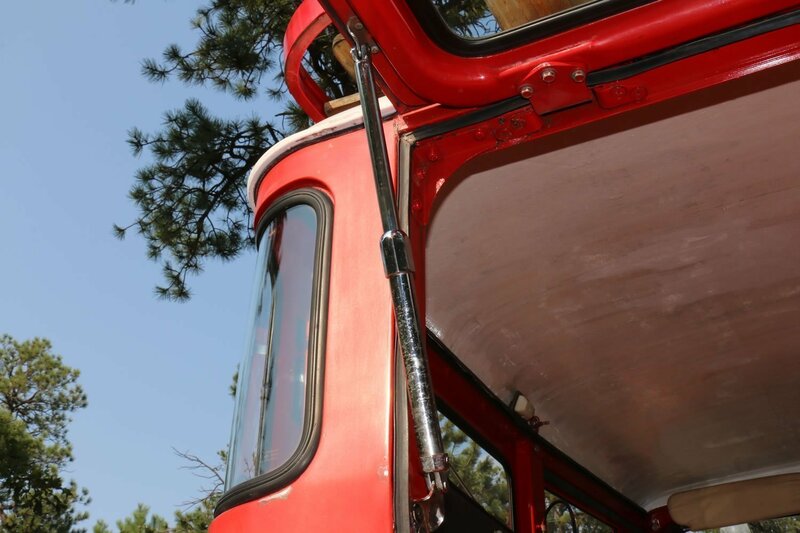 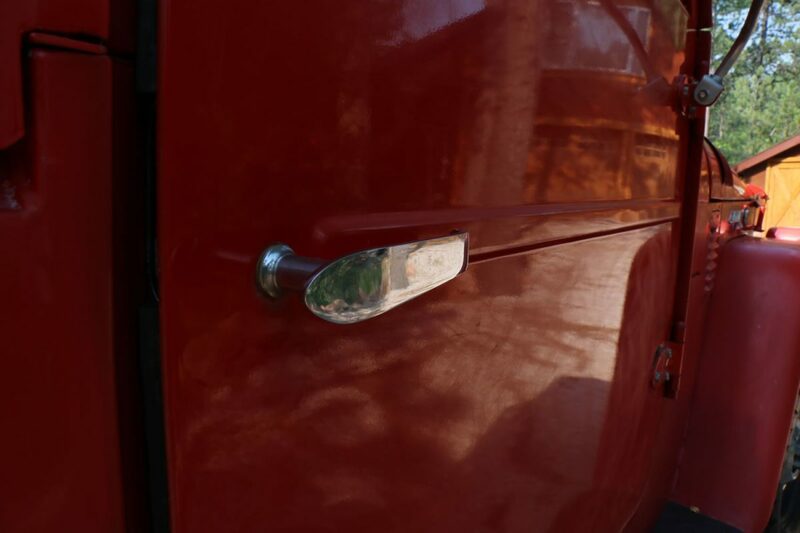 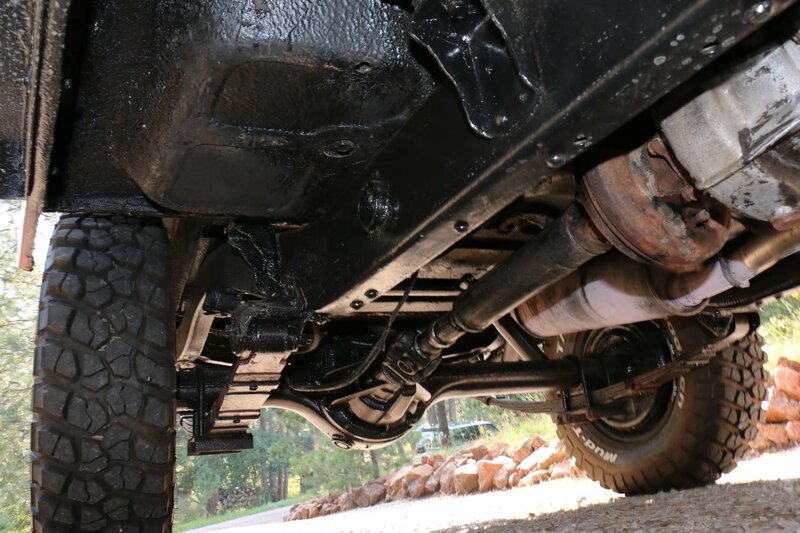 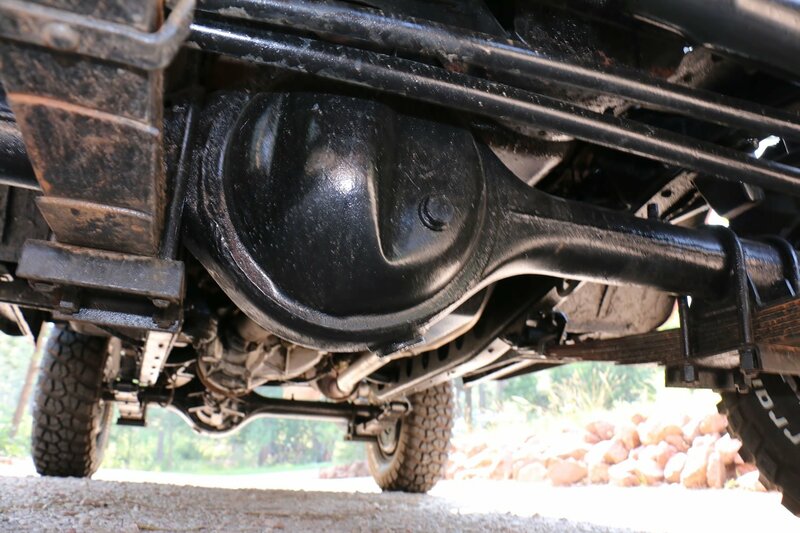 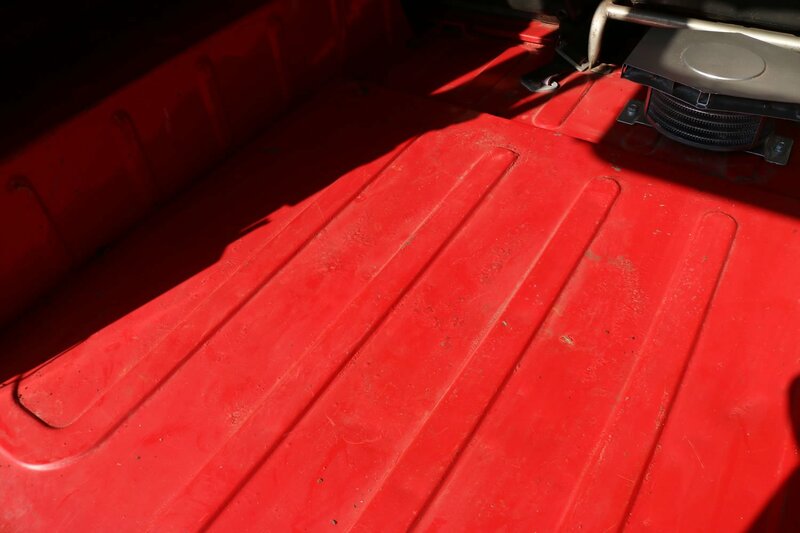 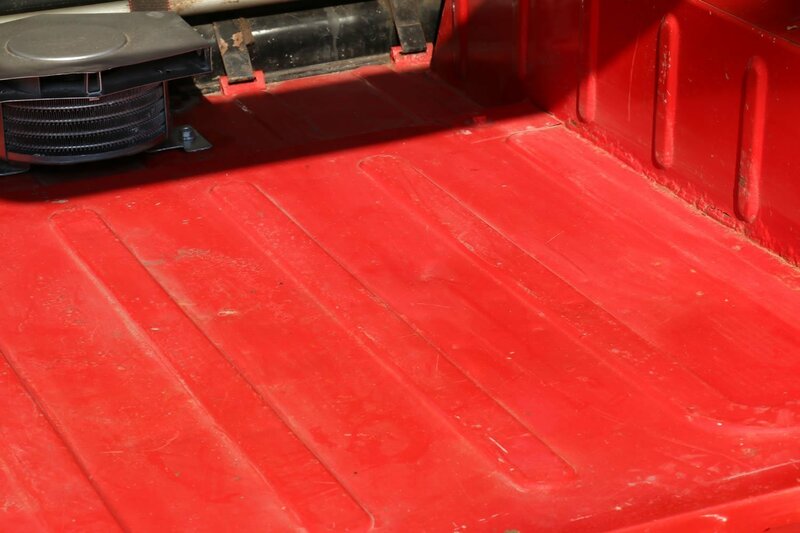 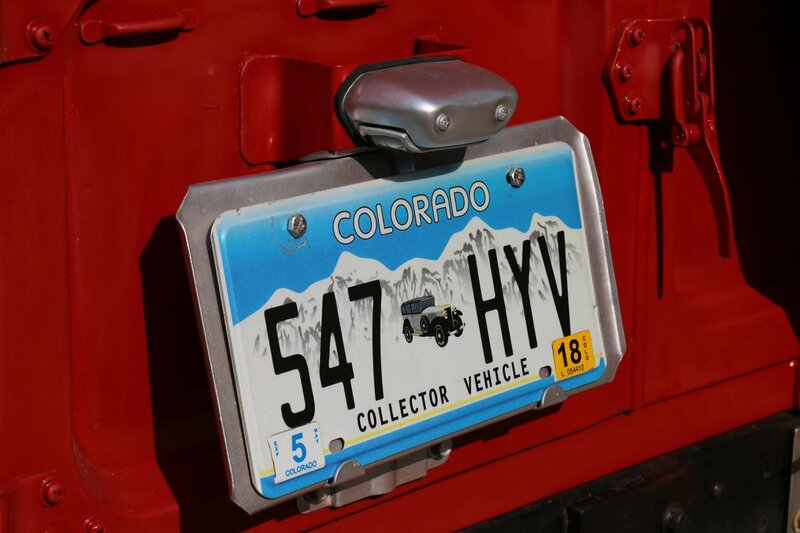 Prior to that, the previous owner from Denver had it and performed extensive work on the vehicle by mitigating slight rust and applying a very “so-so” paint job where the body work was done. 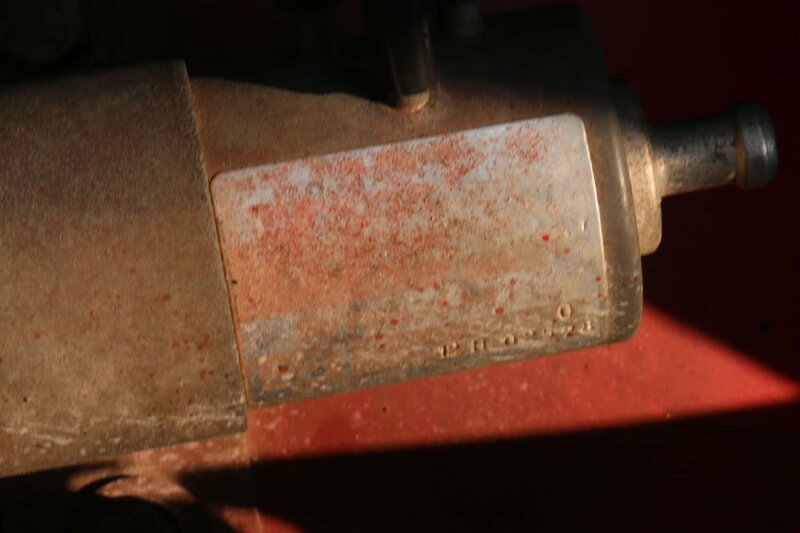 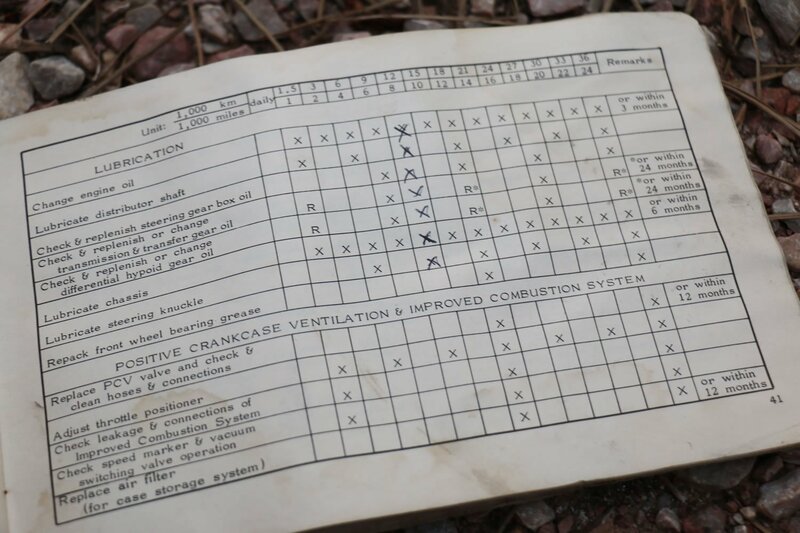 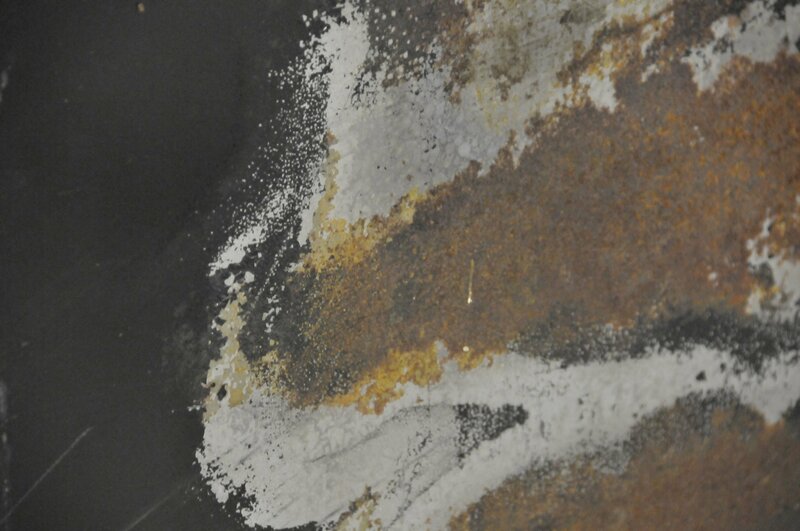 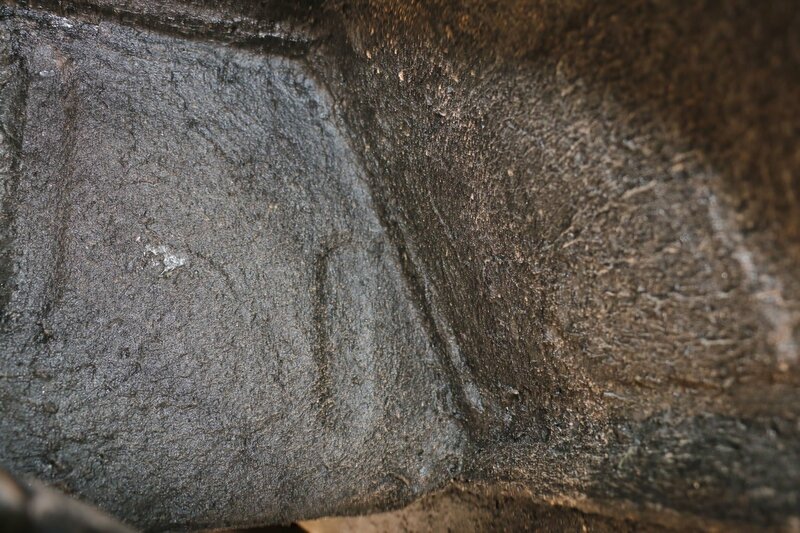 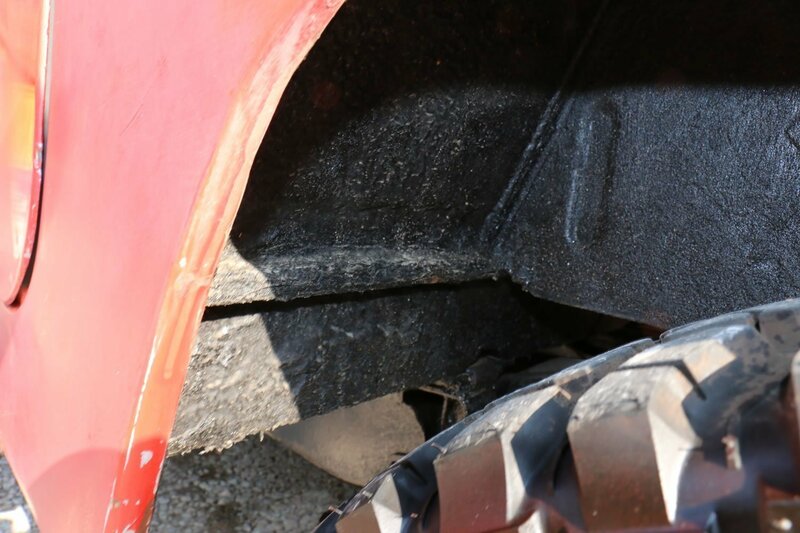 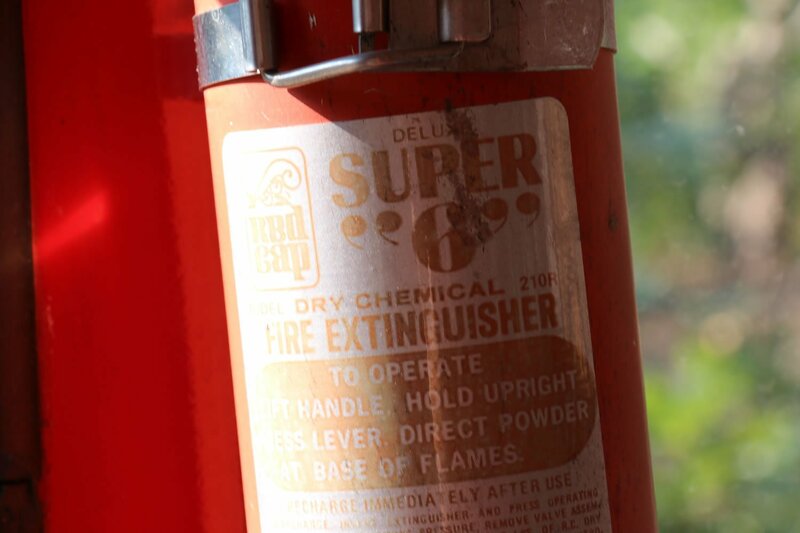 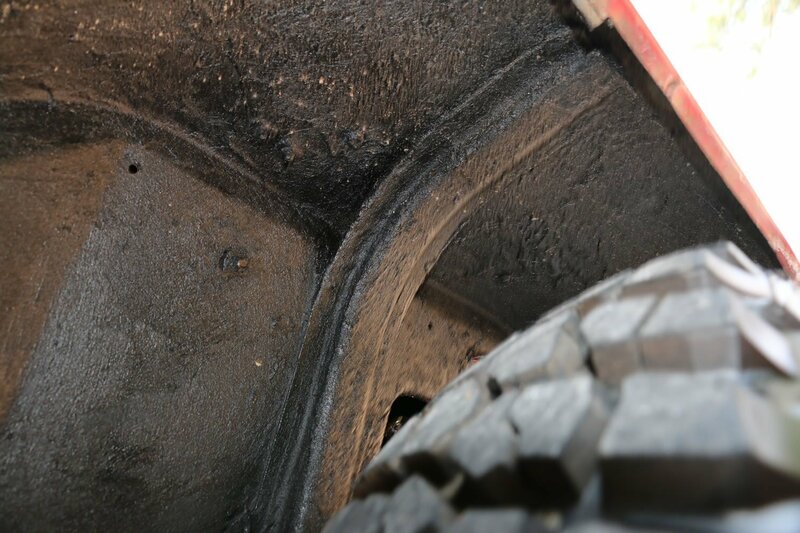 There does not appear to be any rust bubbling up or surfacing from the work that was done. 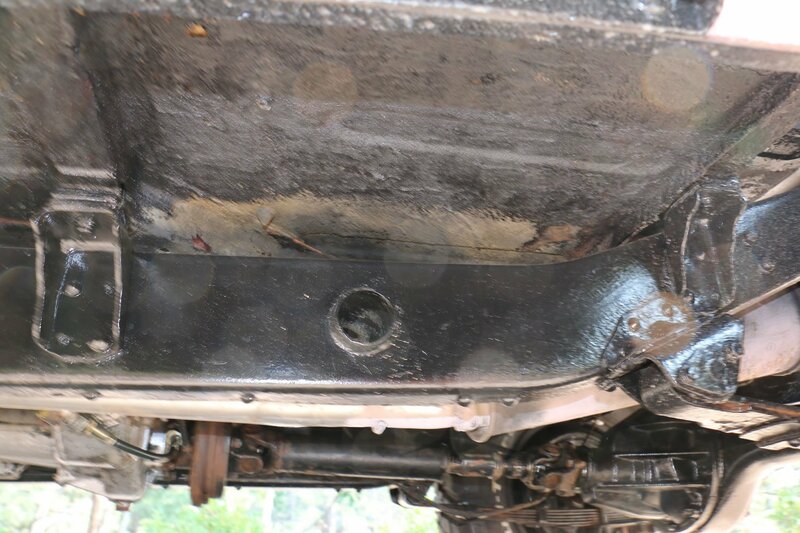 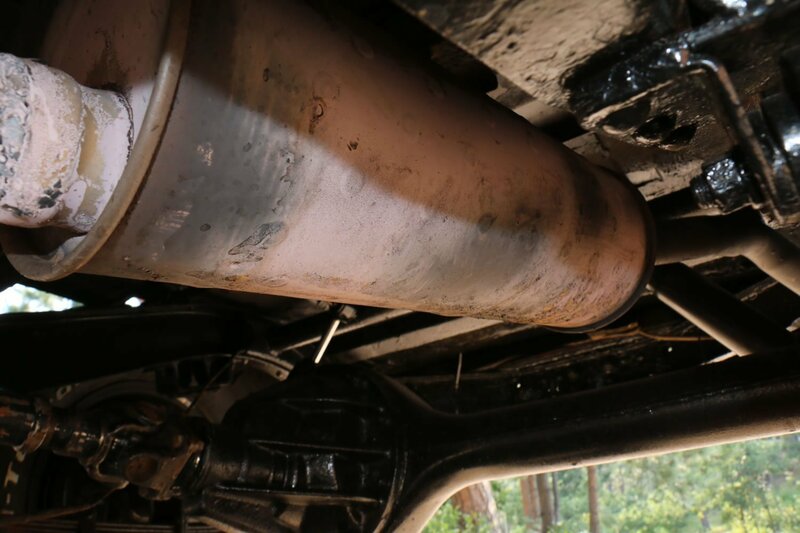 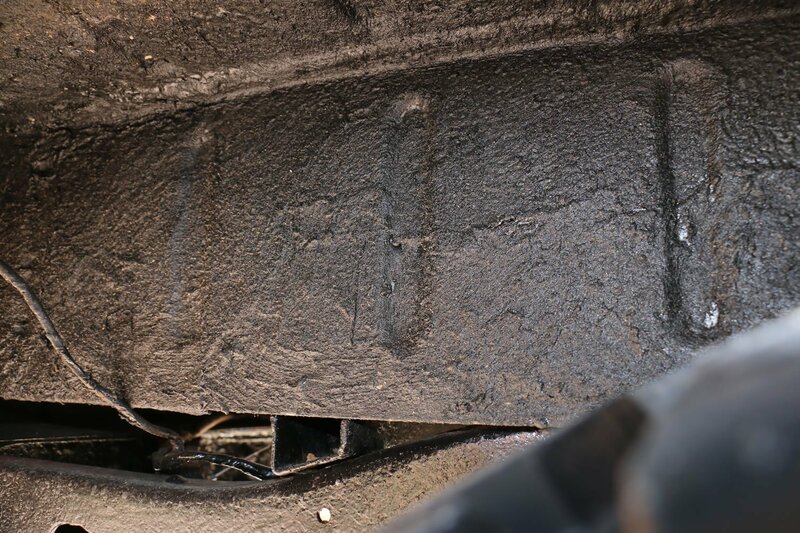 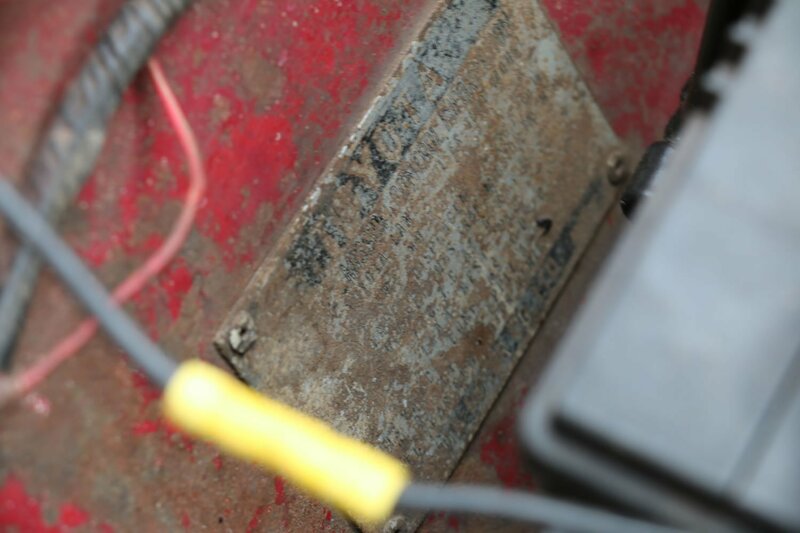 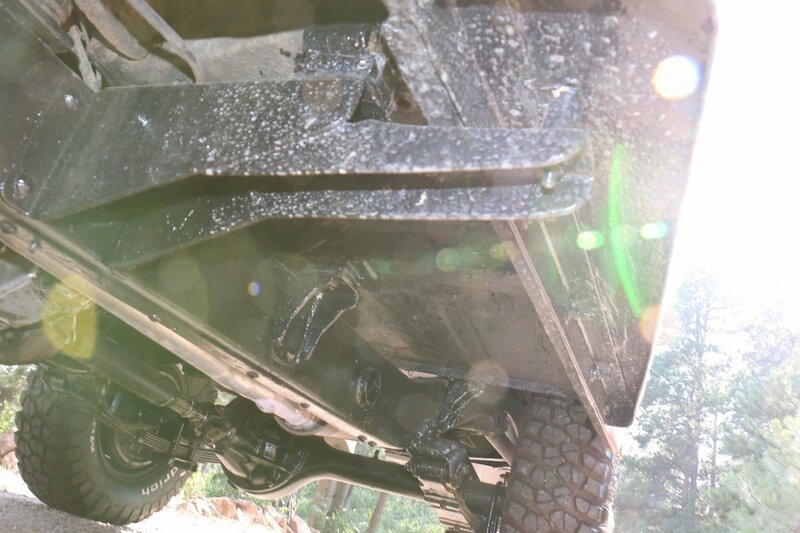 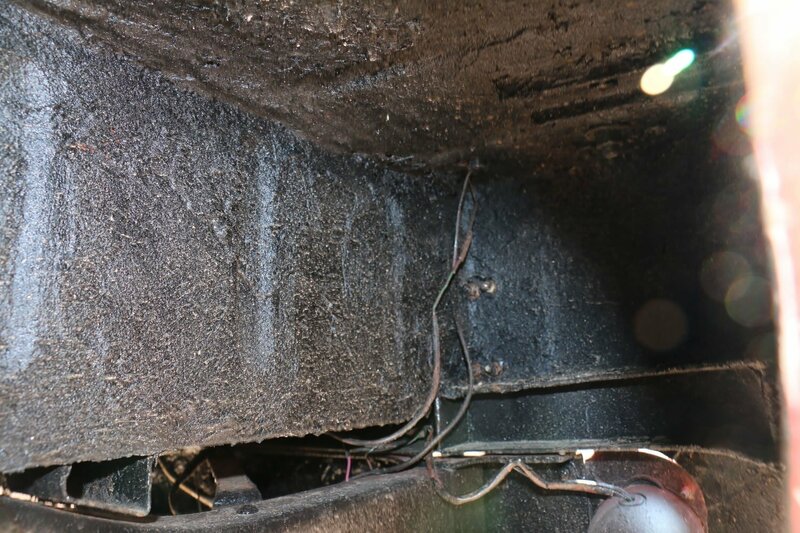 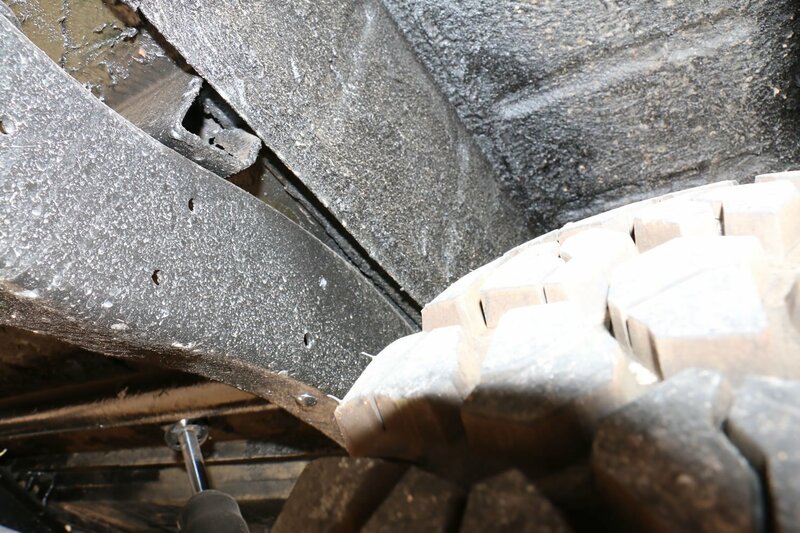 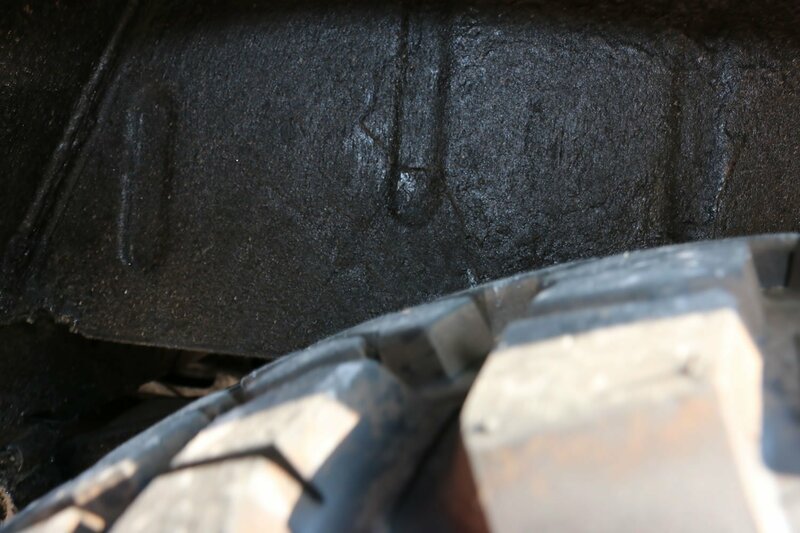 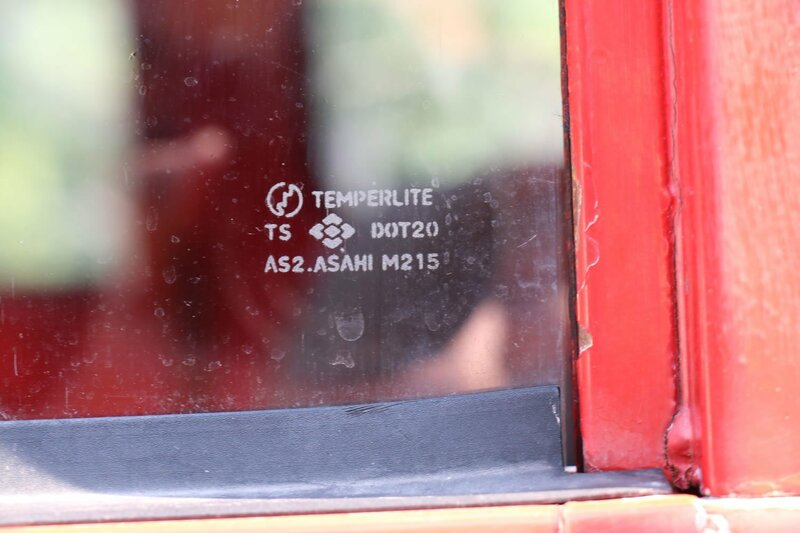 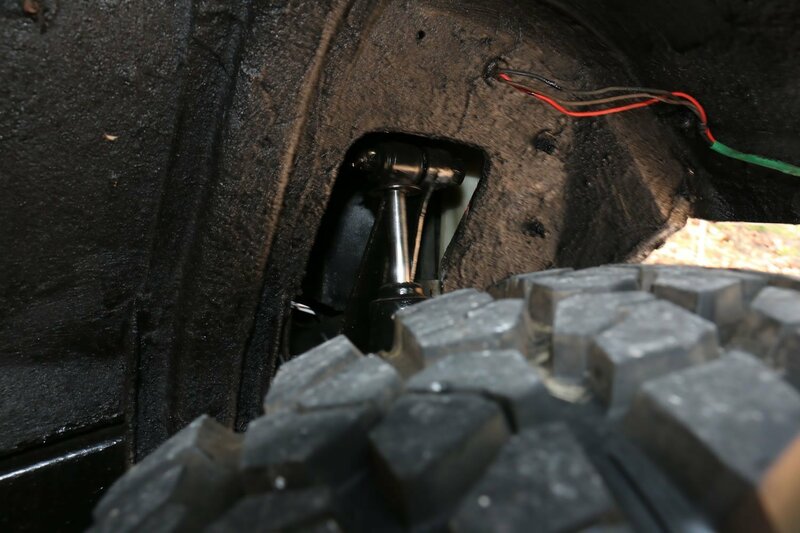 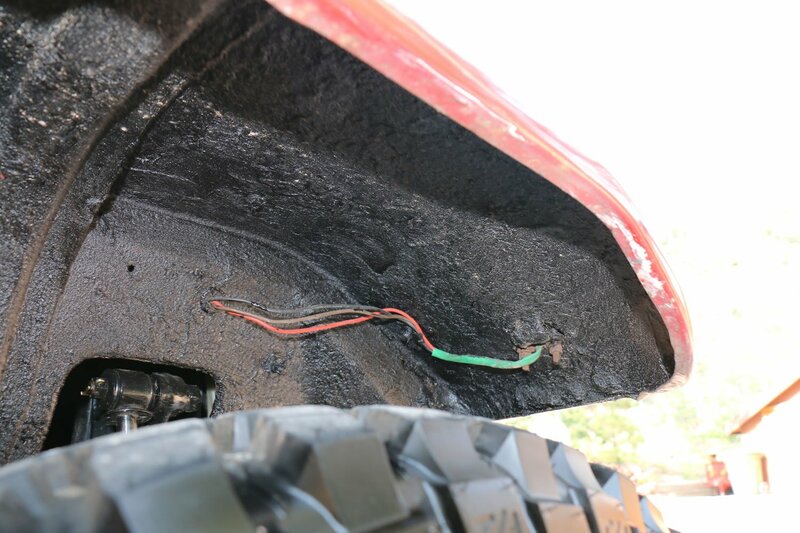 A walk around the vehicle banging on the metal from both sides revealed no weak areas. 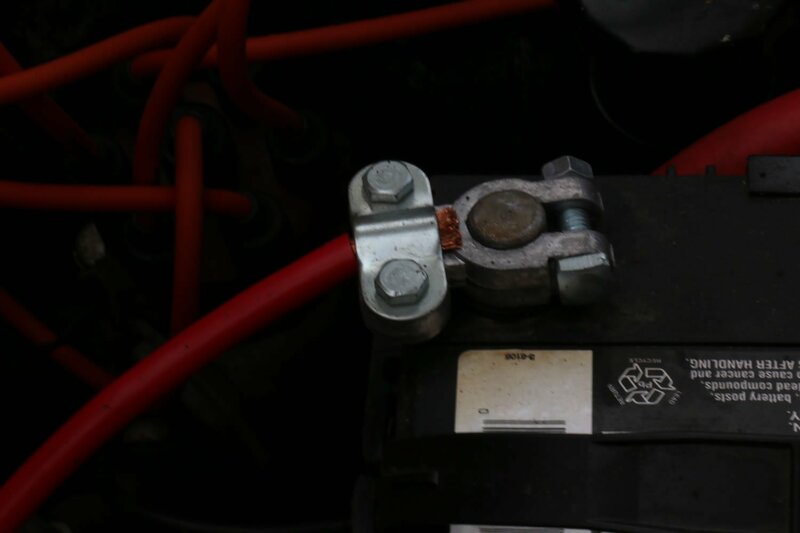 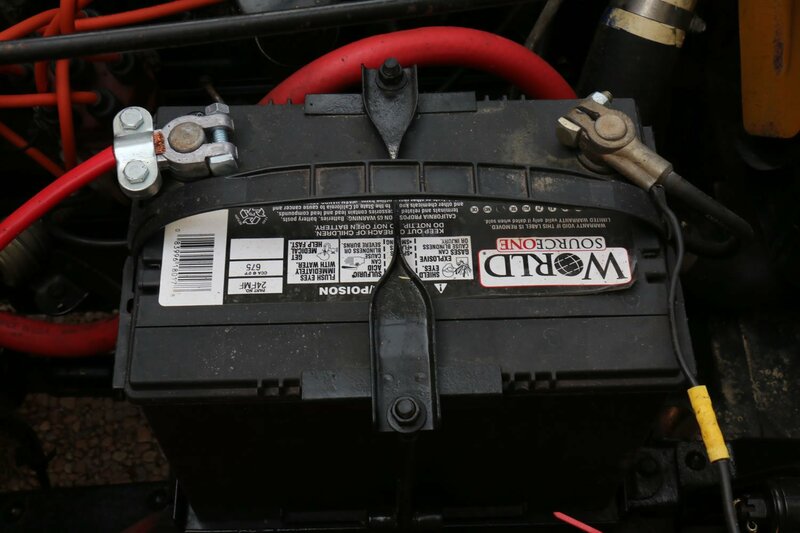 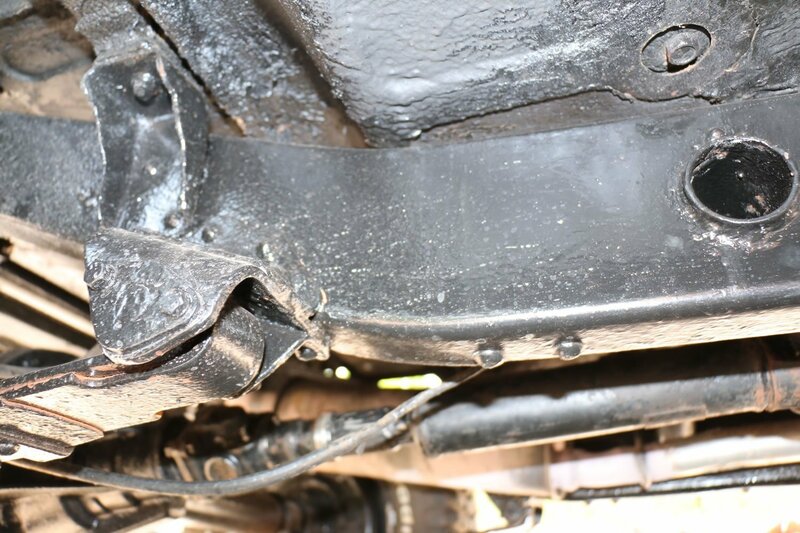 The previous owner said that all the work done involved replacing it with new metal. 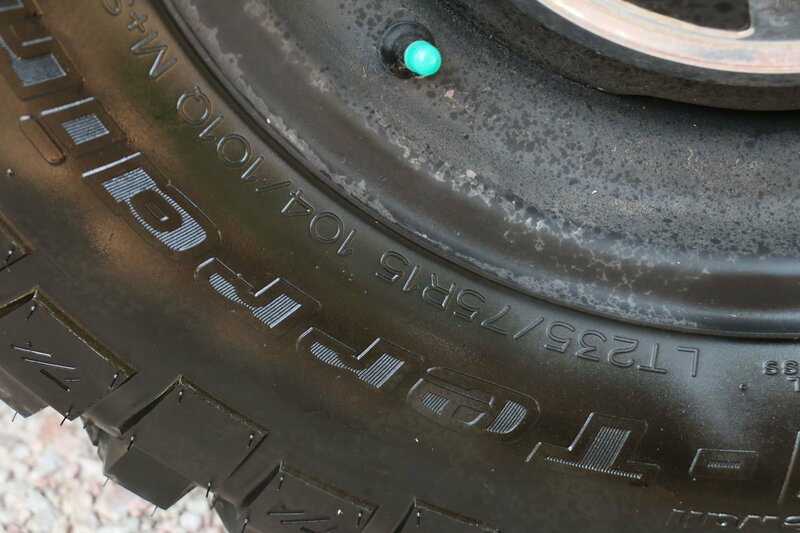 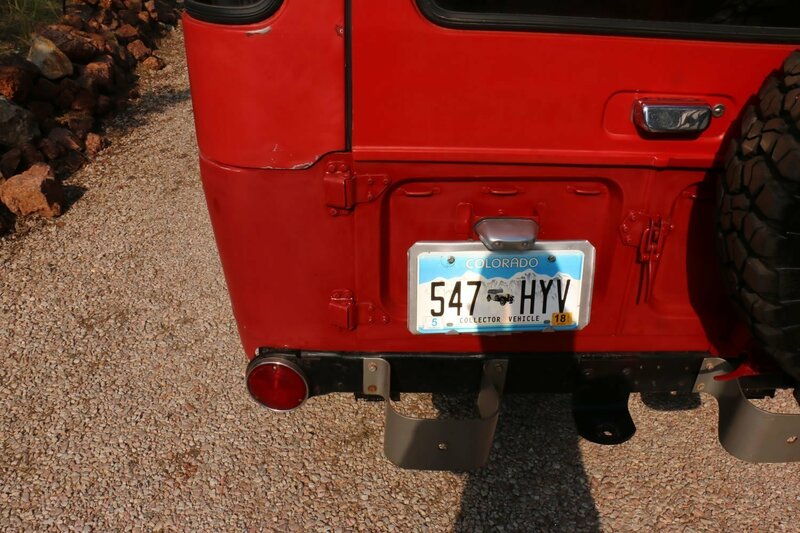 I’ve taken a magnet to the vehicle and that appears to be the case. 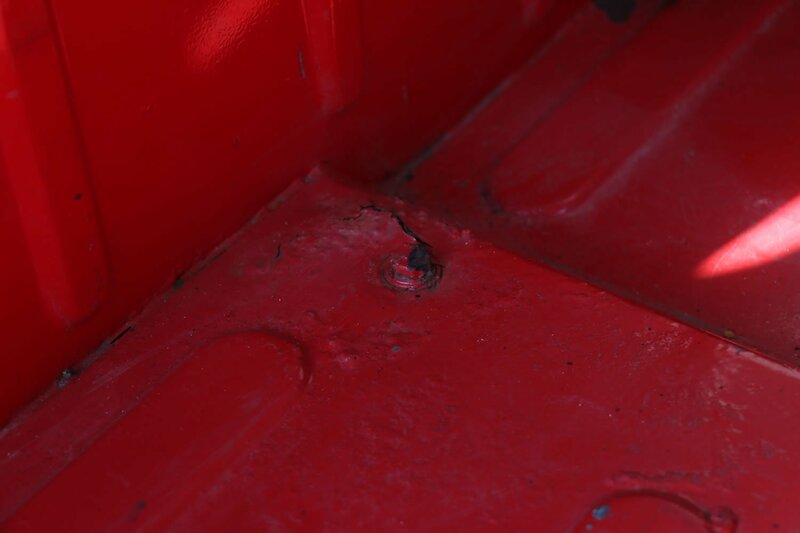 Filler was used after the new metal was installed, and the work done there again, is just so-so. 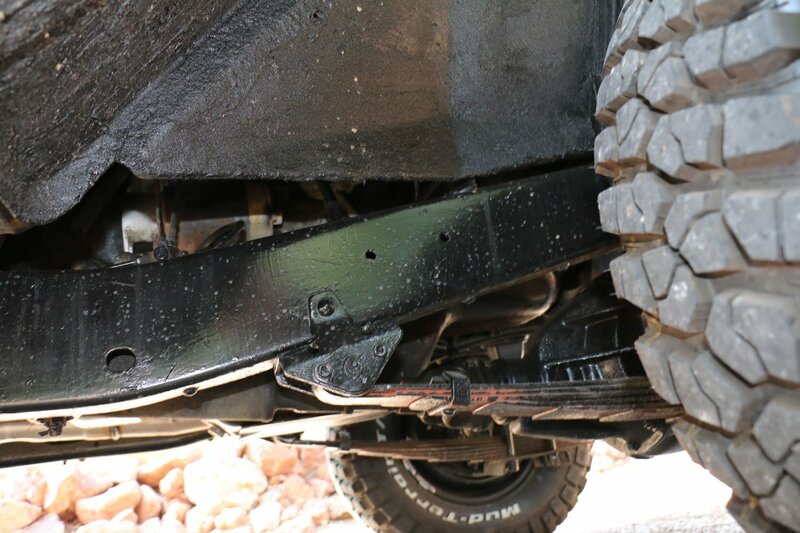 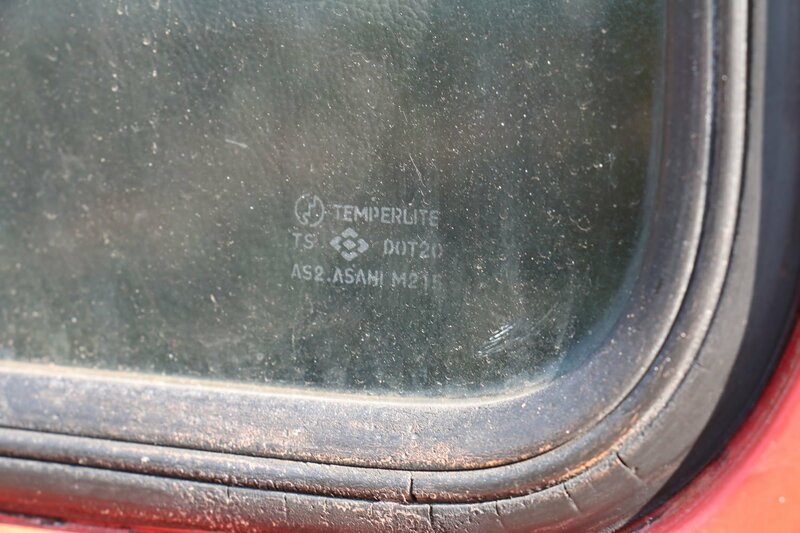 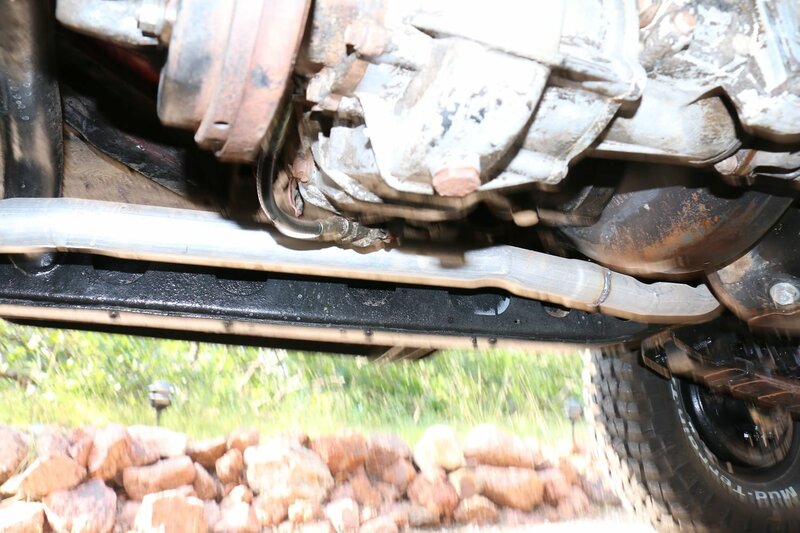 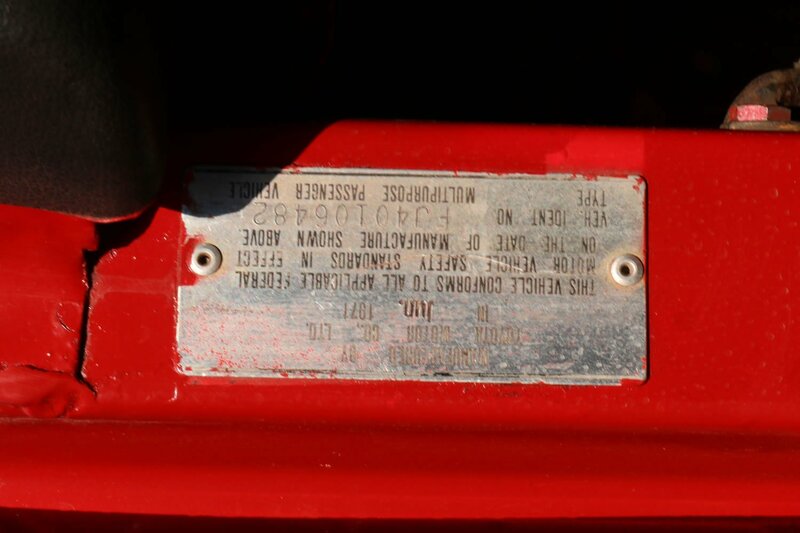 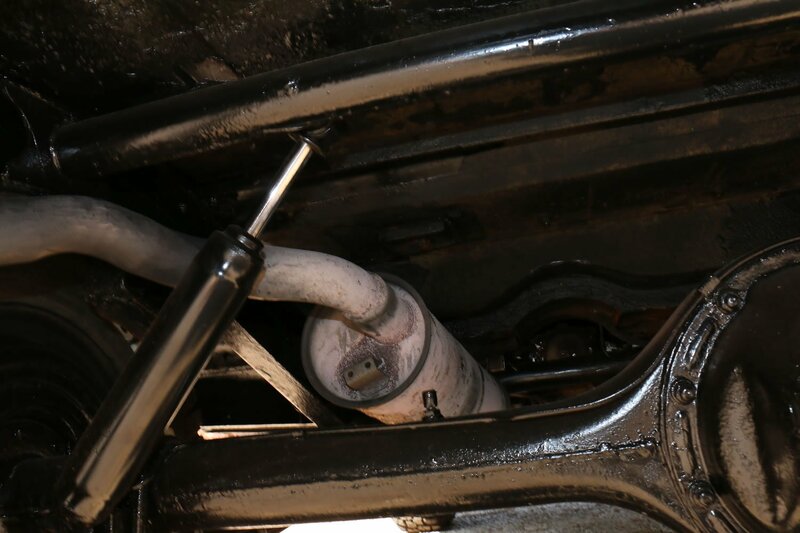 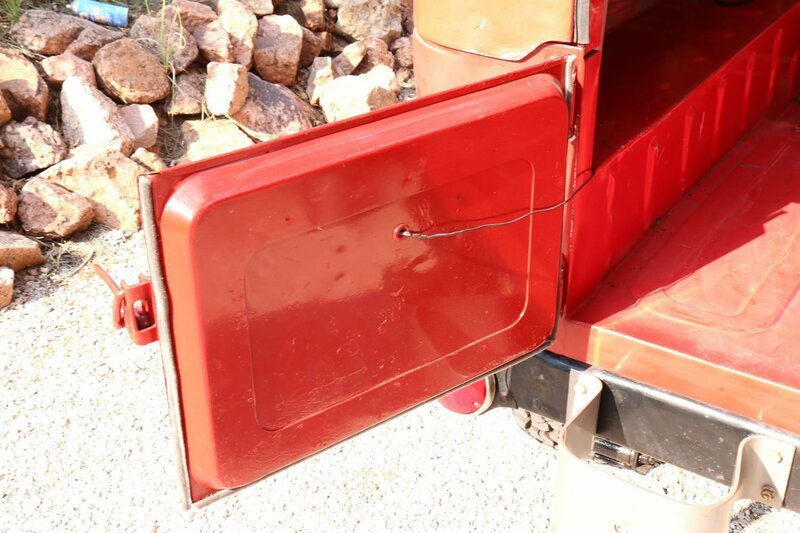 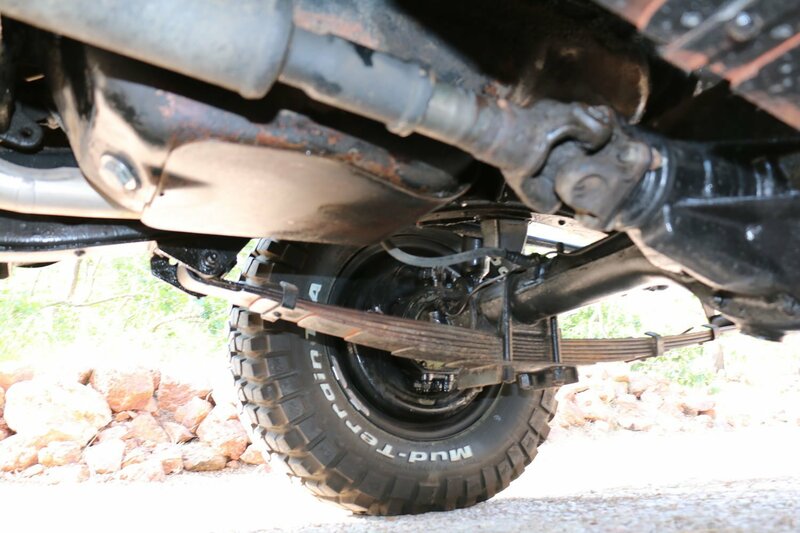 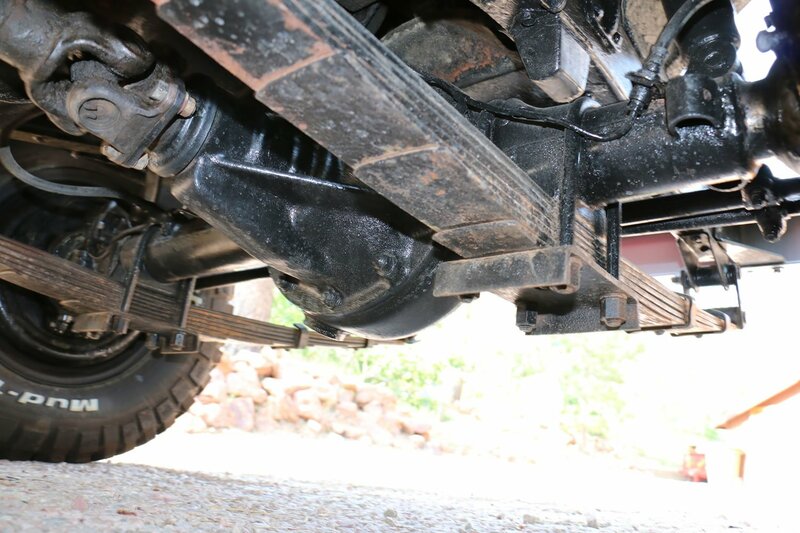 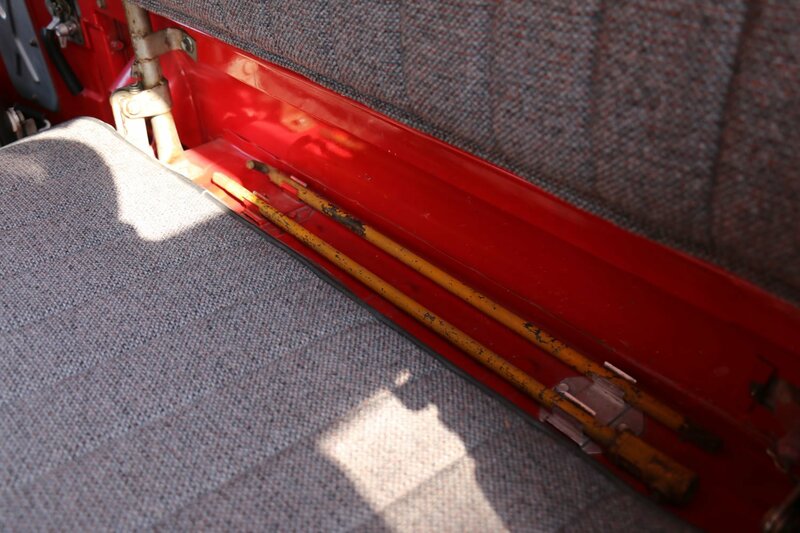 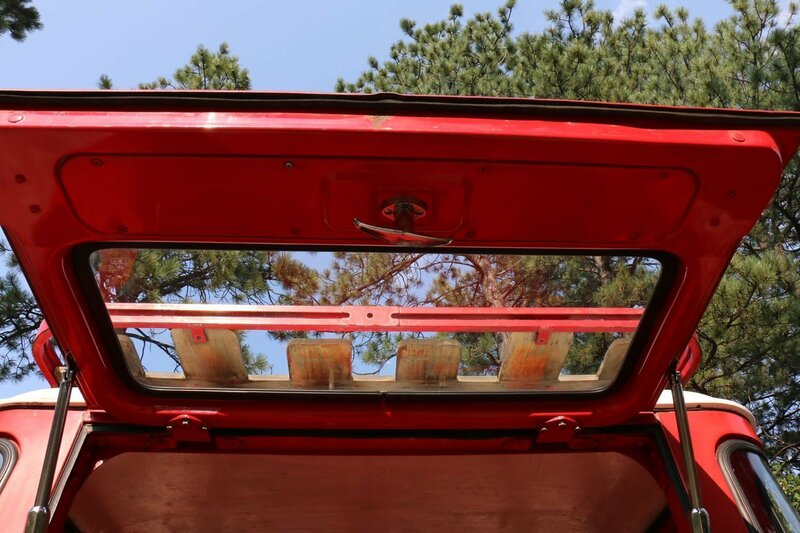 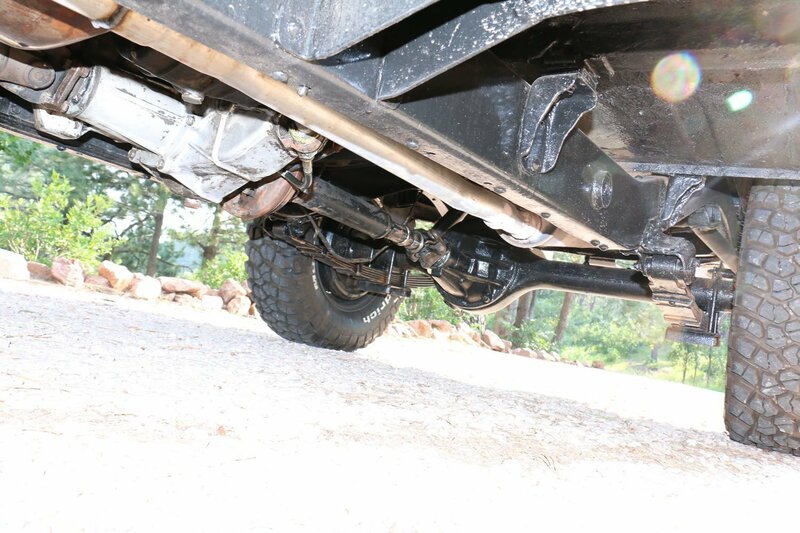 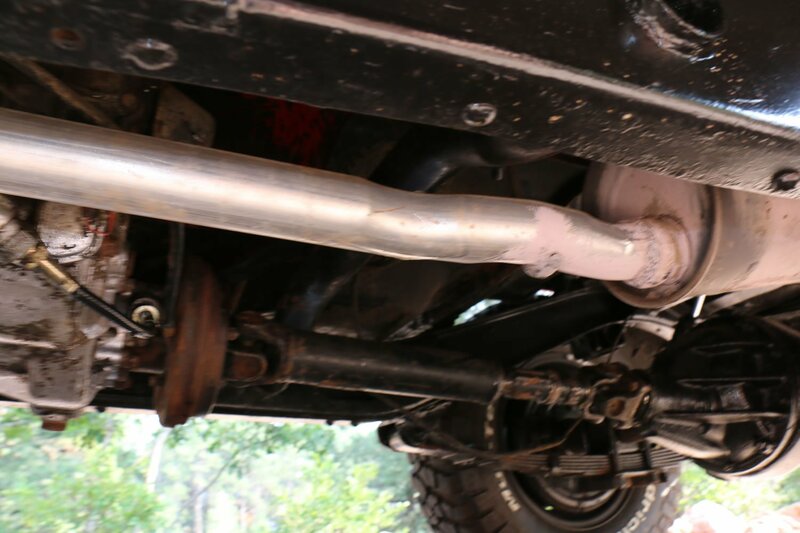 The previous owner from Colorado Springs said that the original owner put in new metal where there were issues and had a new rear sill put in, as well. 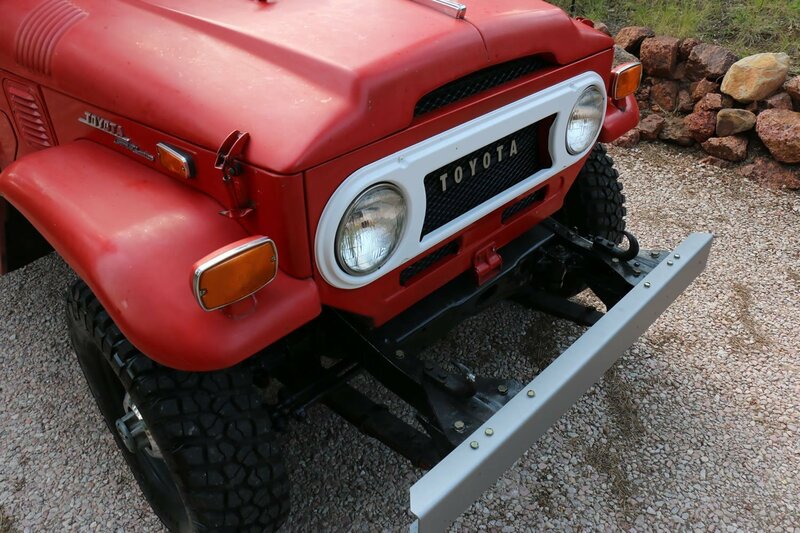 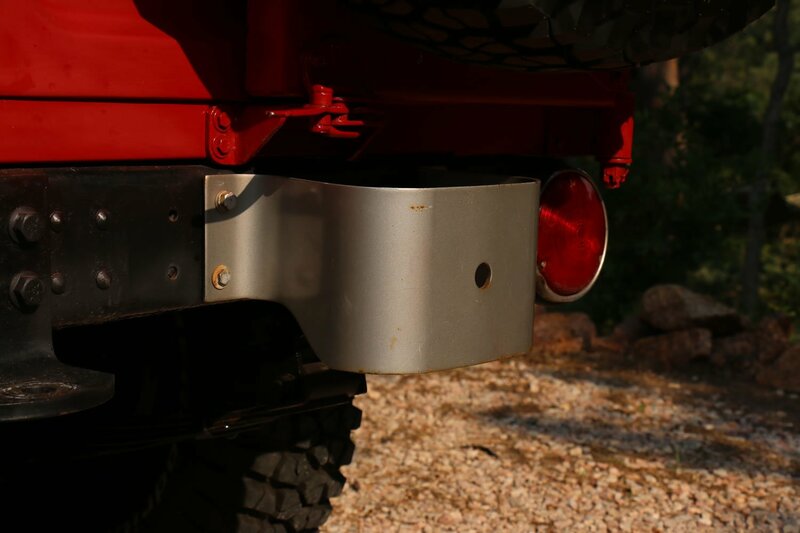 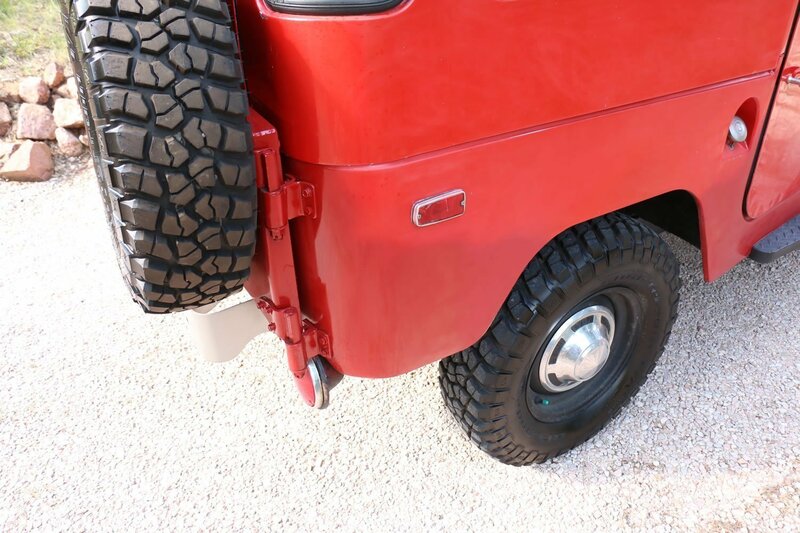 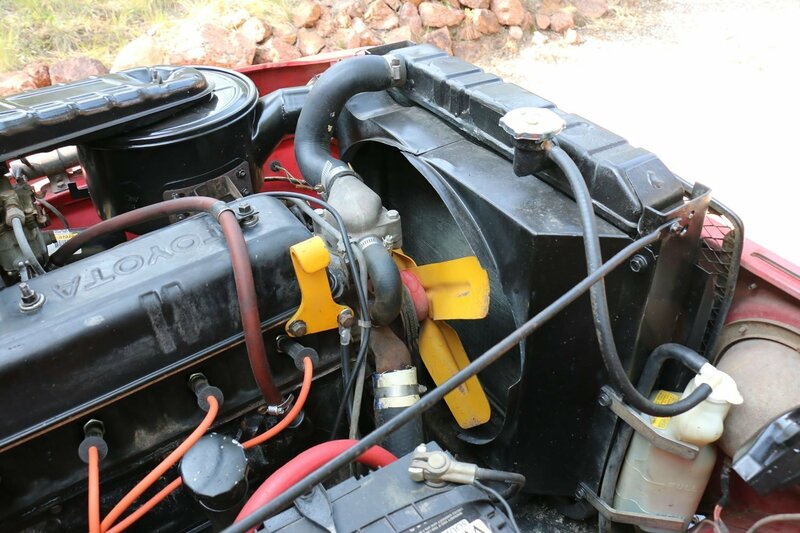 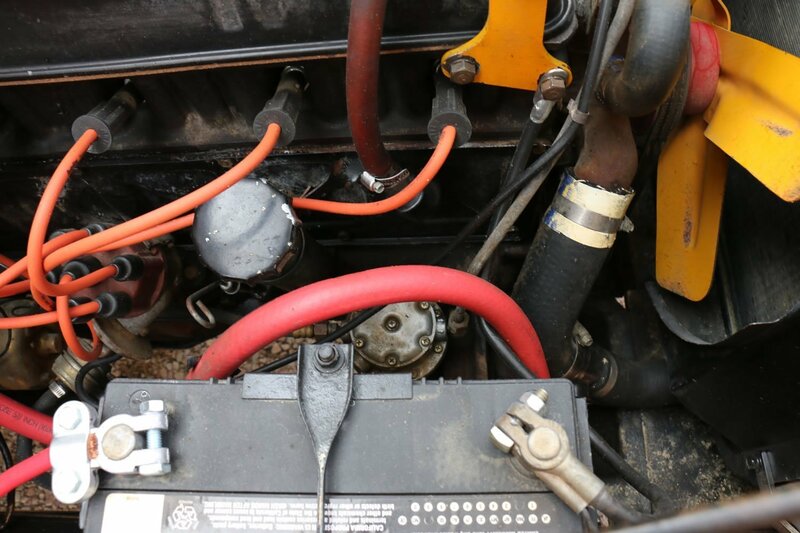 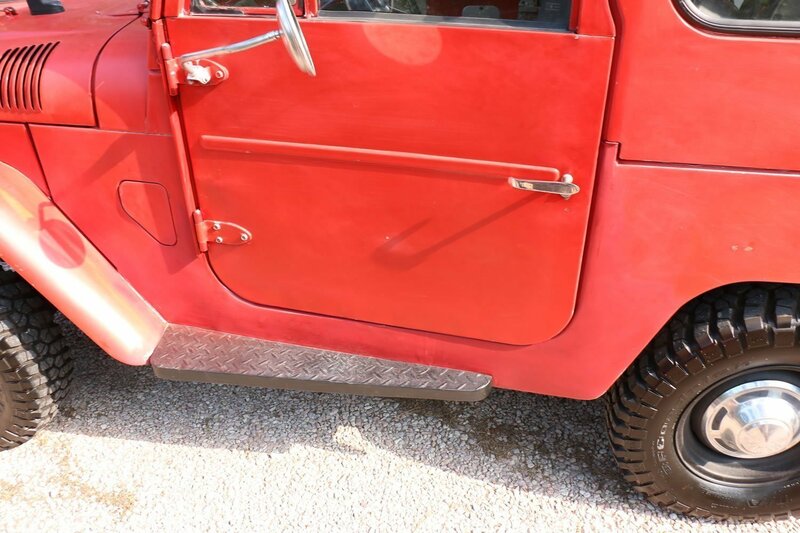 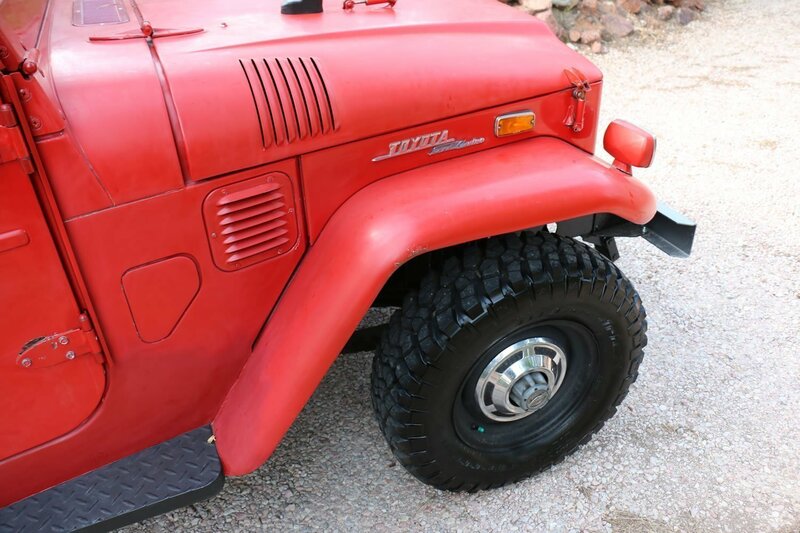 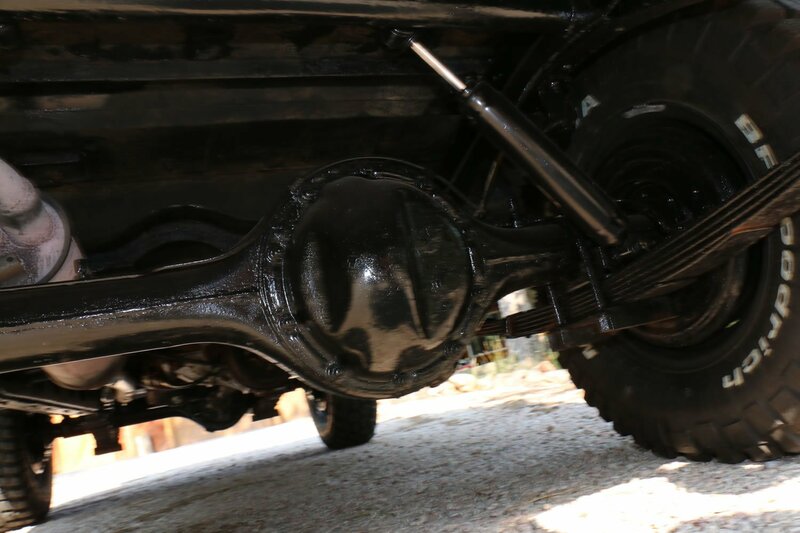 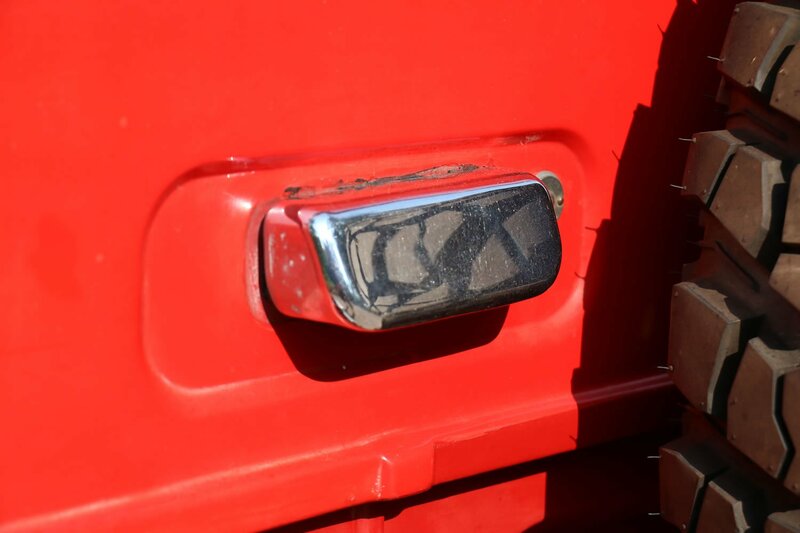 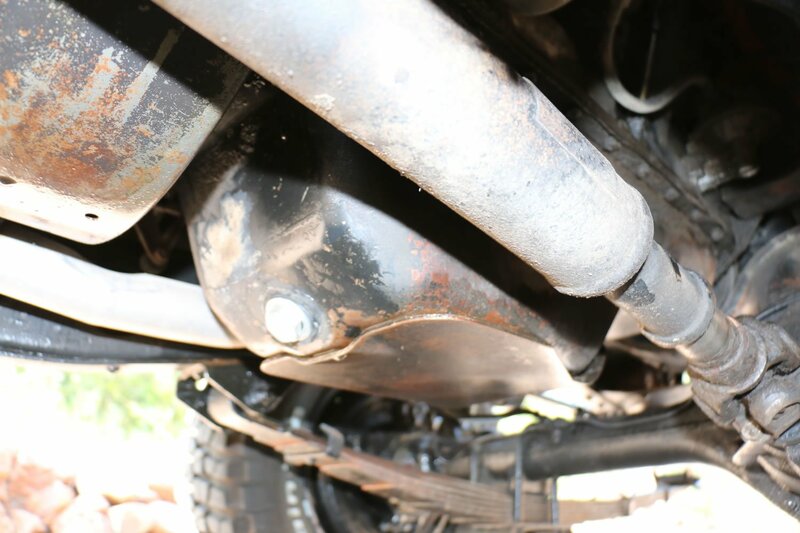 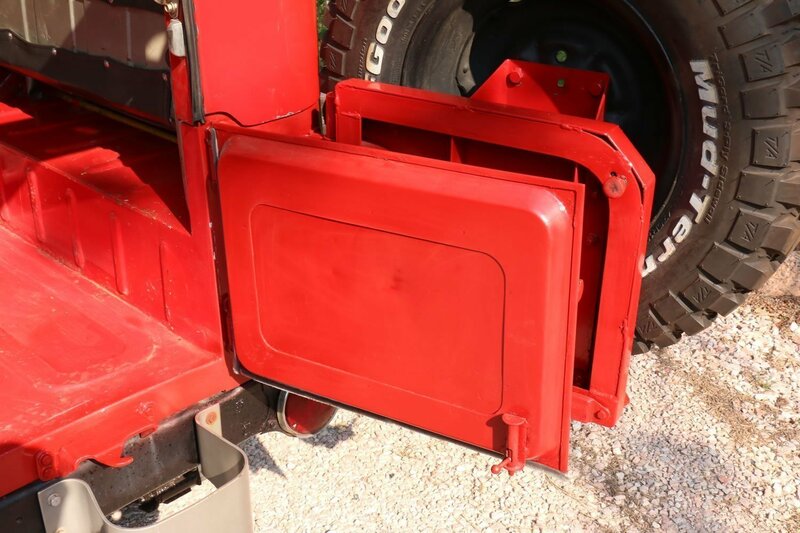 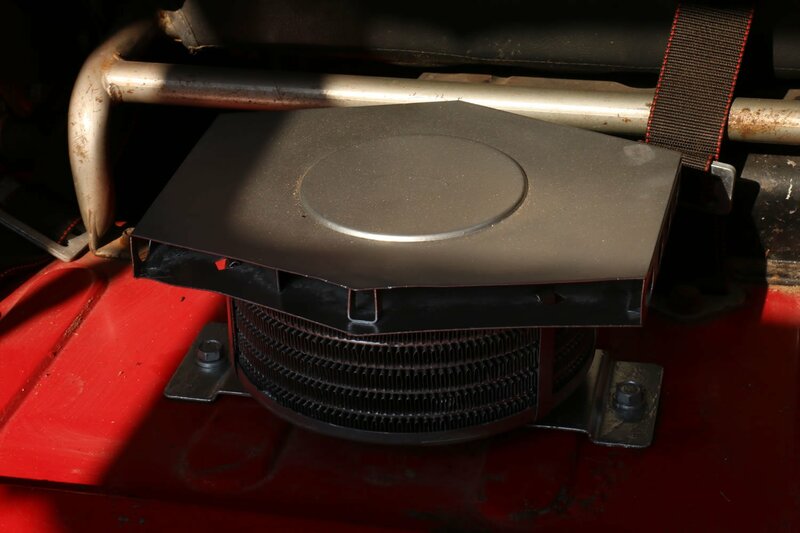 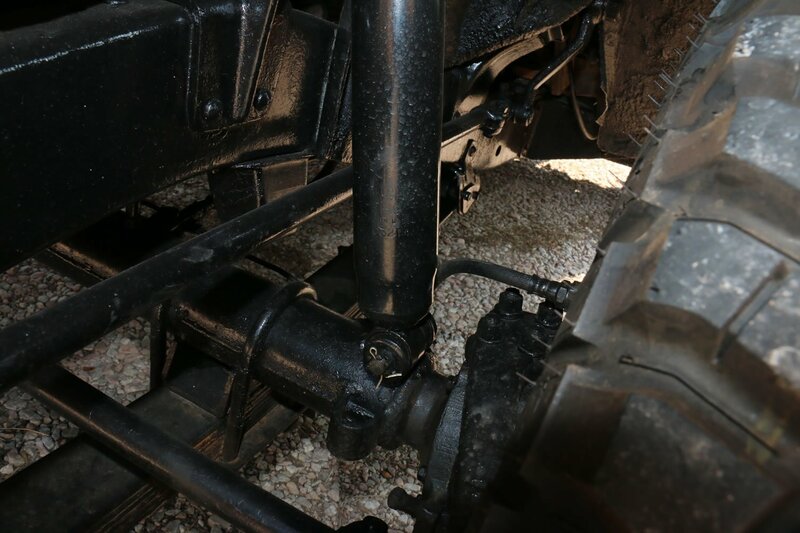 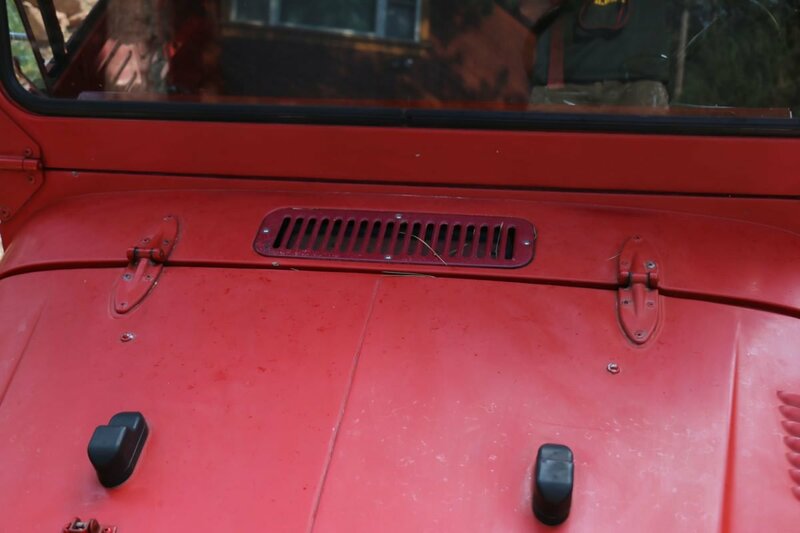 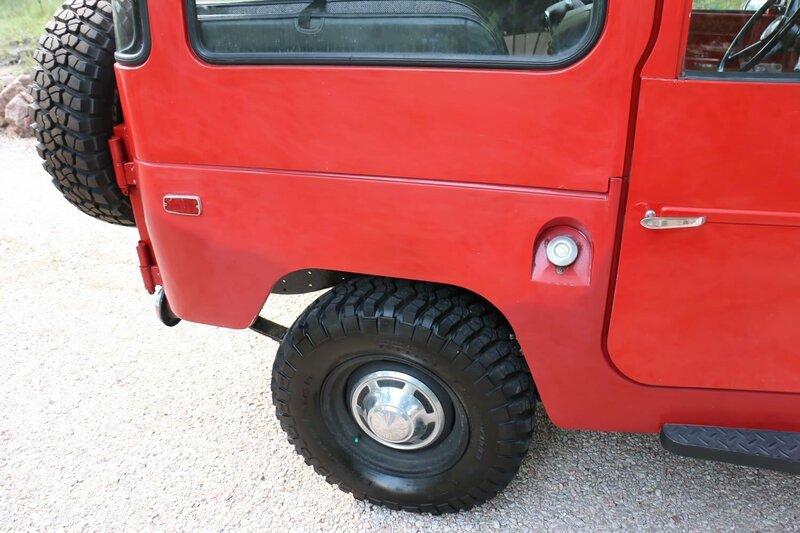 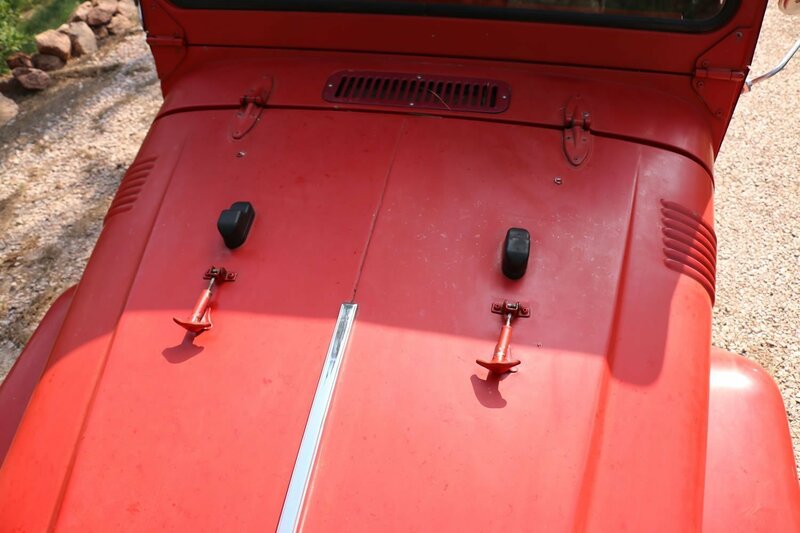 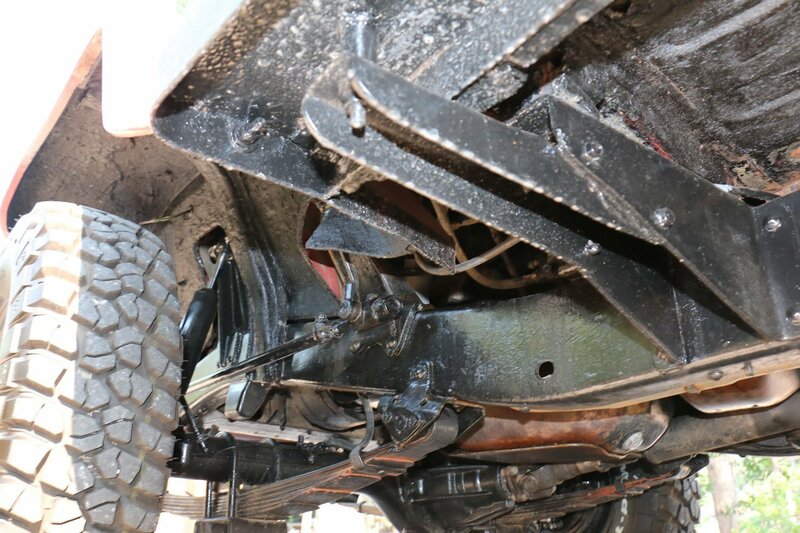 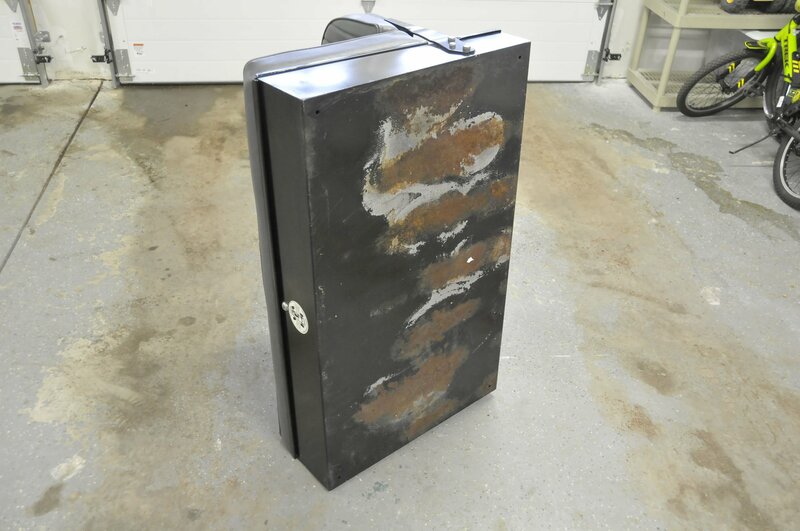 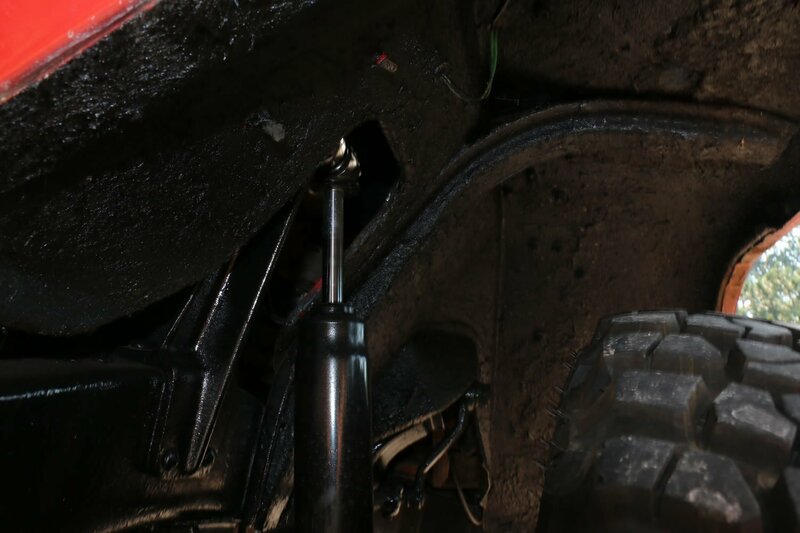 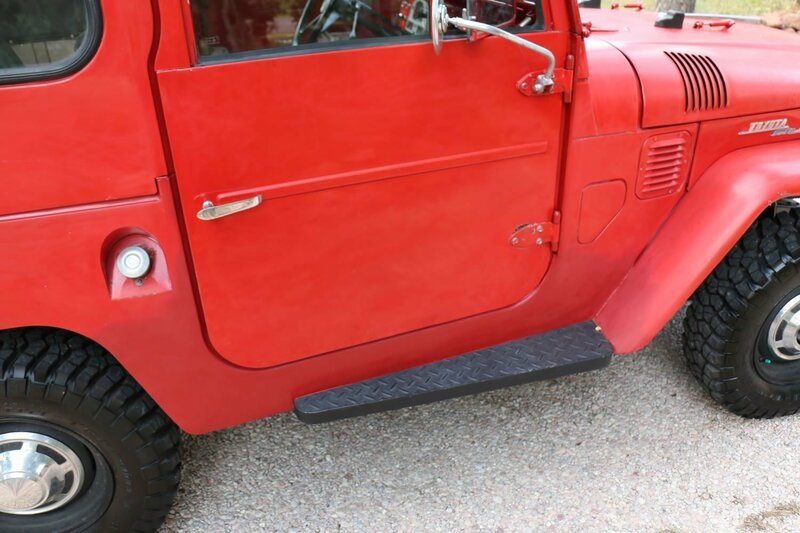 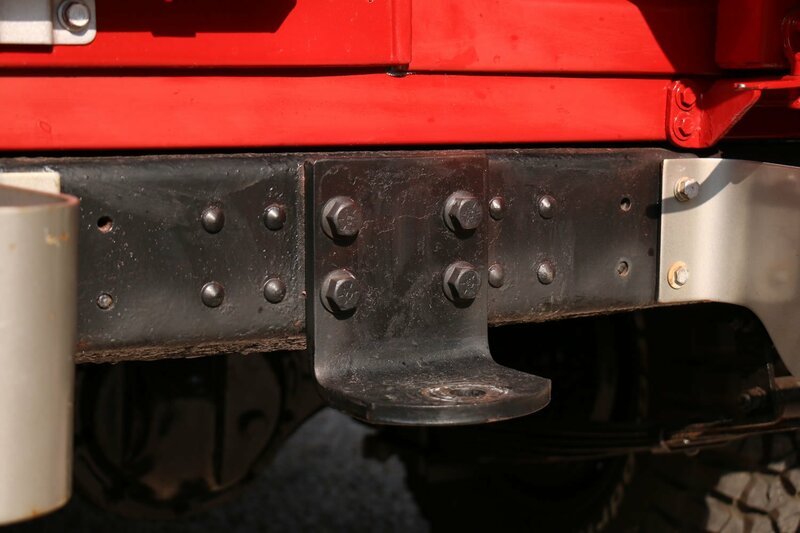 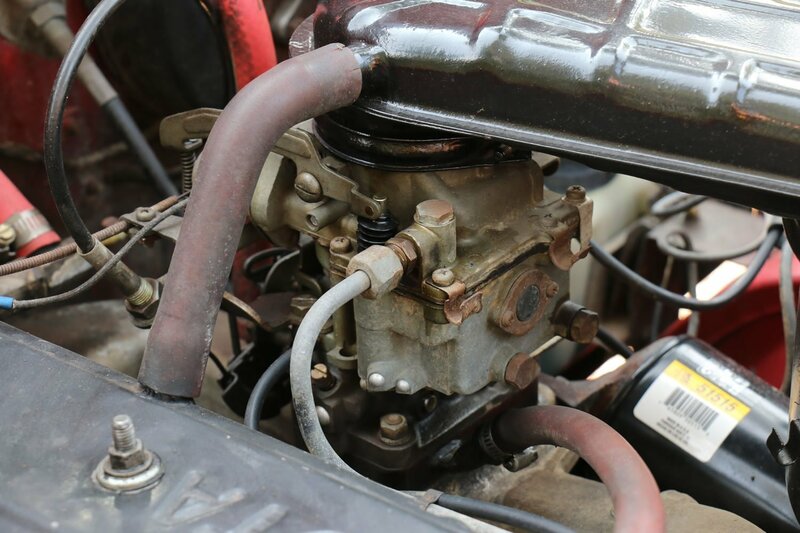 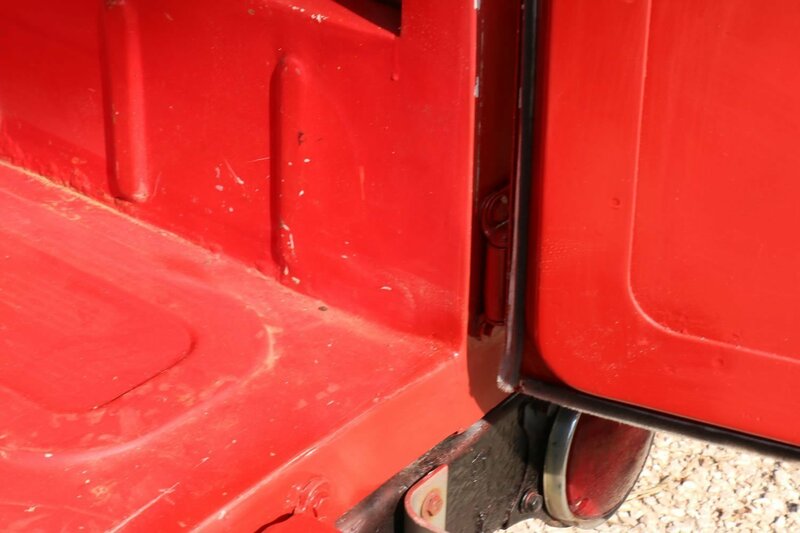 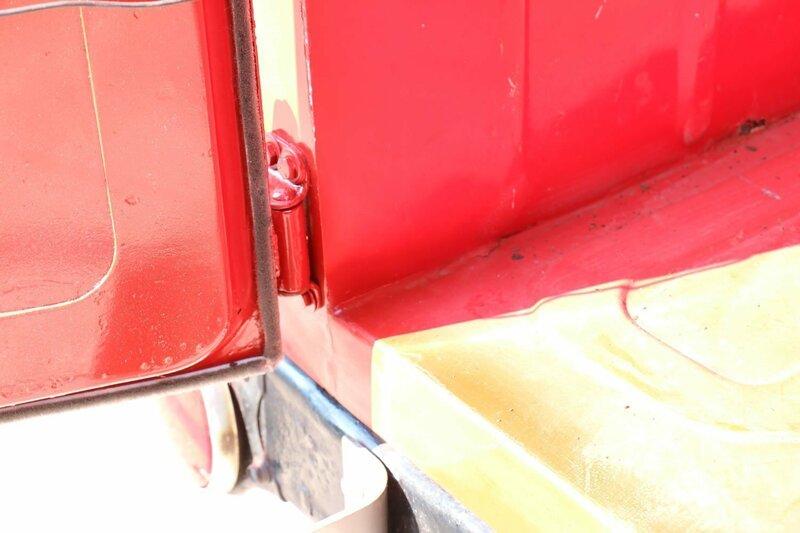 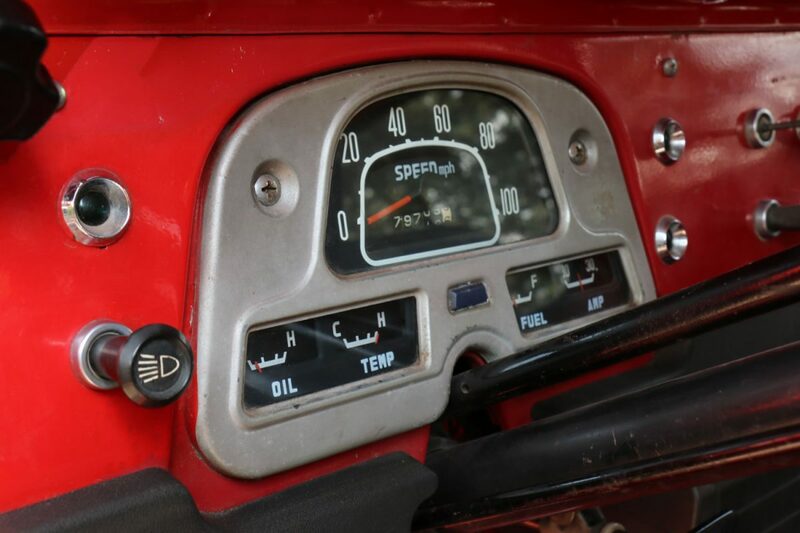 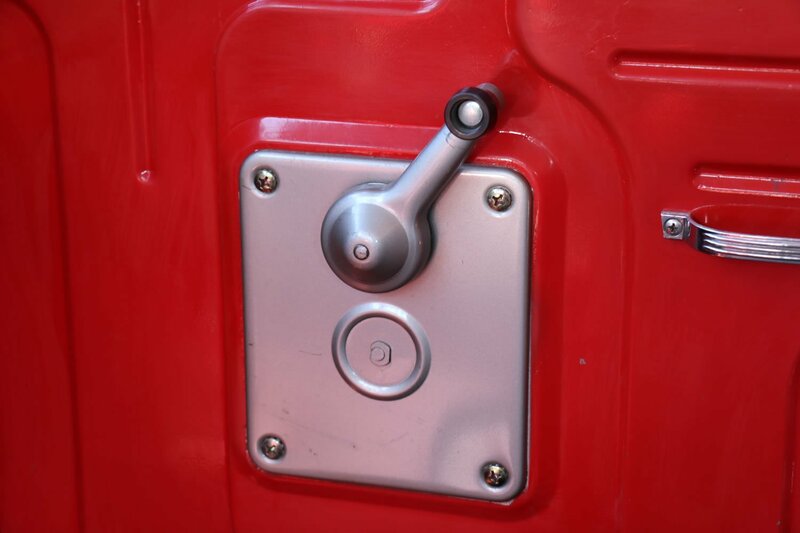 Even though the work done was “so-so” it does appear to have kept this FJ40’s body and metal in very good condition, thus making it an excellent candidate for a full restoration. 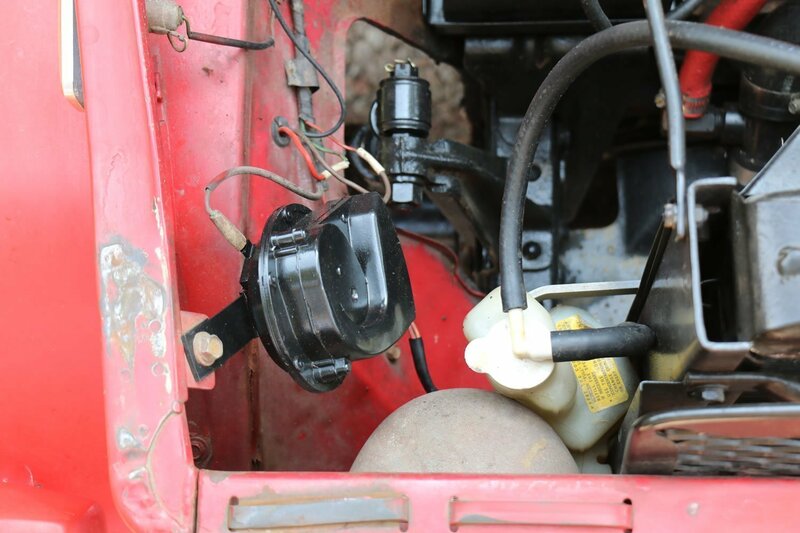 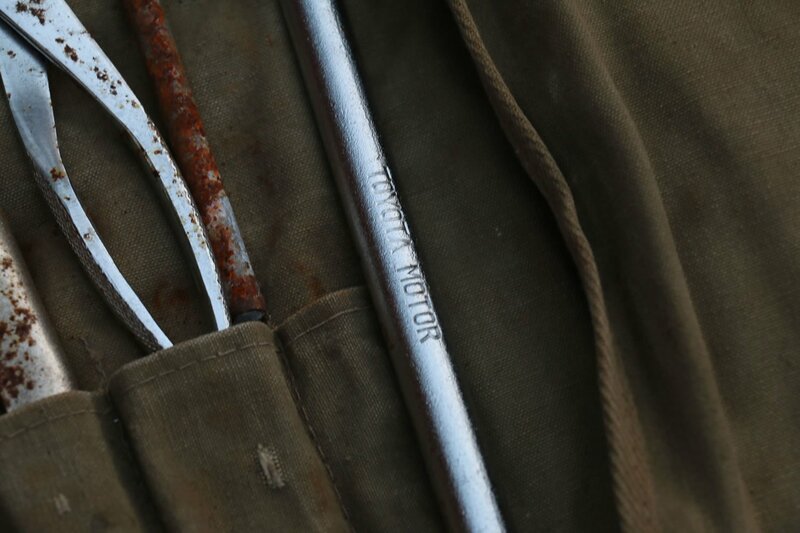 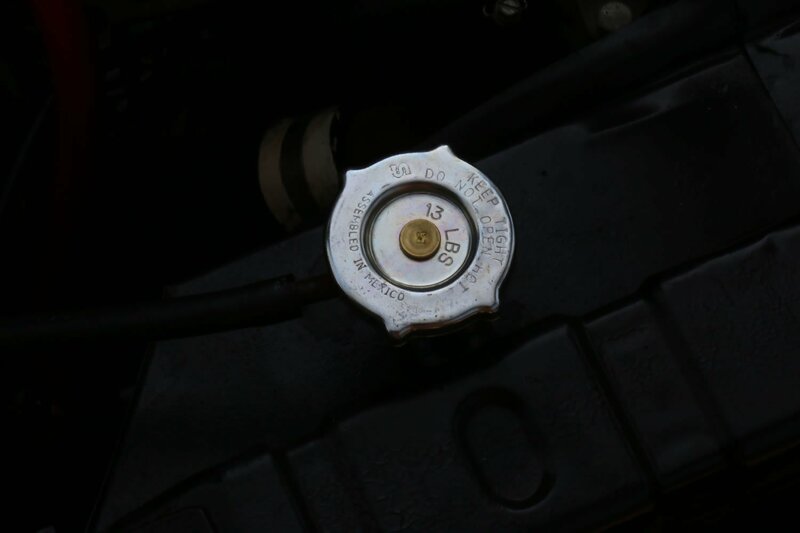 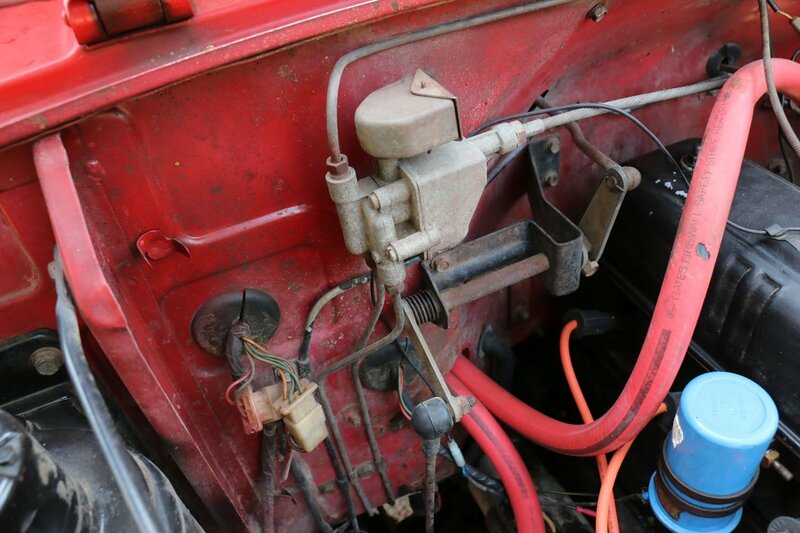 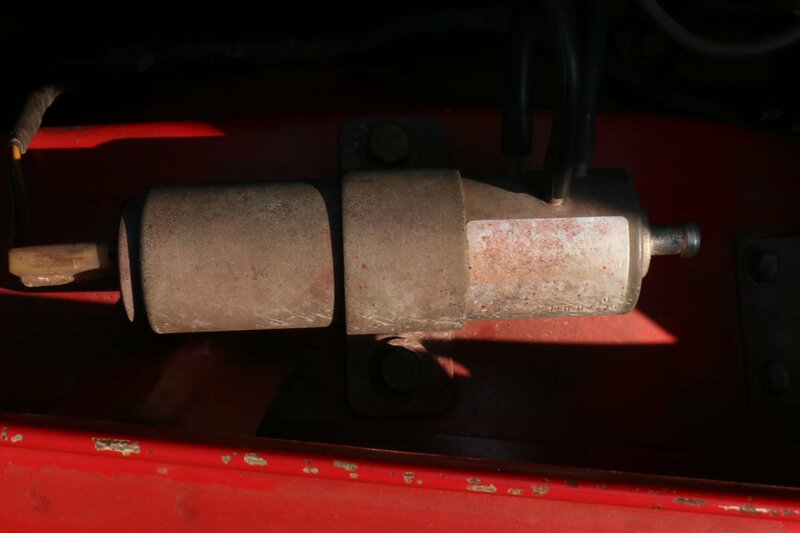 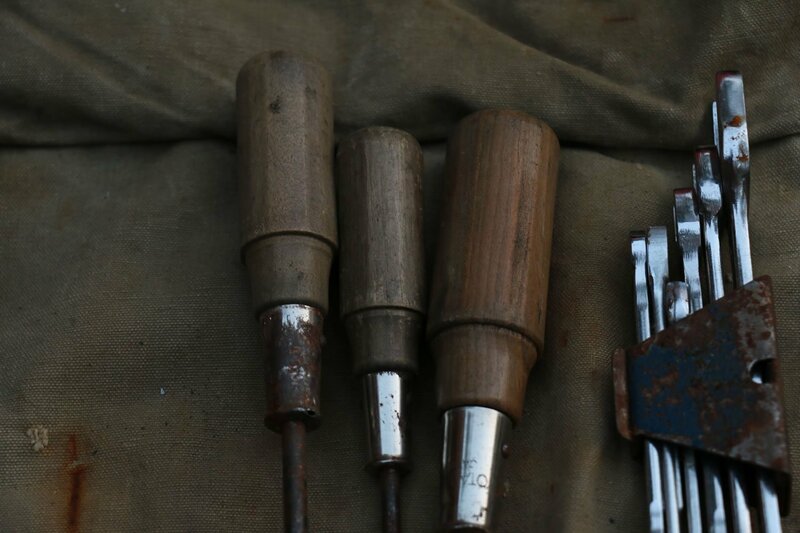 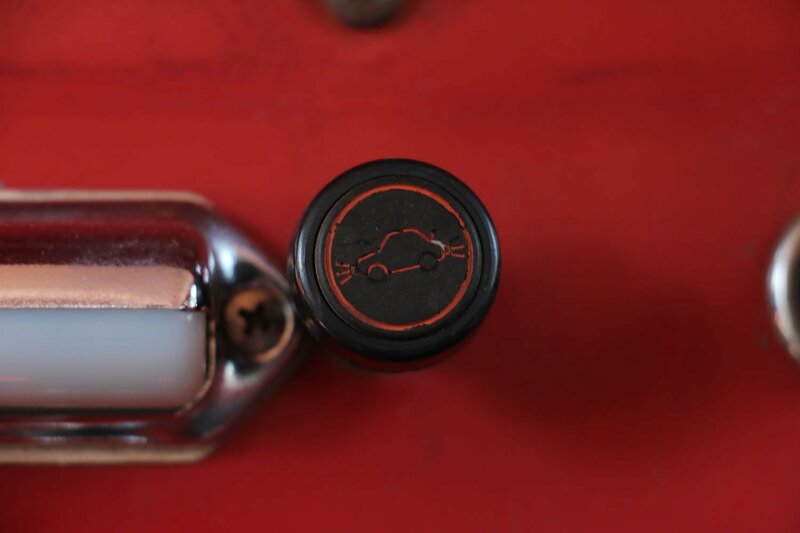 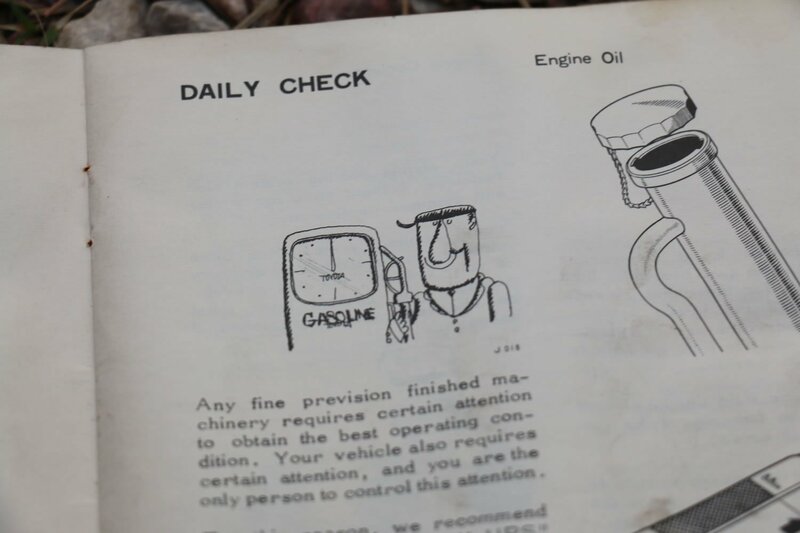 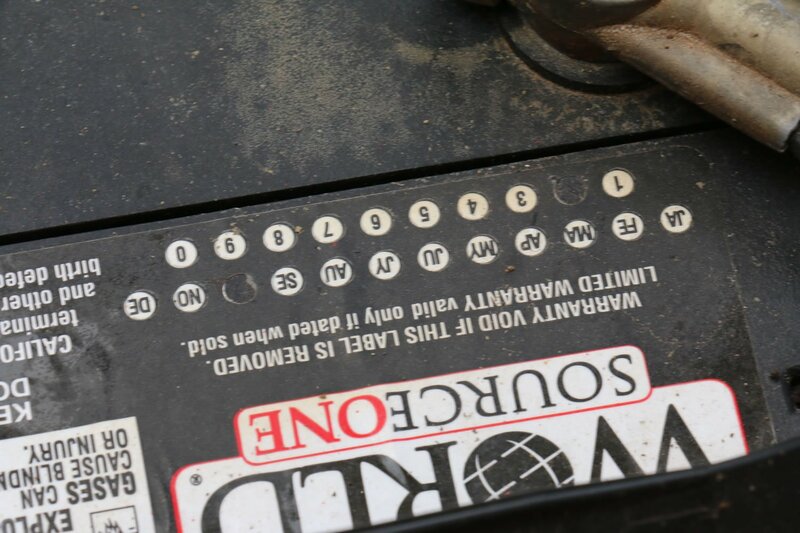 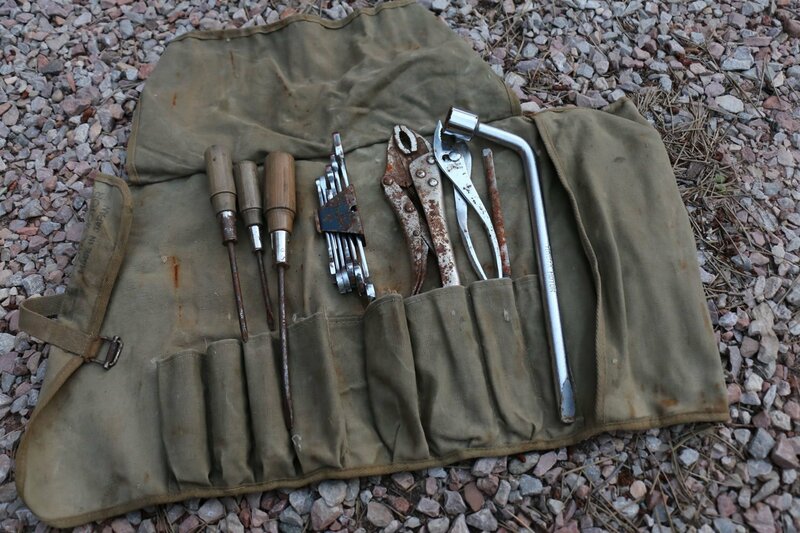 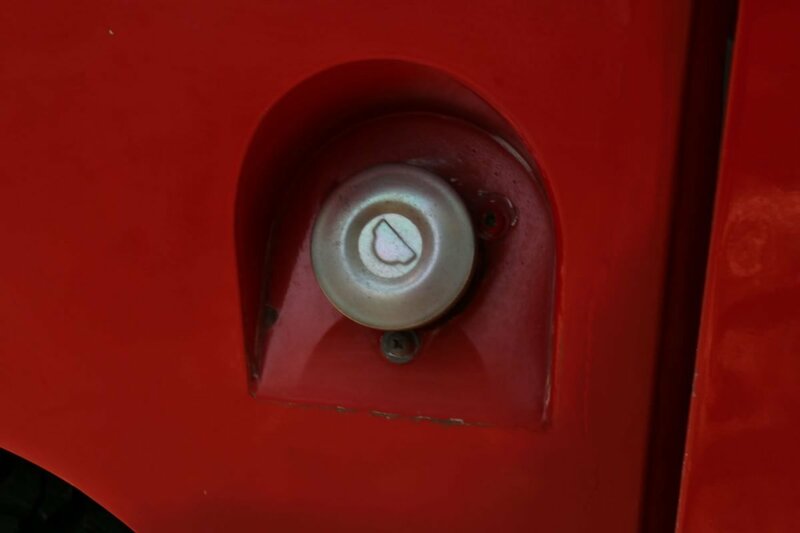 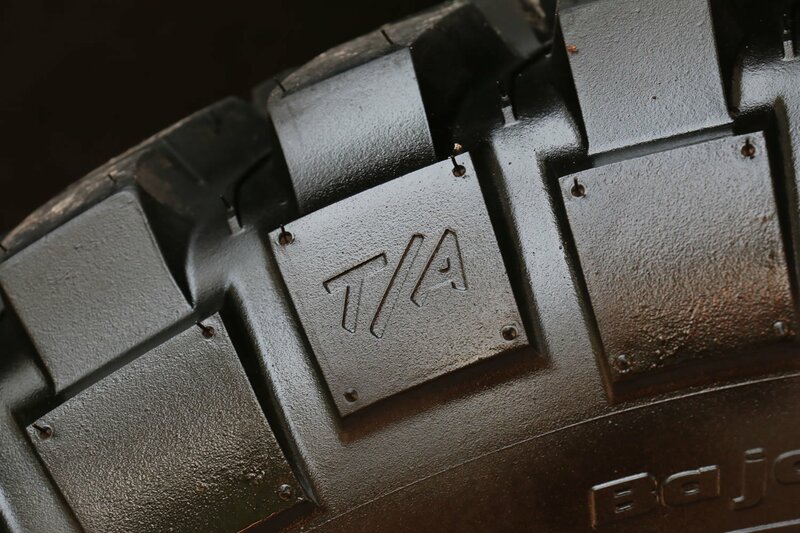 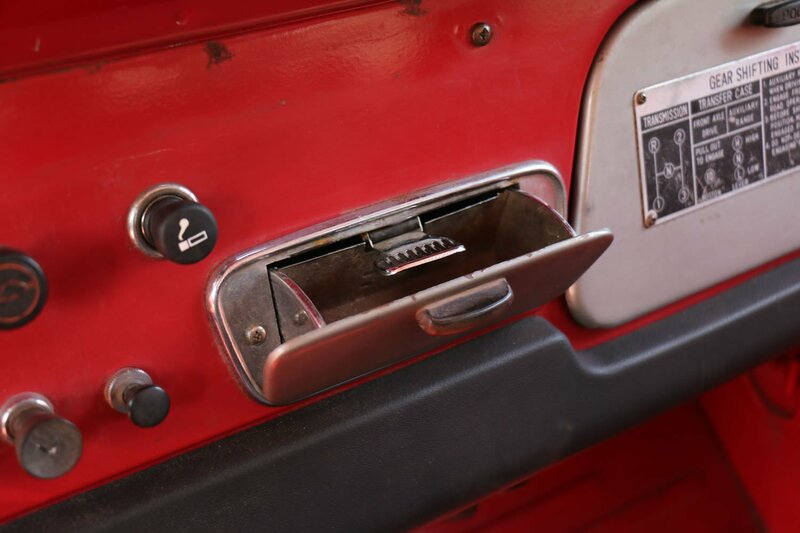 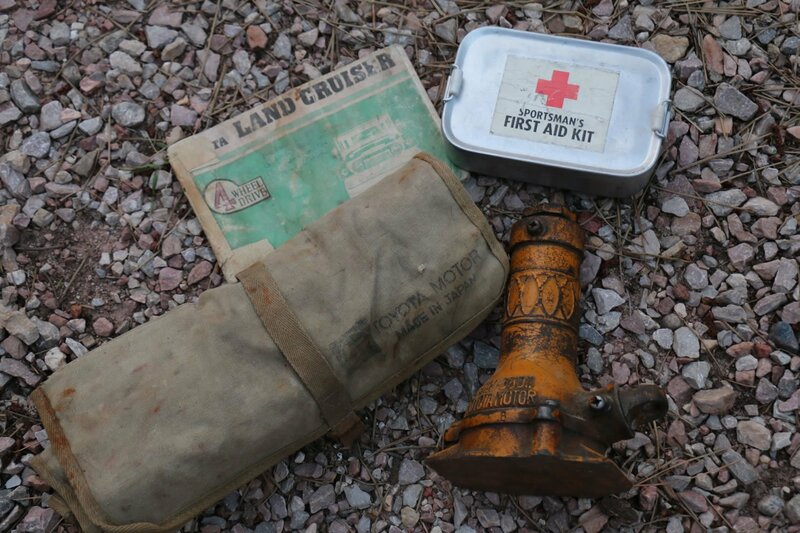 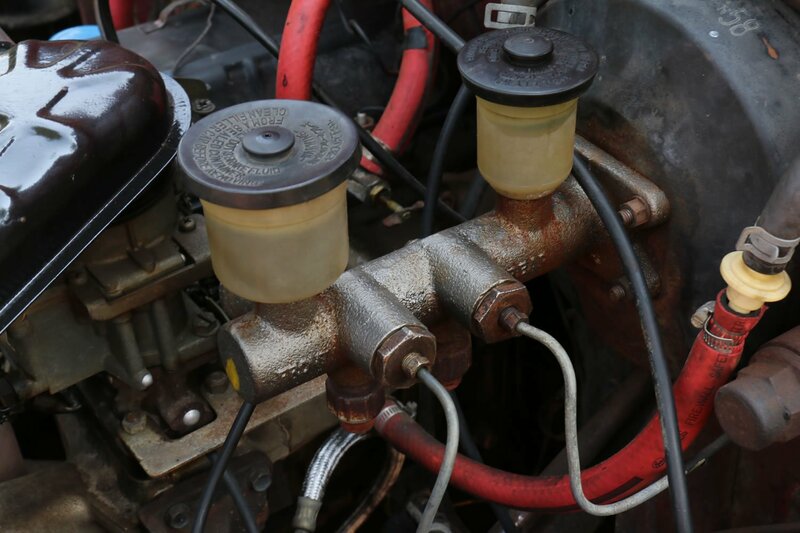 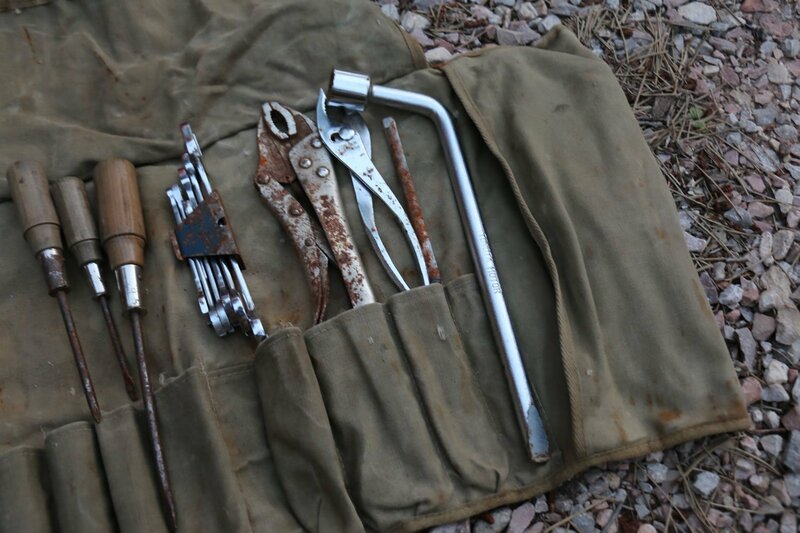 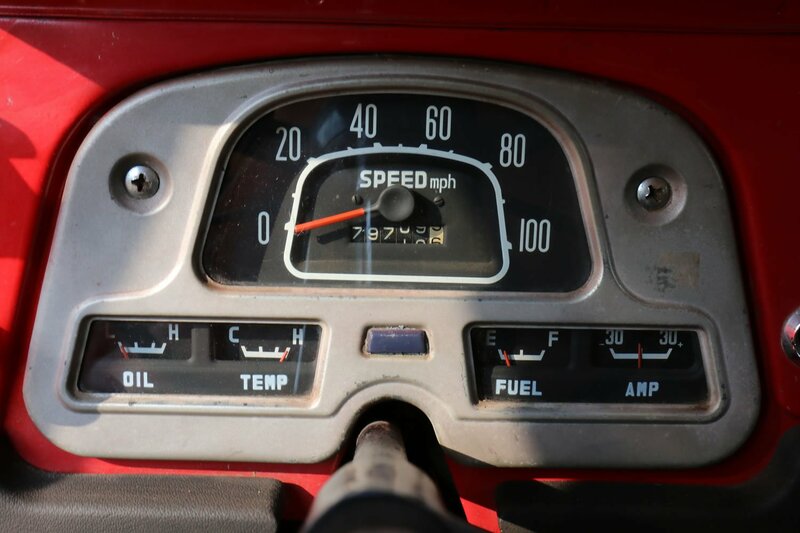 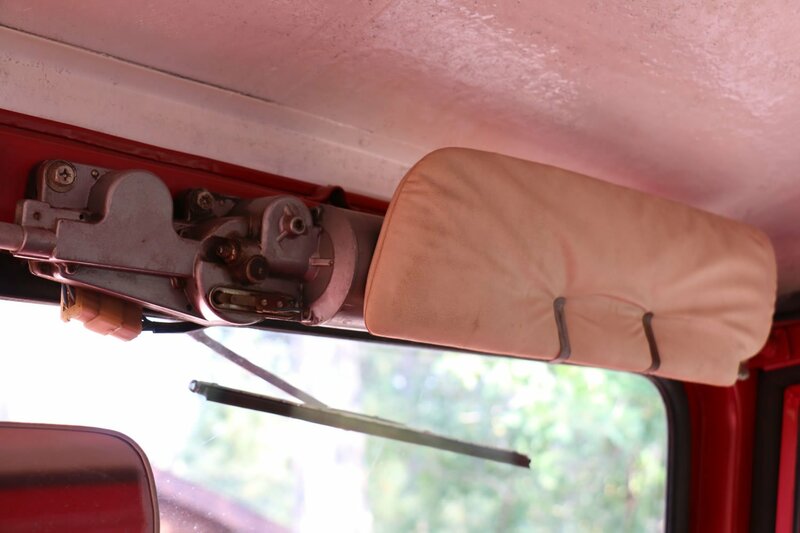 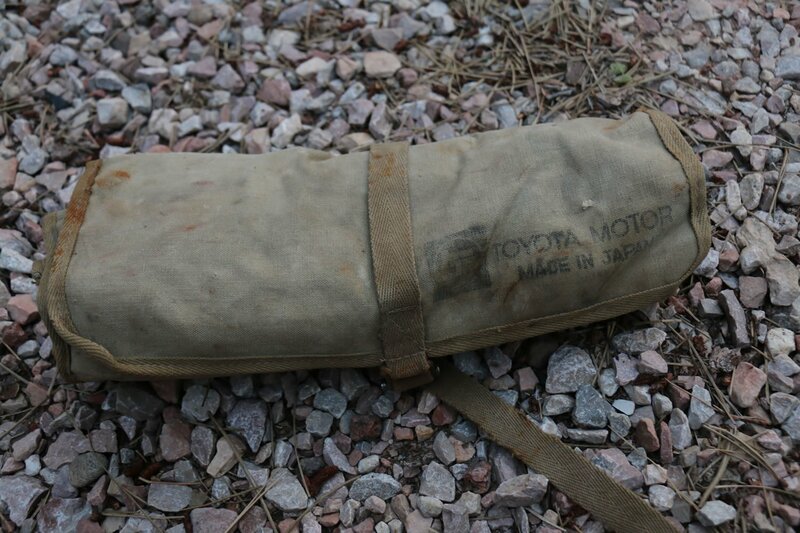 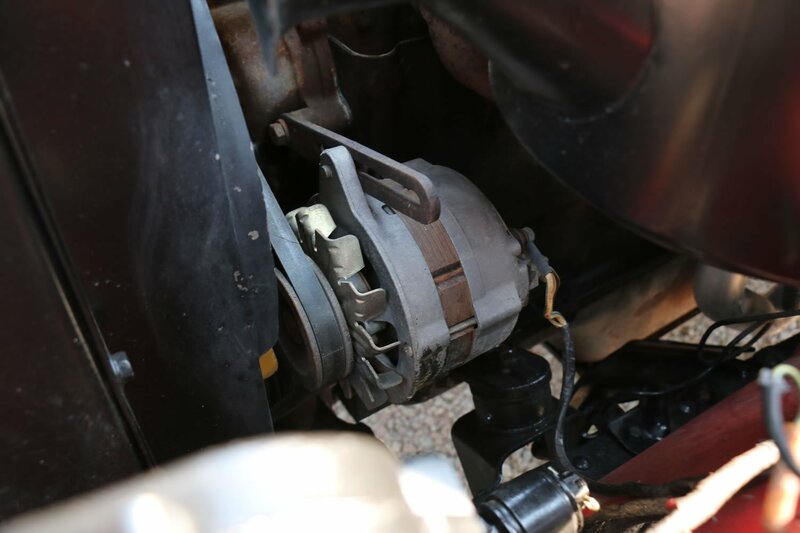 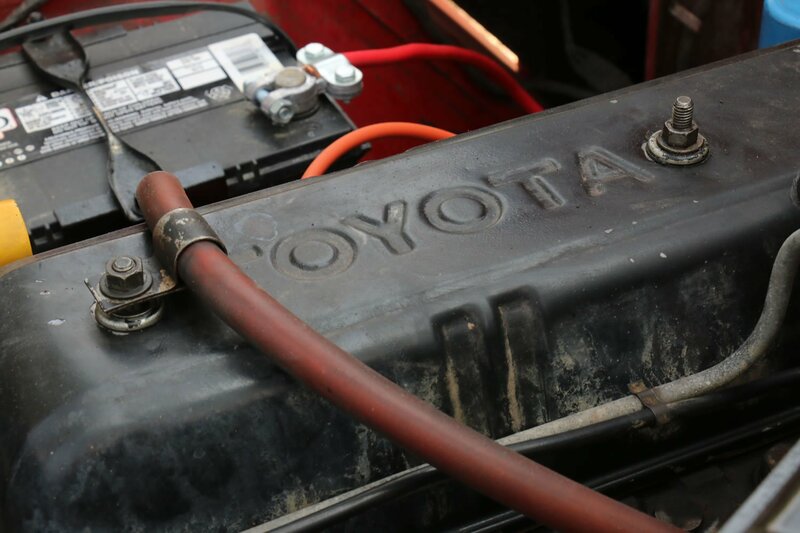 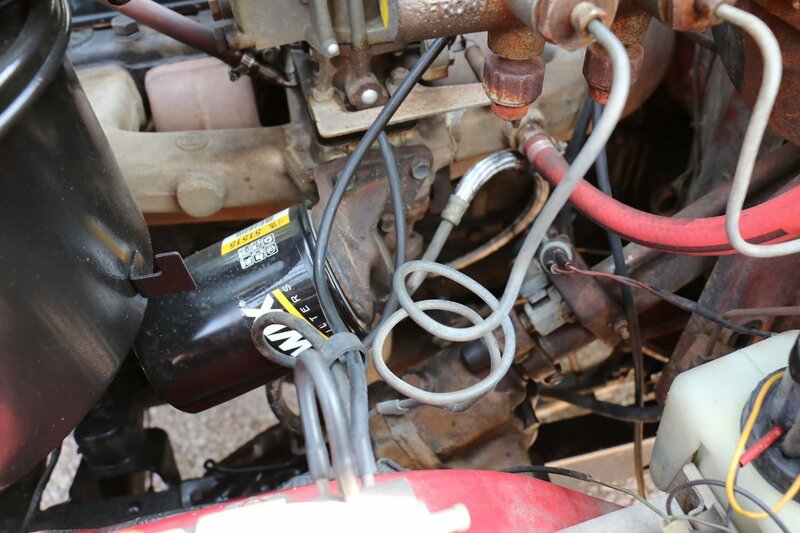 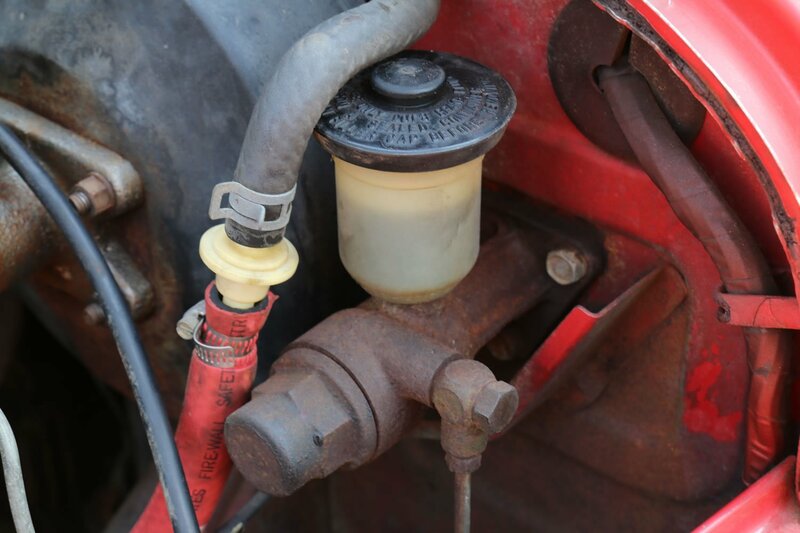 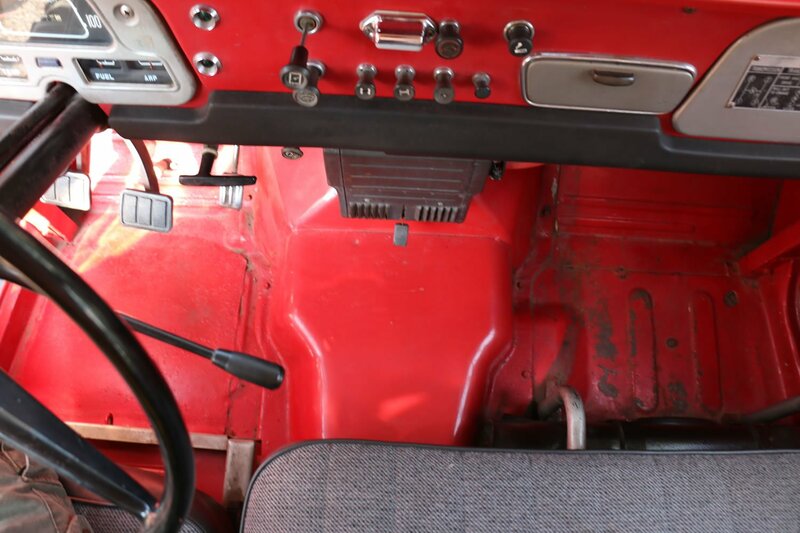 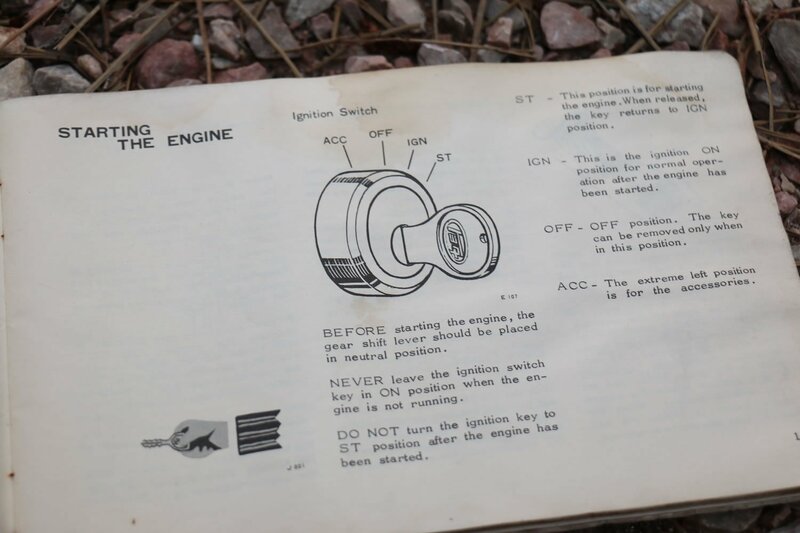 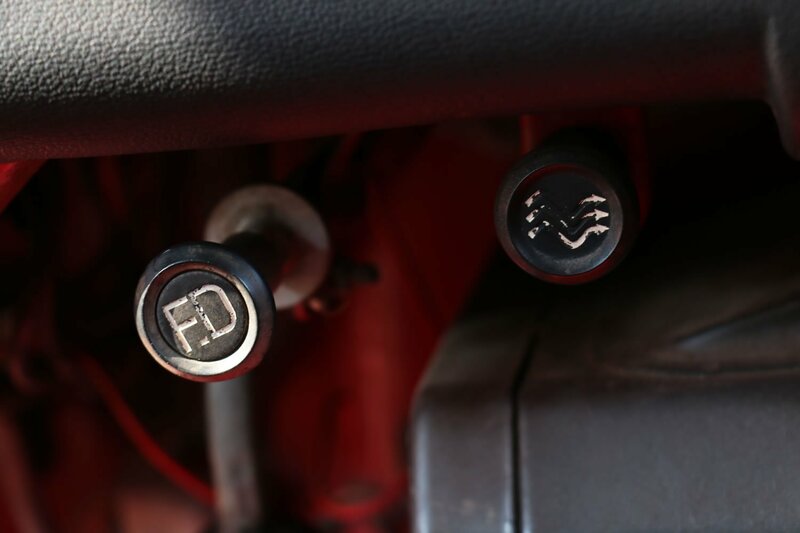 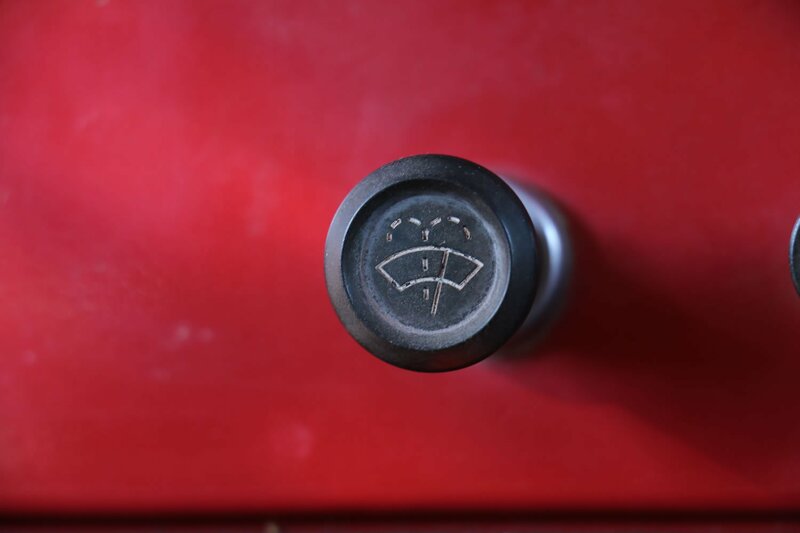 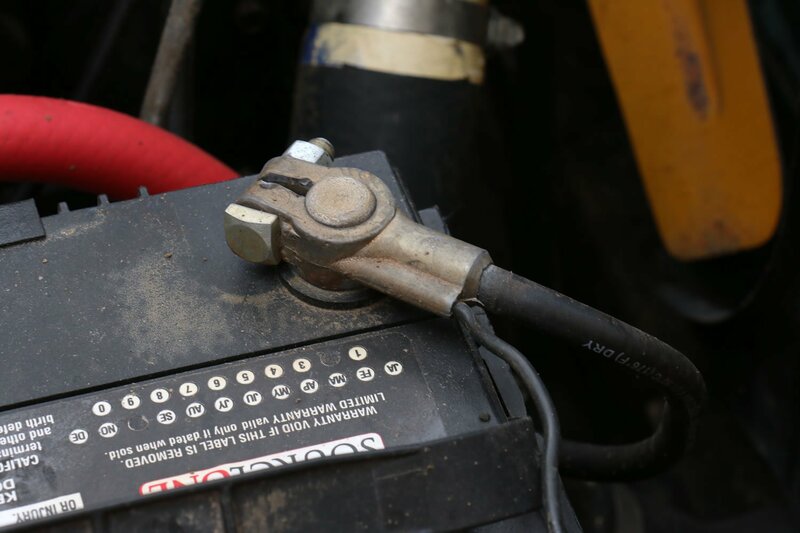 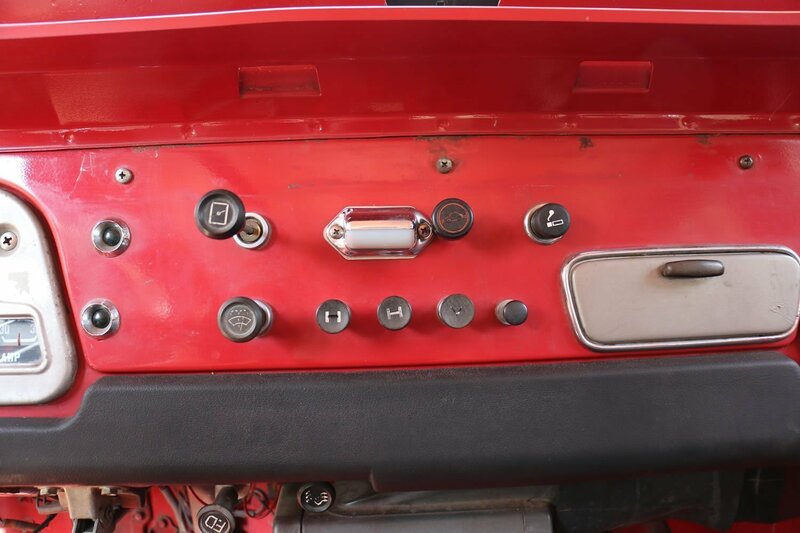 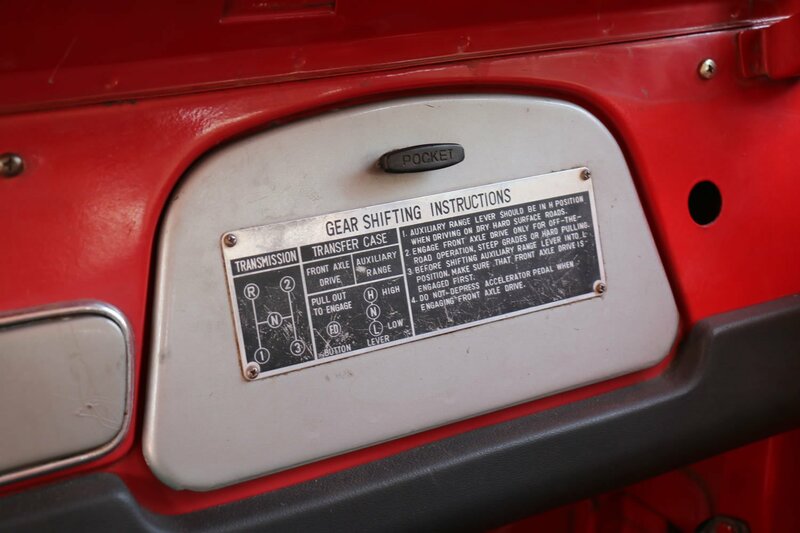 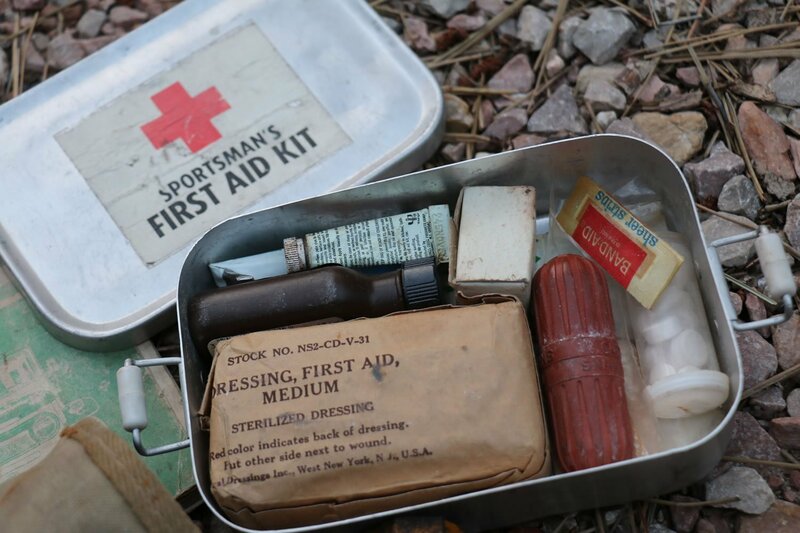 The best part is that it is quite original and includes hard-to-find items such as the owner’s manual, tool roll, original trouble light and more. 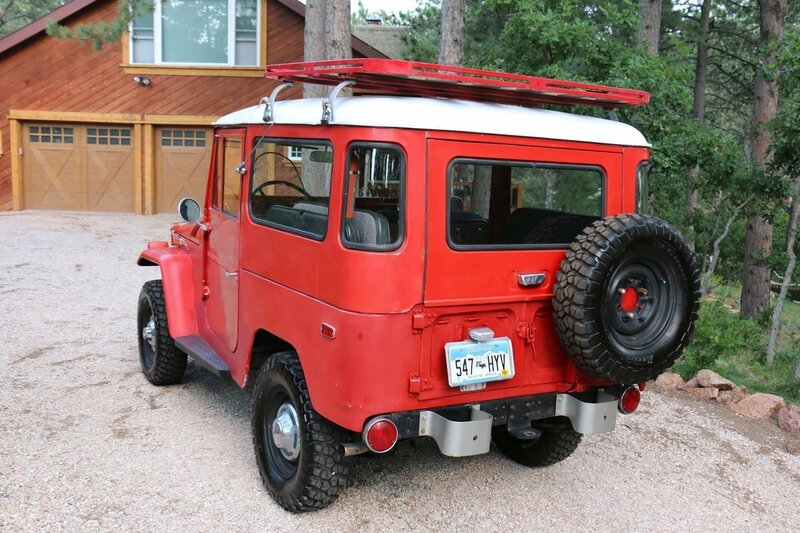 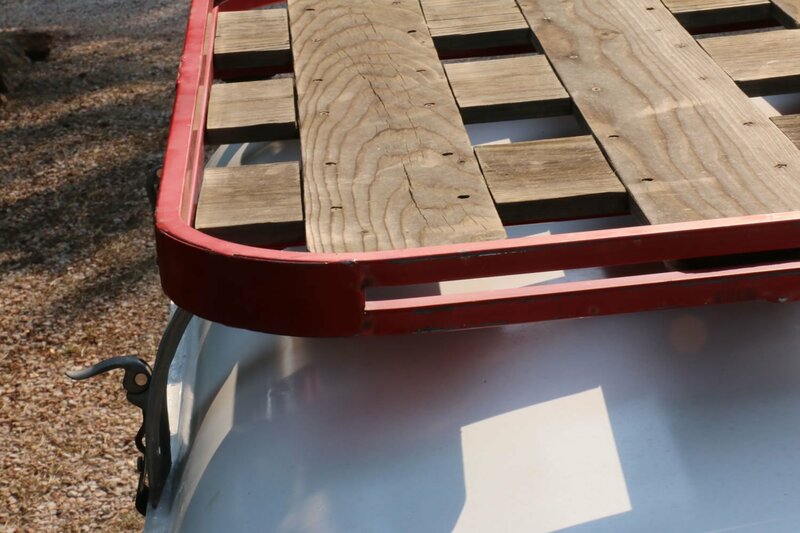 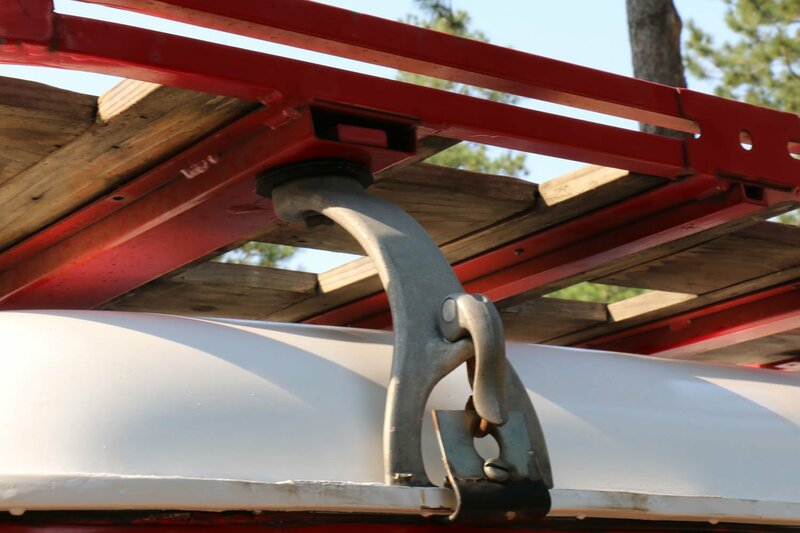 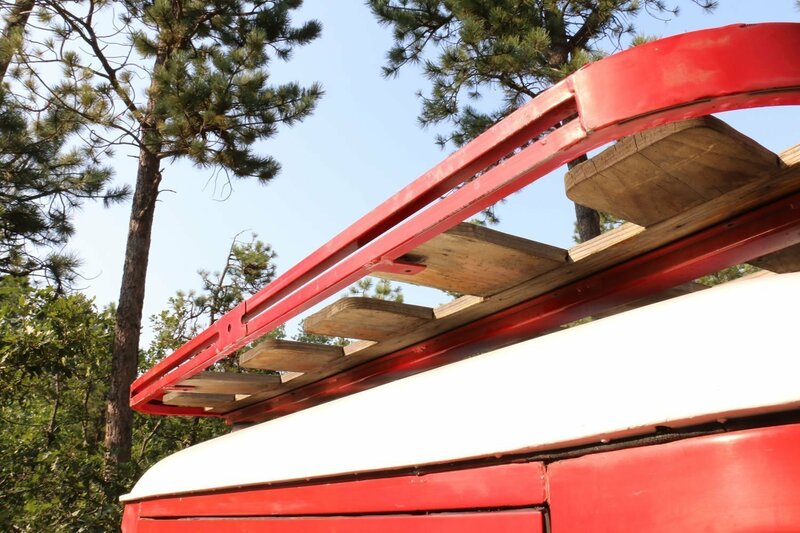 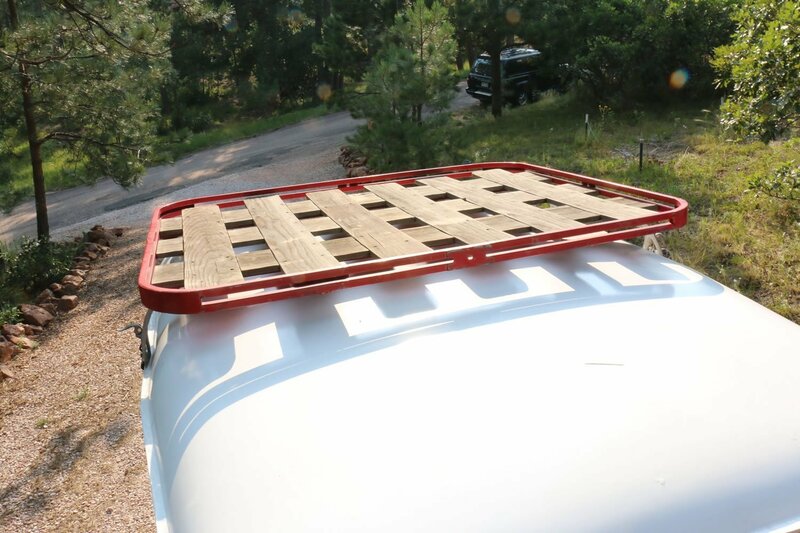 The old-school roof rack appears to be either hand-made or quite vintage and is probably period-specific to 1971. 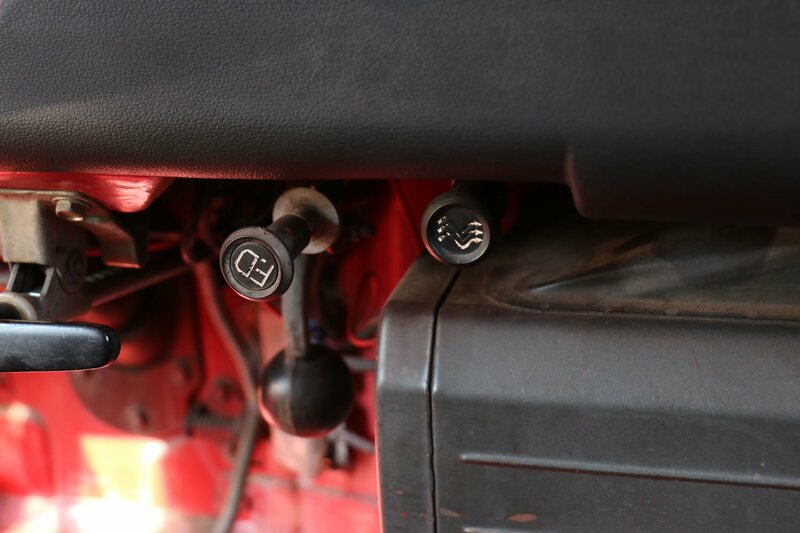 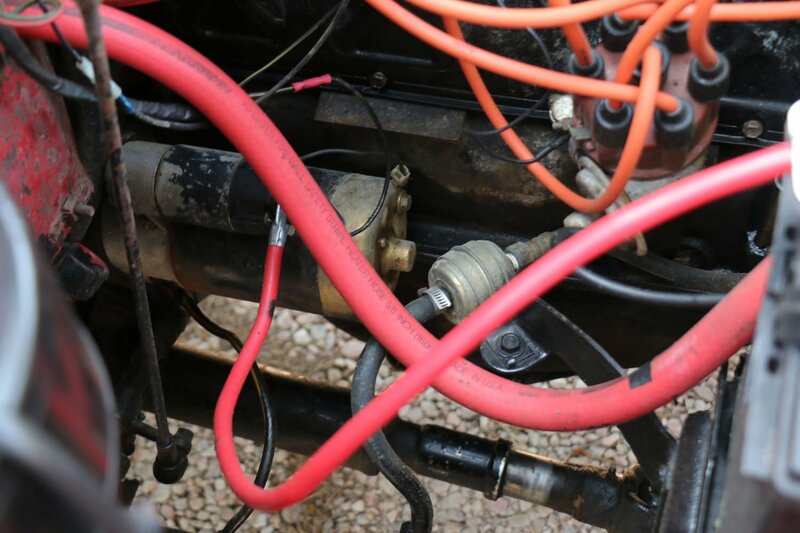 -Needs new speedo cable (part is about $70); speedo cable stopped working about 300 miles ago. 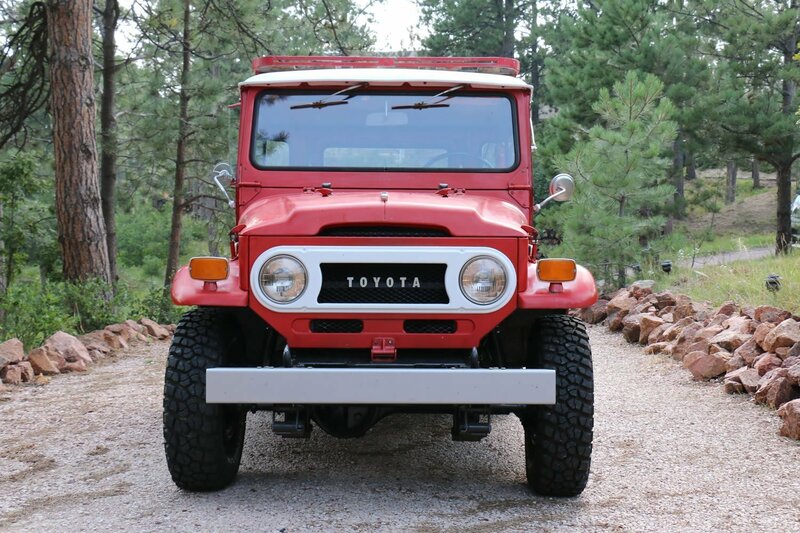 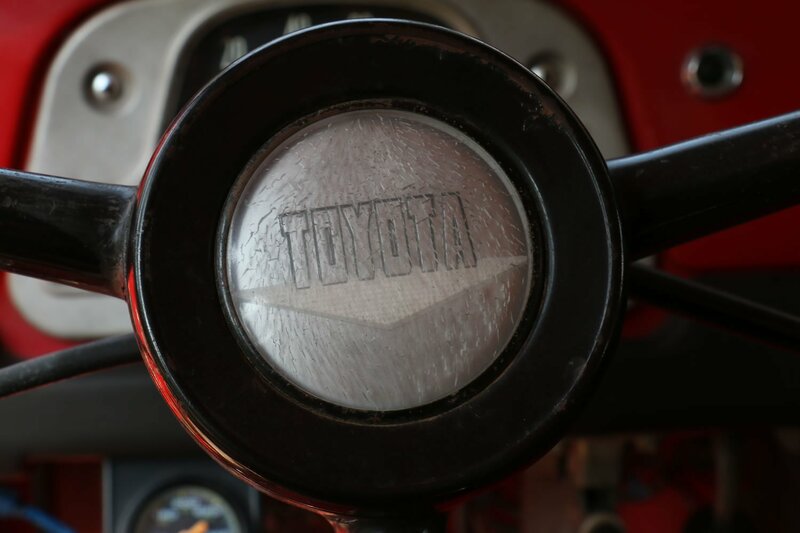 We recently picked up a 1975 FJ40 out of Alamosa, Colorado. 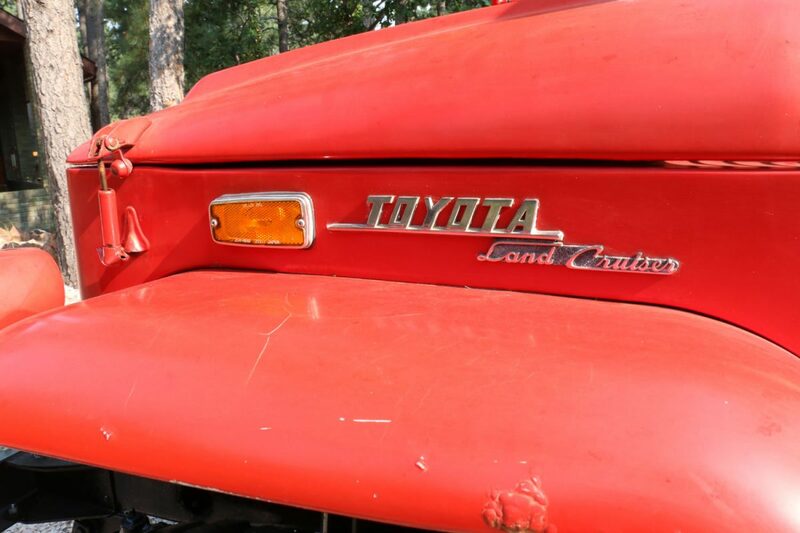 It hadn’t been run in nearly 15 years. 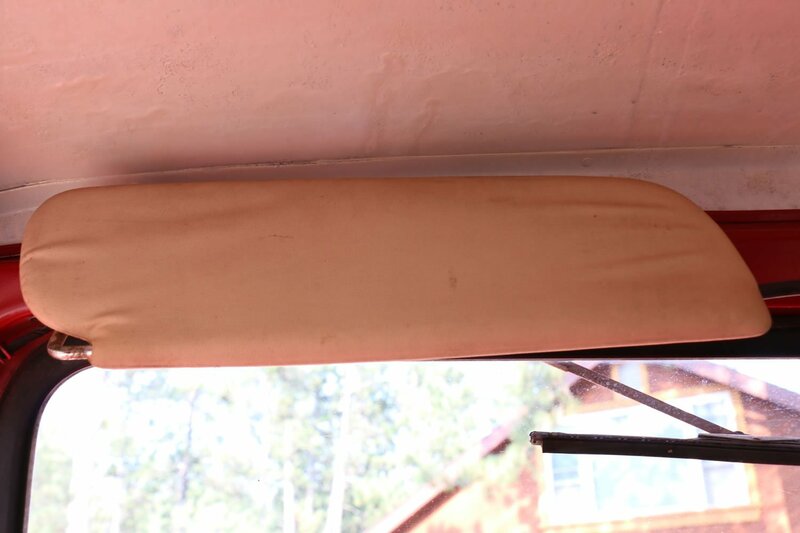 We called to inquire about the LC and the owner gave us the run down on the nearly 40-year-old Dune Beige Cruiser. 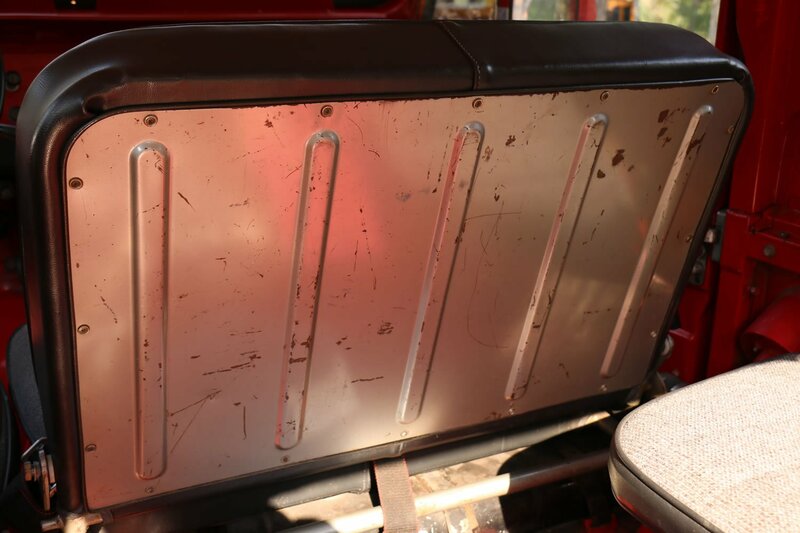 As he described it, he told us there was a rear bench in the back and we went up anticipating a fairly rusted and rotted out bench seat. 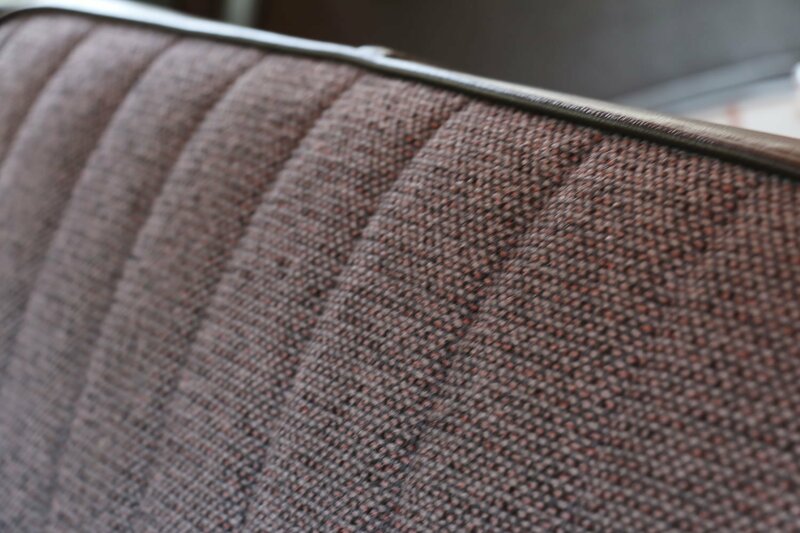 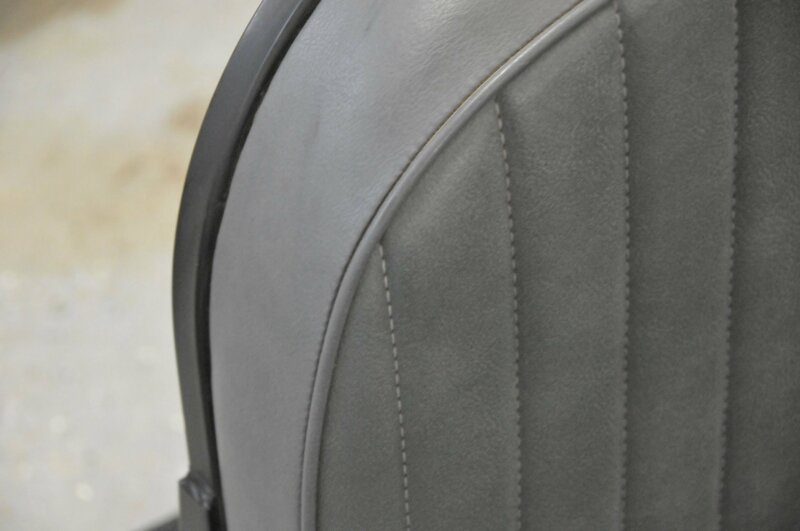 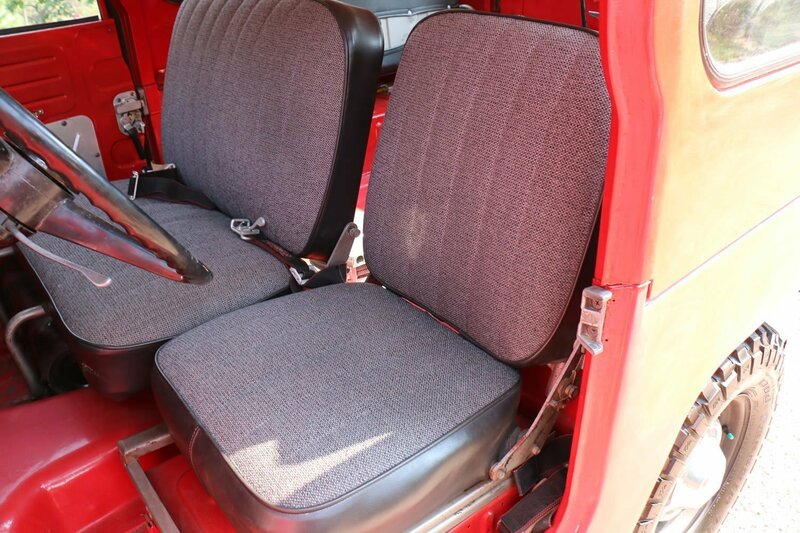 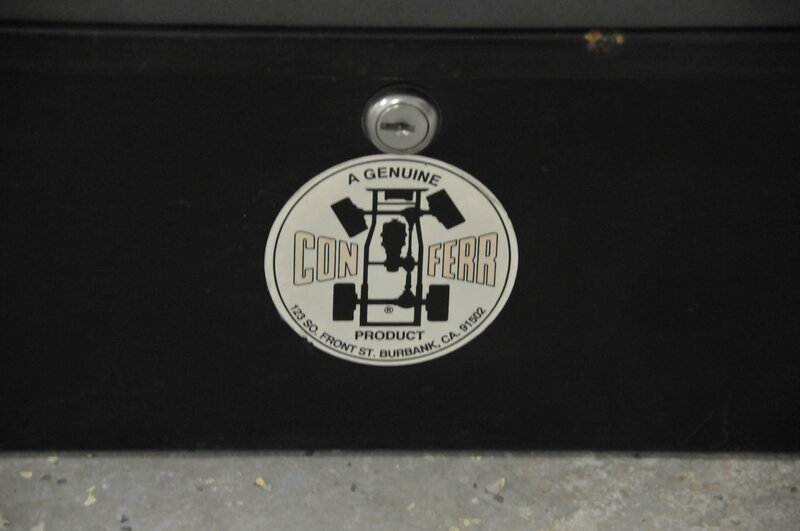 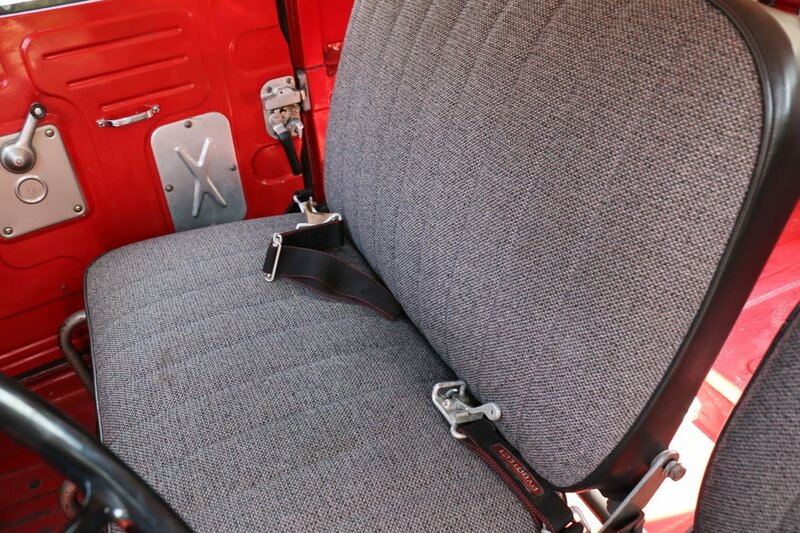 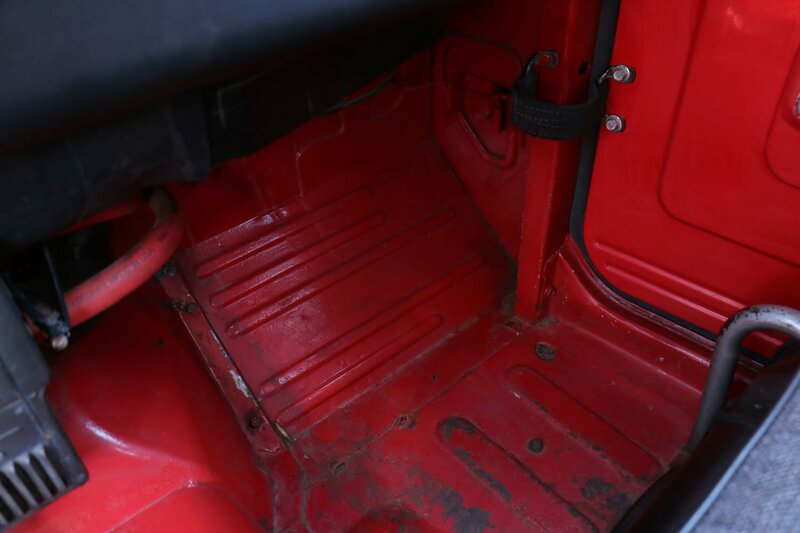 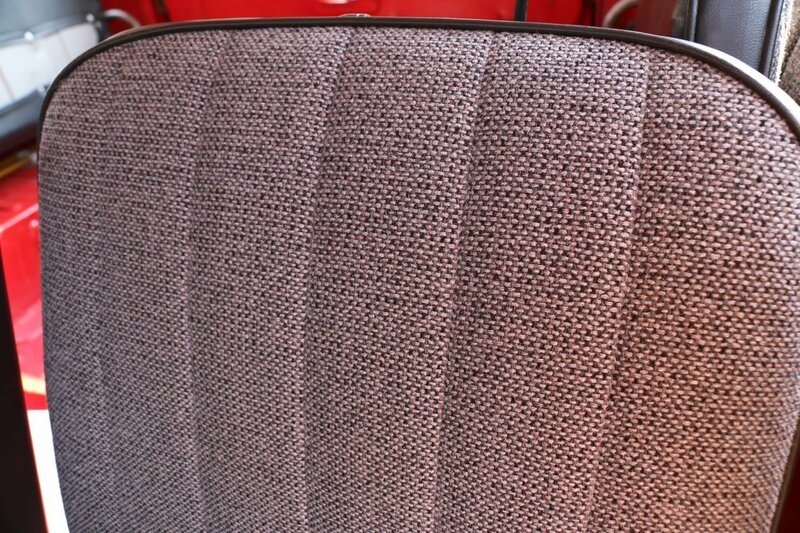 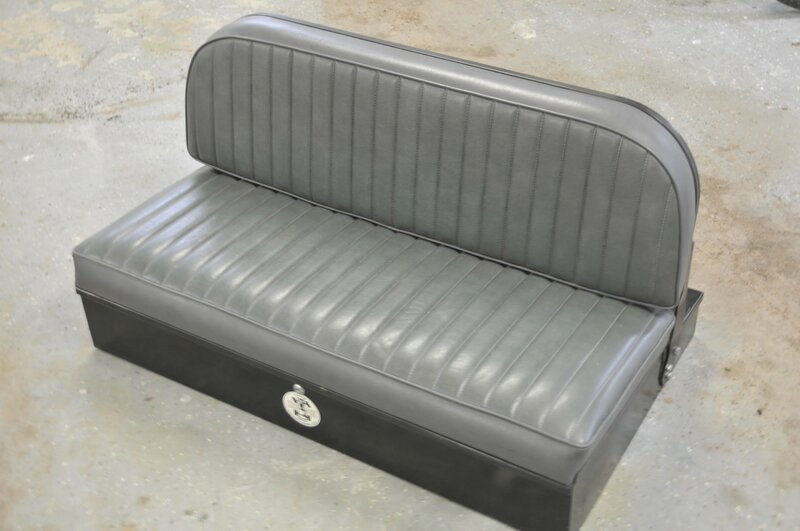 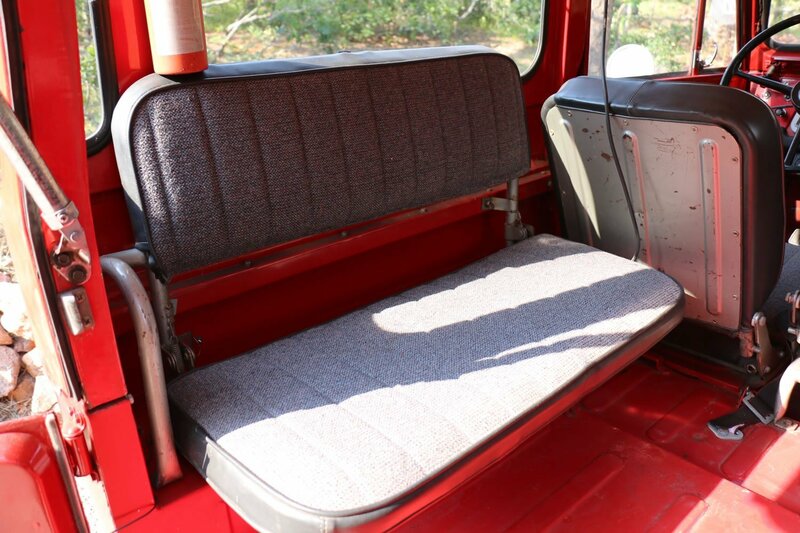 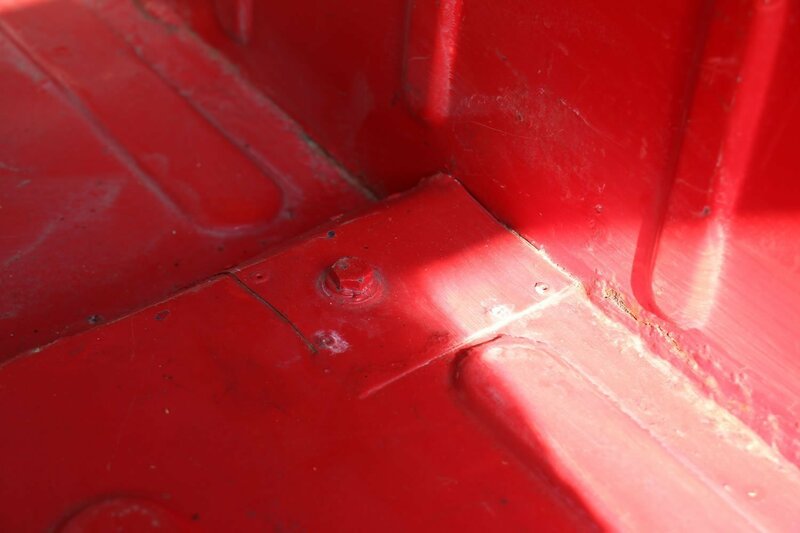 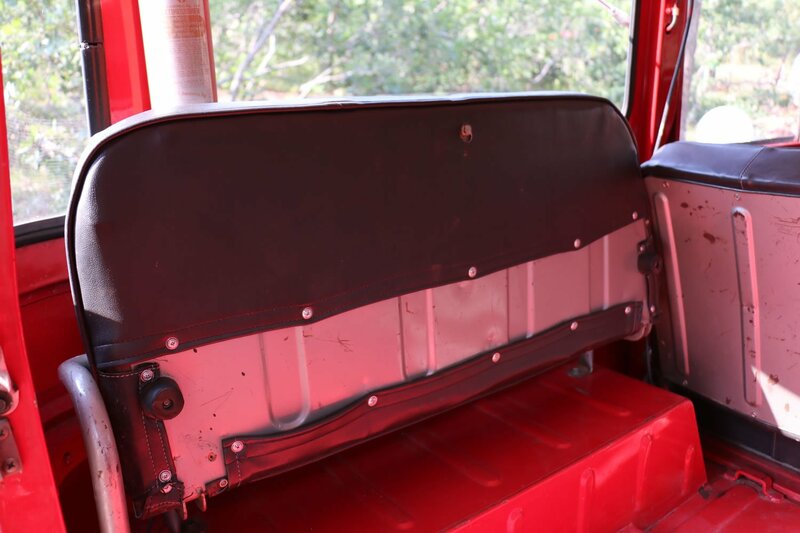 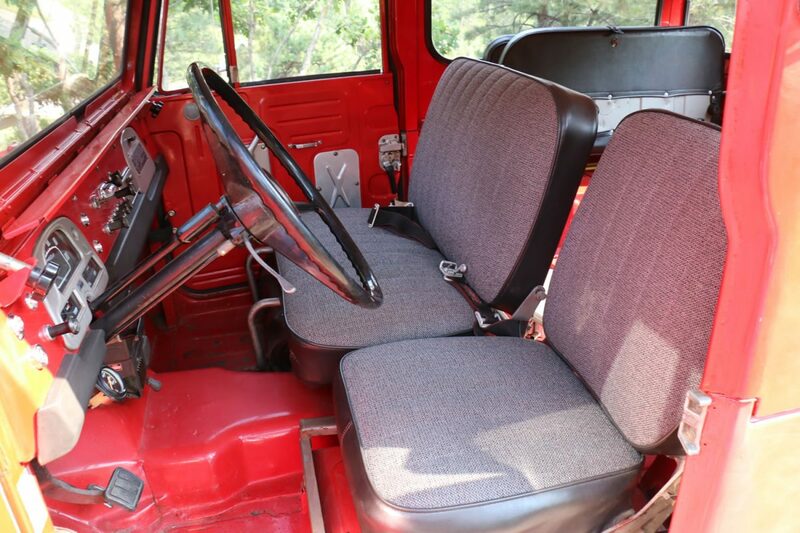 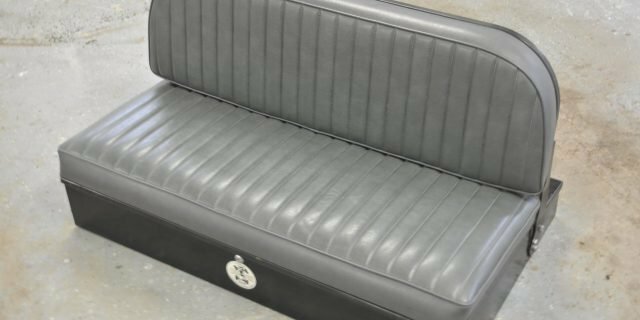 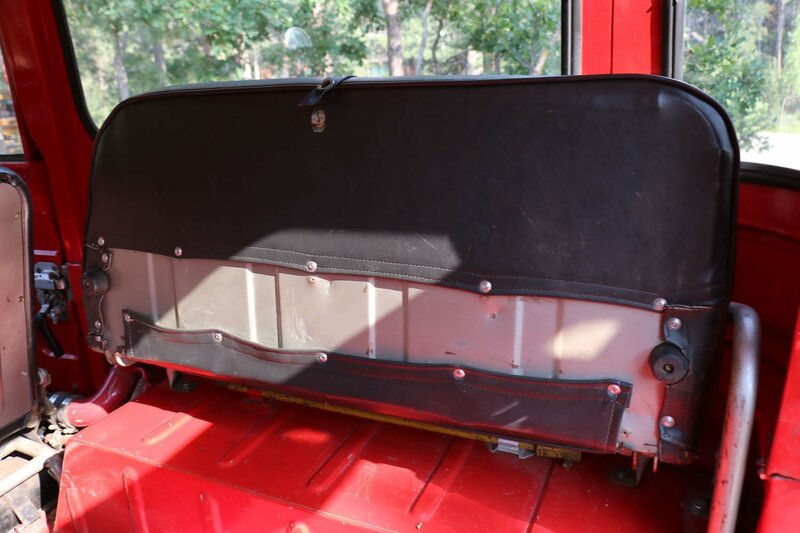 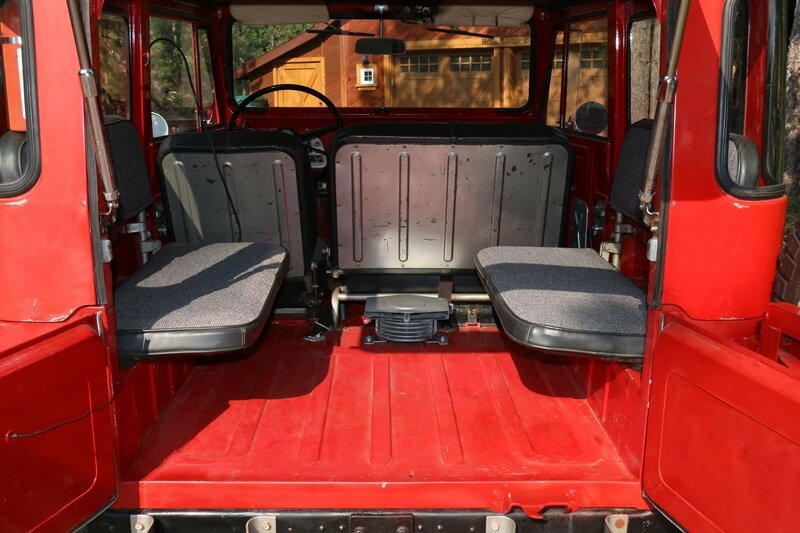 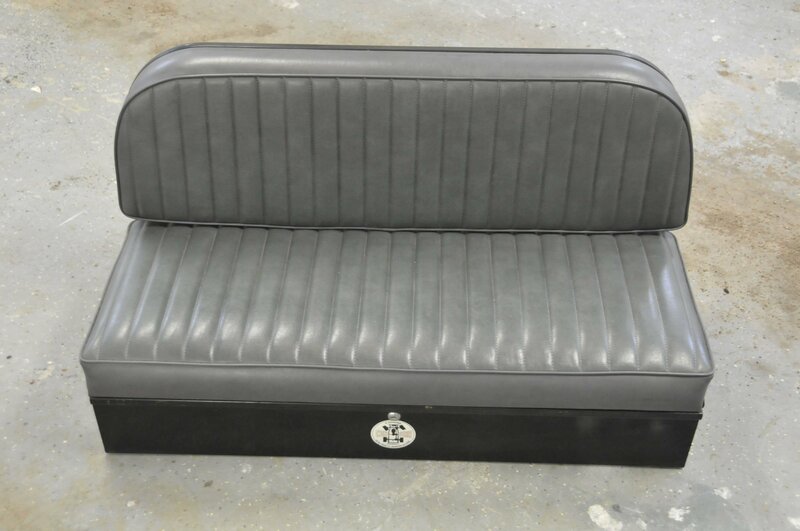 To our surprise, the rear seat was an original Con-Ferr bench seat in near perfect condition. 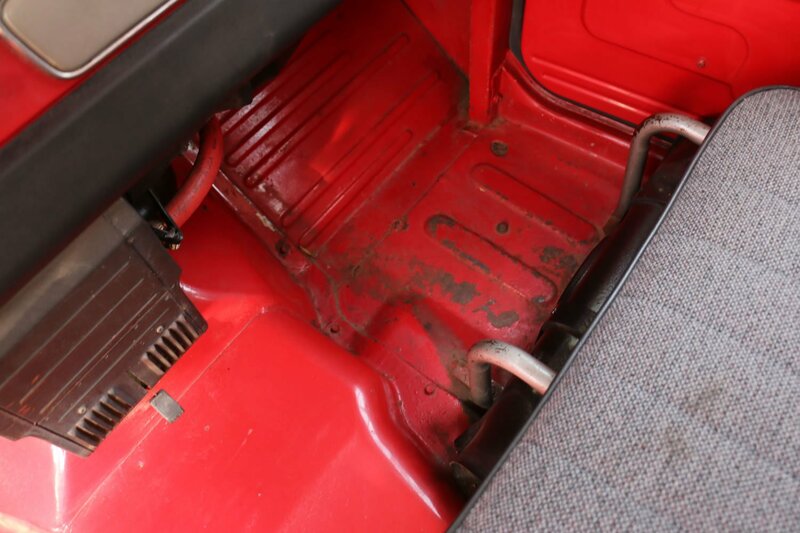 It even had the underseat storage and rear storage area. 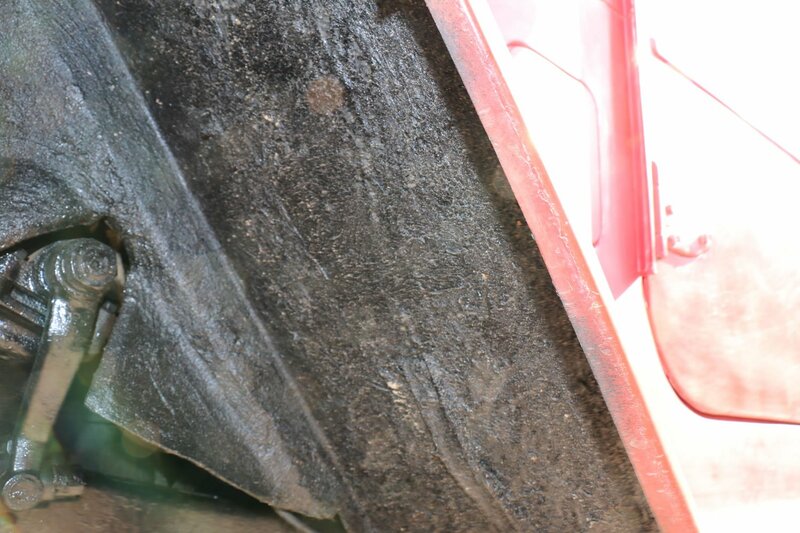 The vinyl was in mint condition. 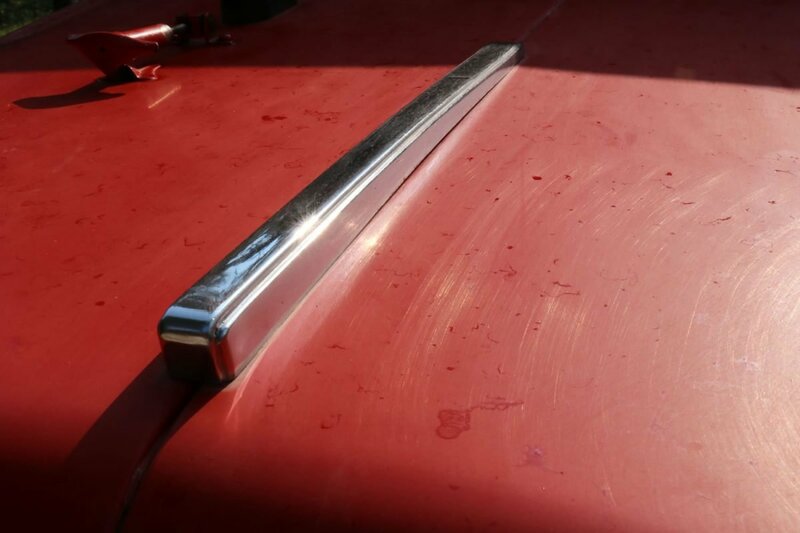 We took it out of the Cruiser and hit it with some Armorall and it looked as good as new. 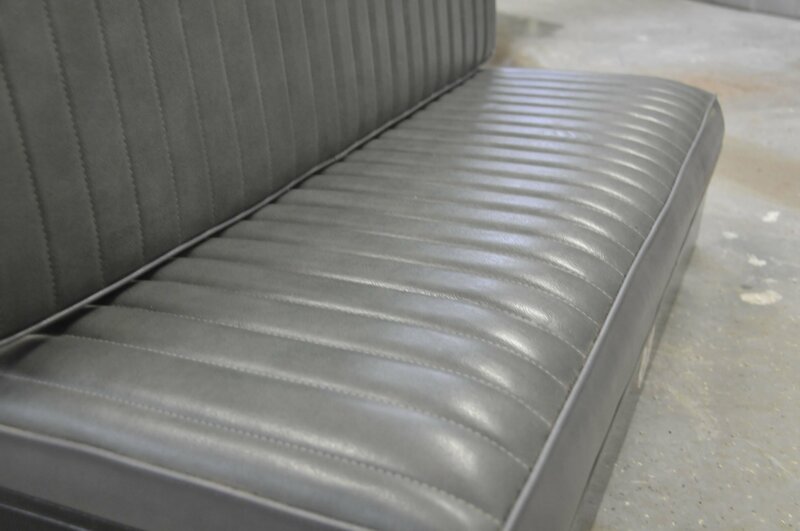 Aside from some surface rust on the bottom of the seat, due to moisture being trapped underneath, this bench seat was practically brand new. 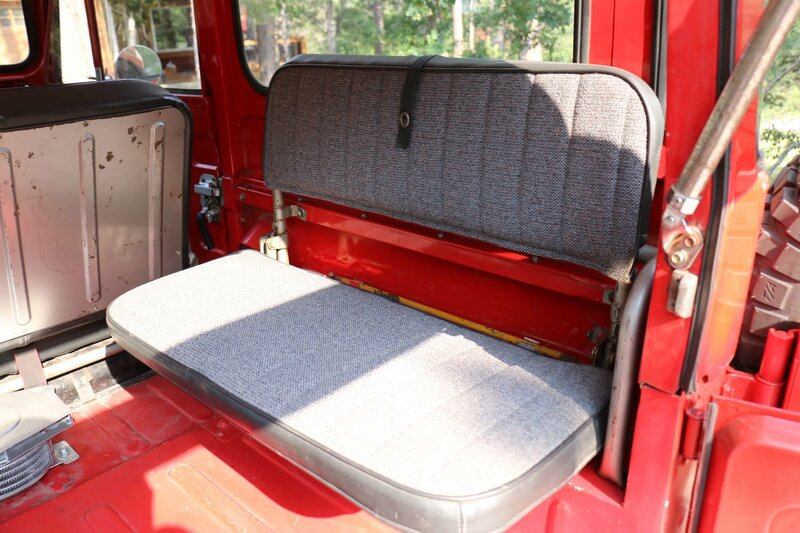 If you’ve got kids or someone that won’t ride in the back of your FJ because the factory jump seats are just way too uncomfortable, this seat is a great alternative to the jump seats. 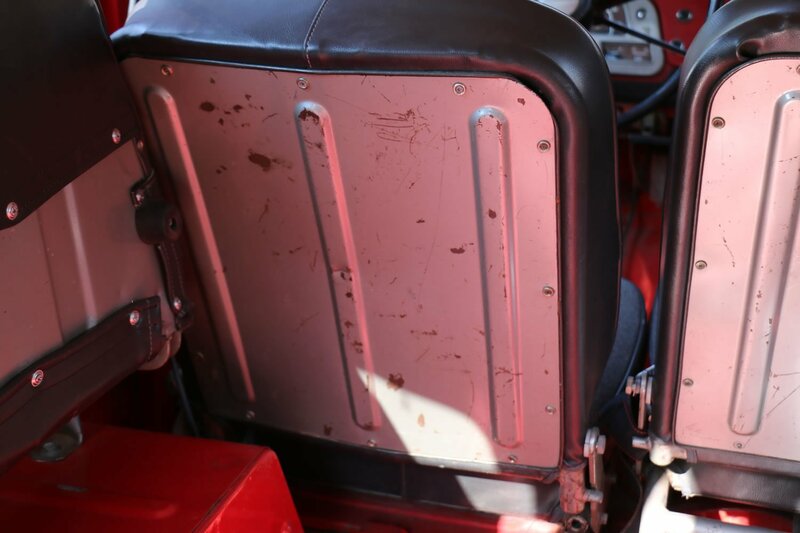 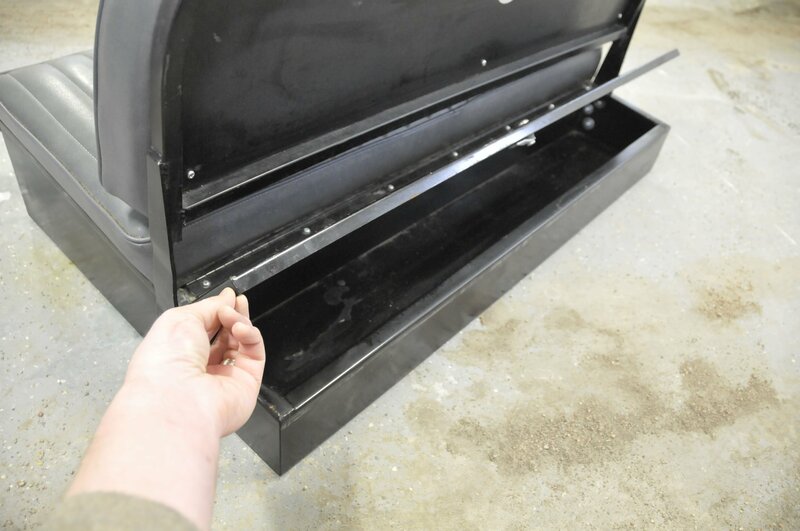 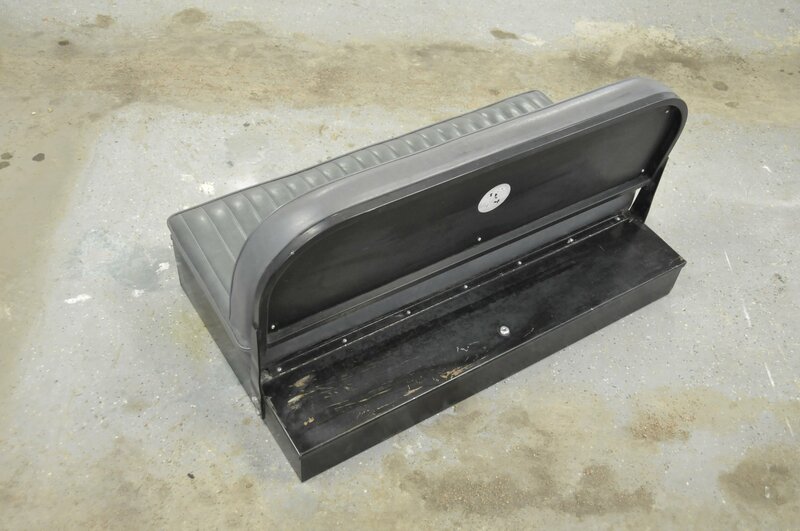 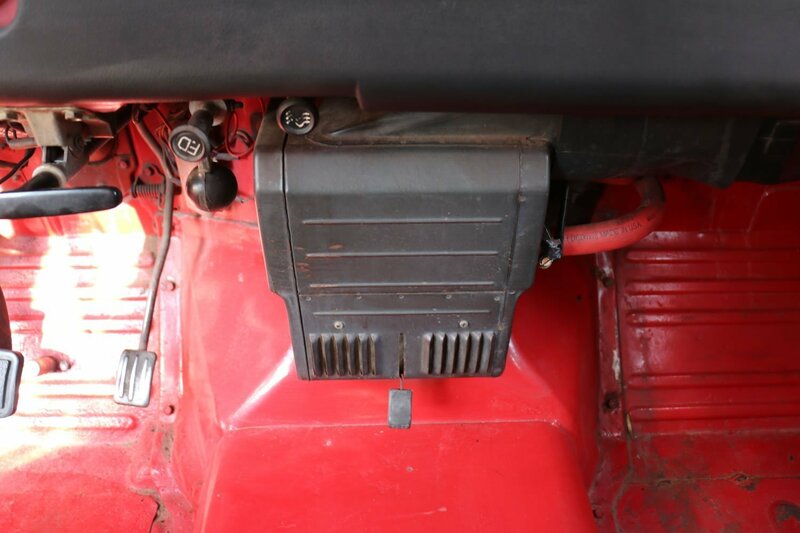 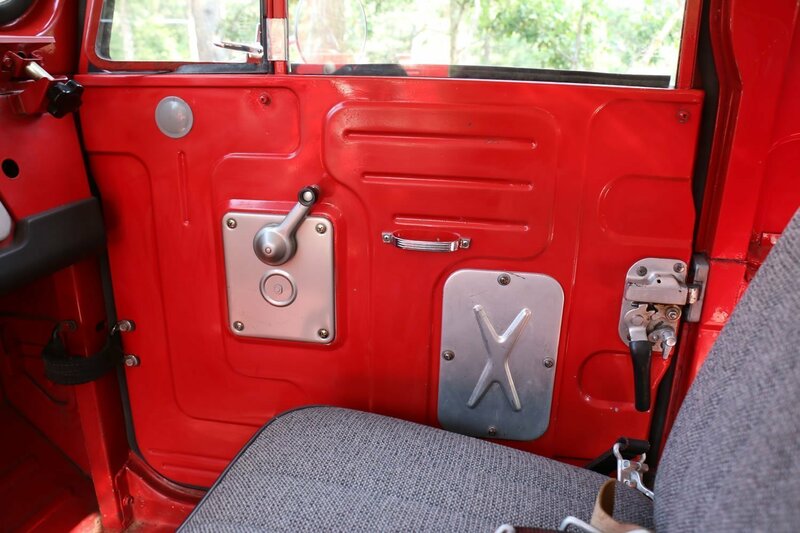 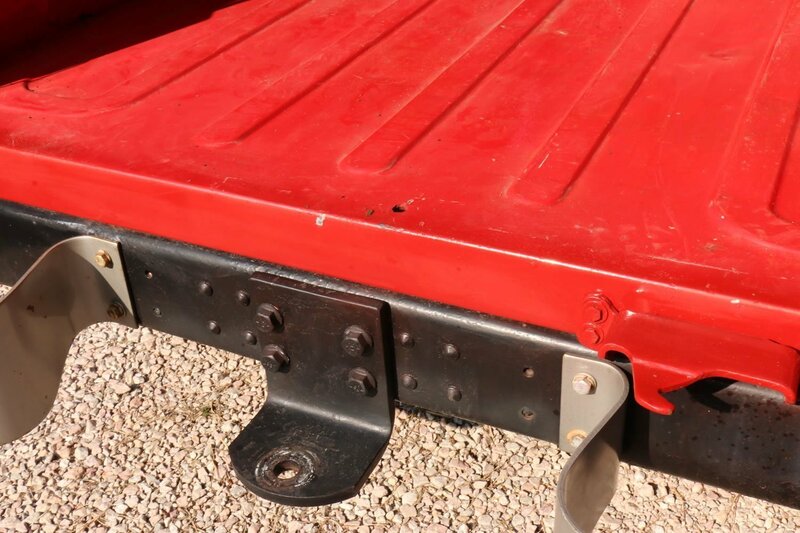 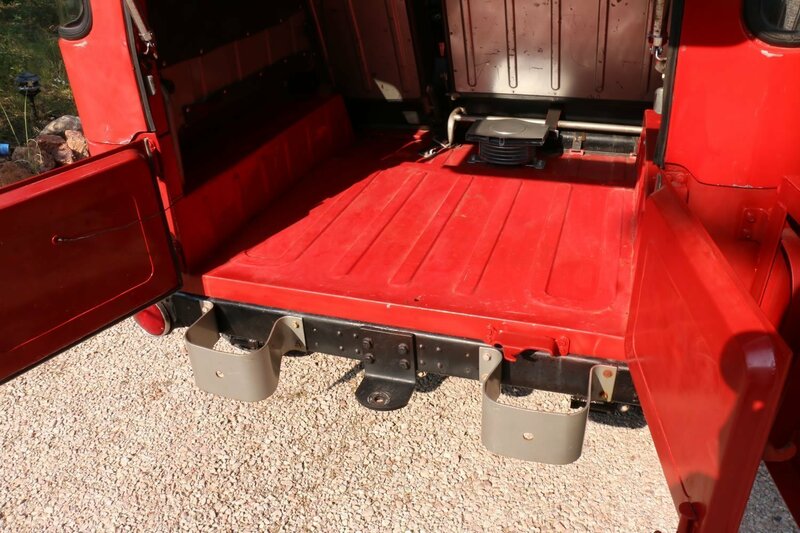 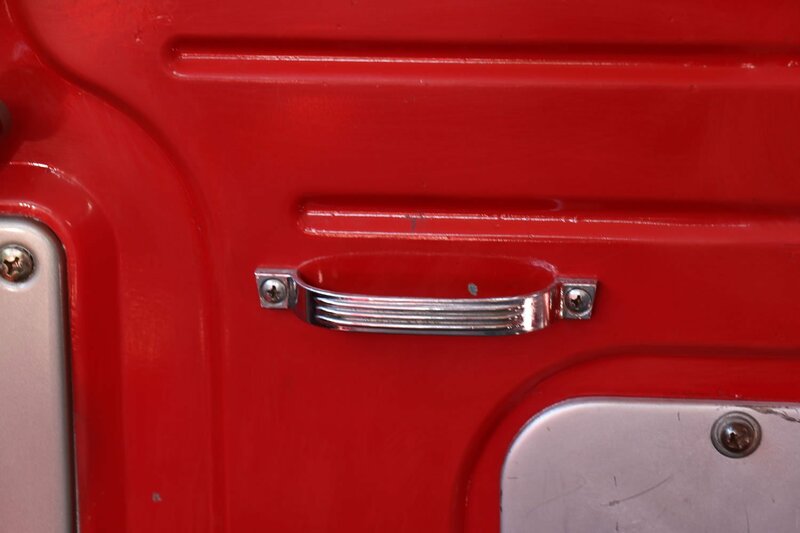 There is storage under the seat itself and storage in the rear, which is perfect for keeping gloves, tow straps, chains, tools, or other gear. 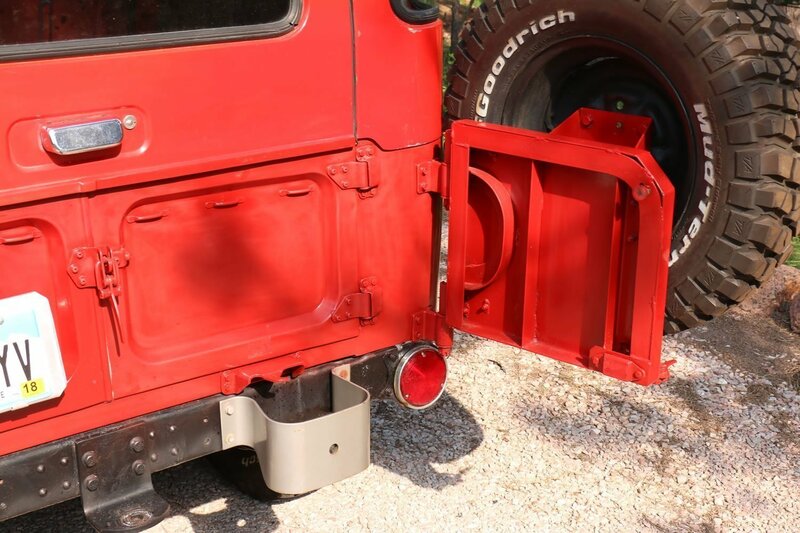 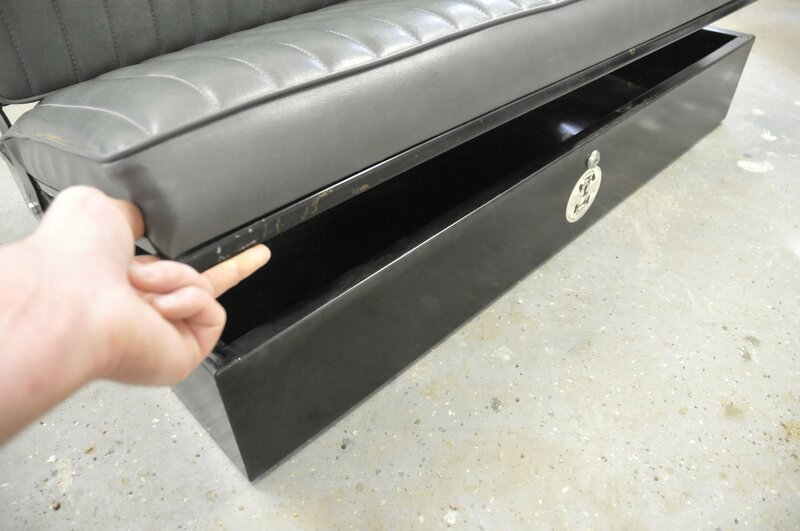 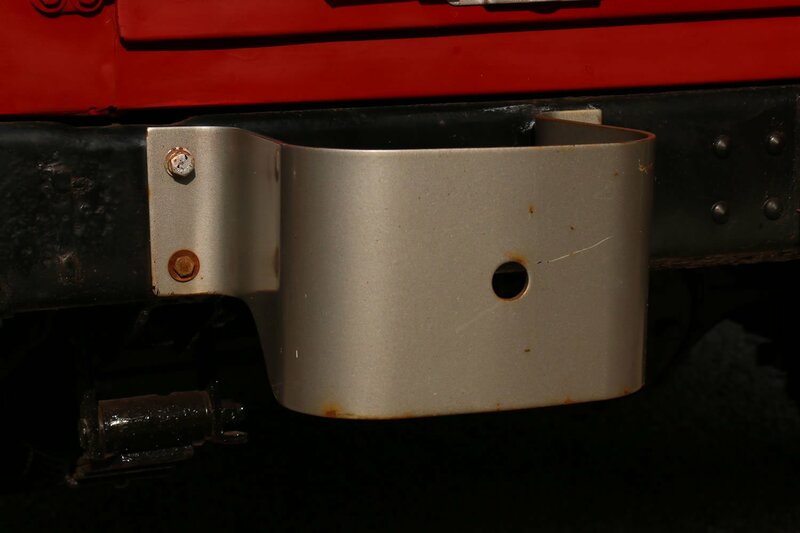 You could also cut holes into that smaller rear storage area and easily drop in some speakers. 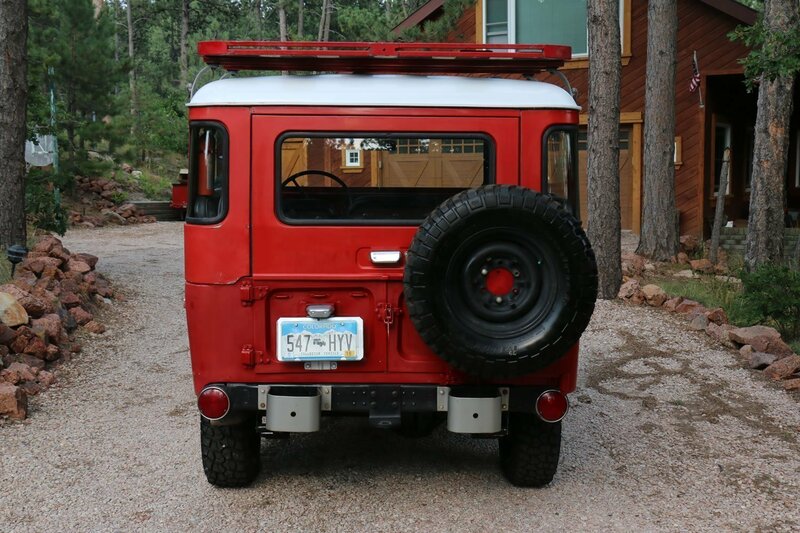 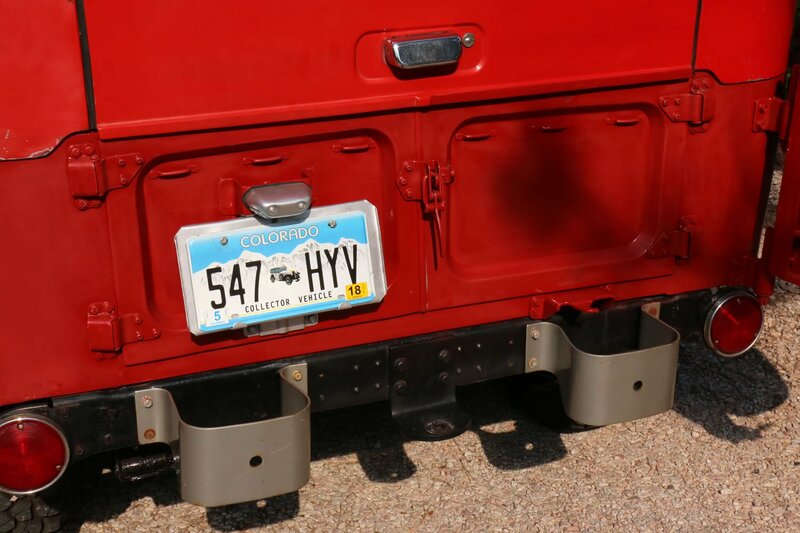 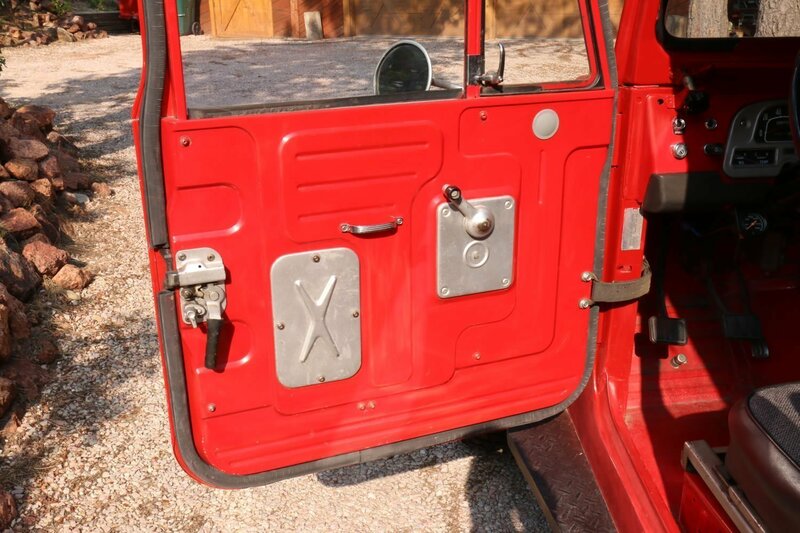 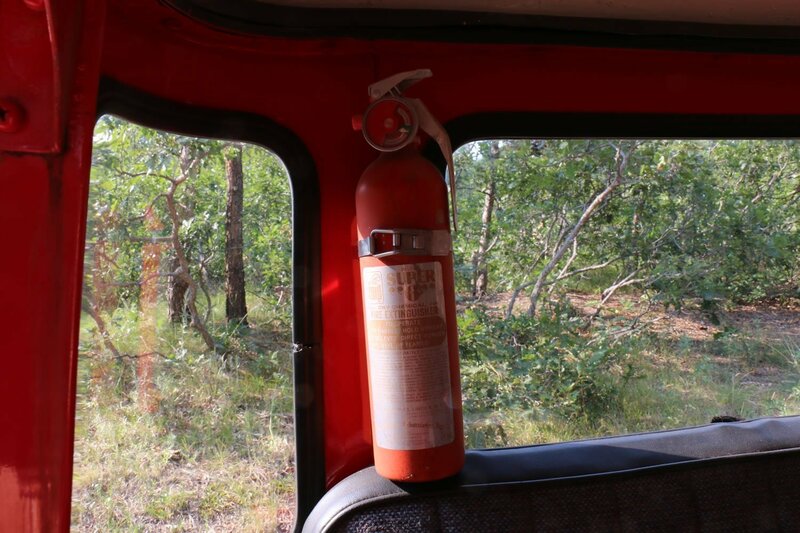 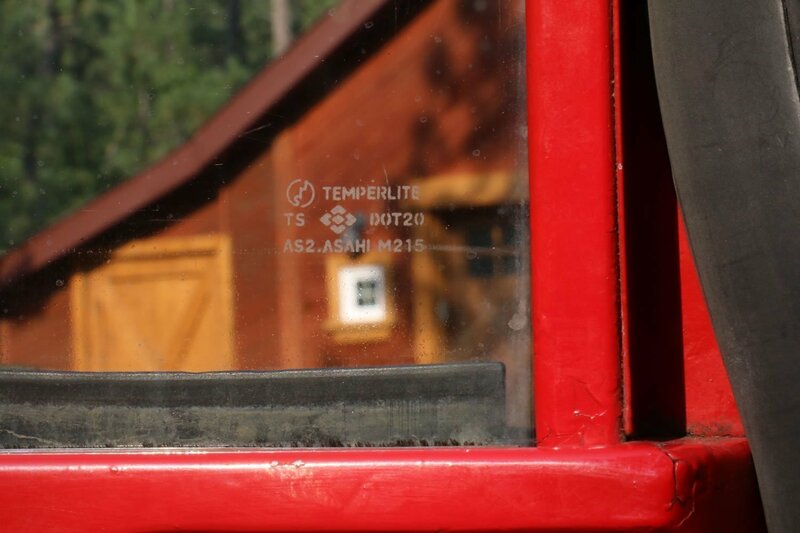 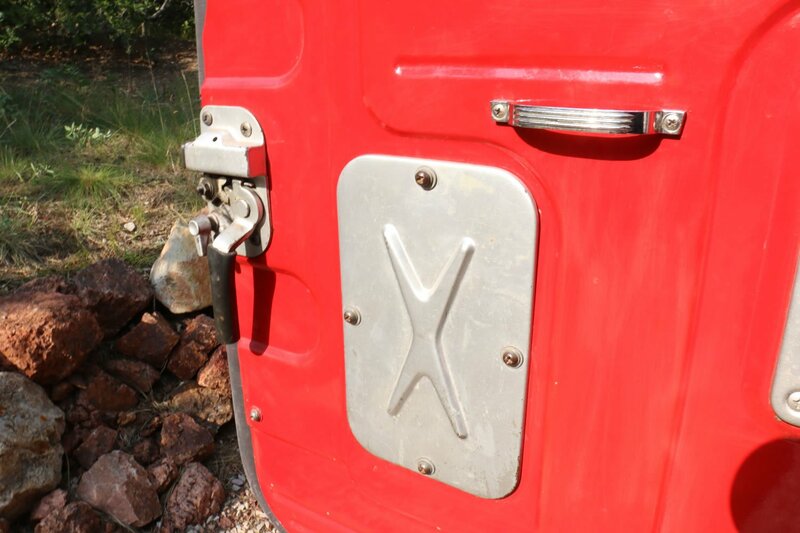 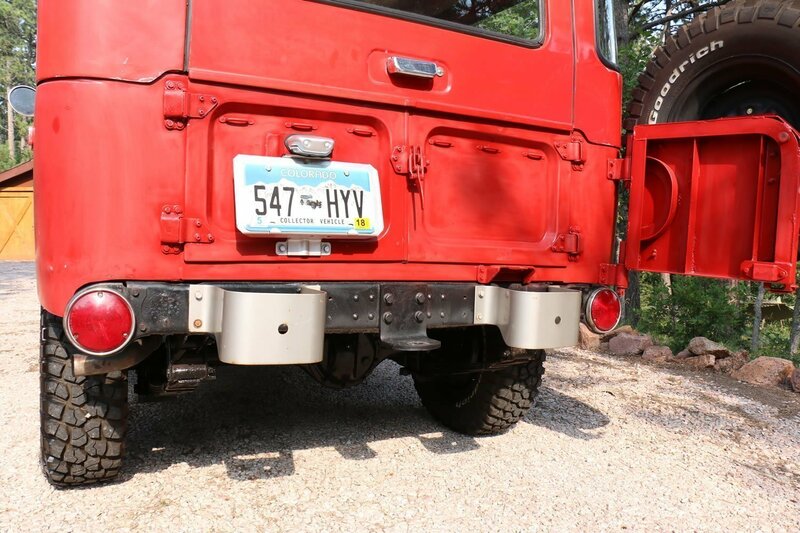 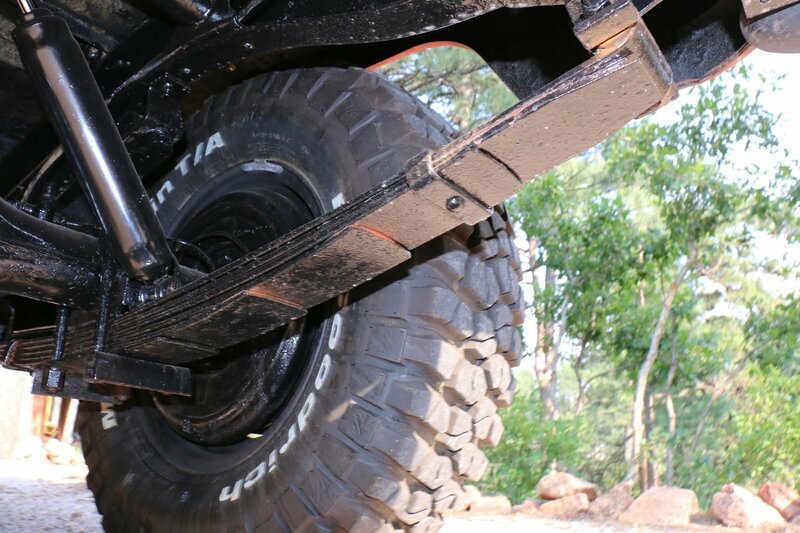 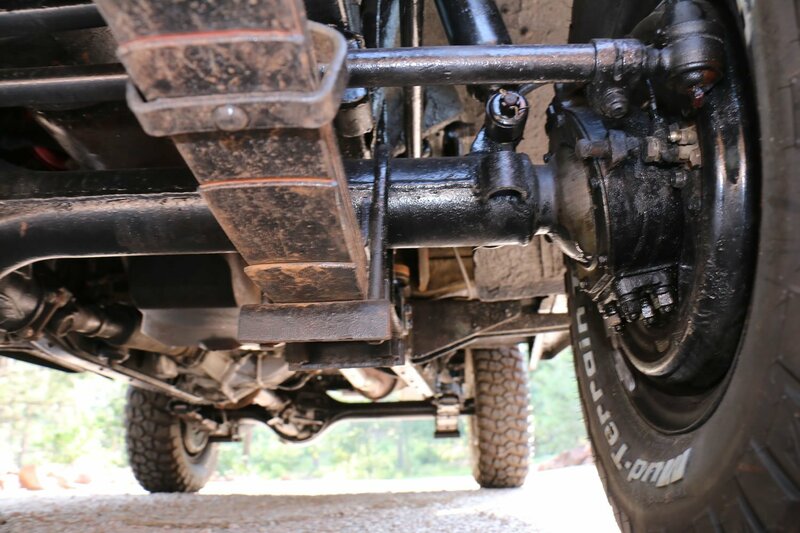 Fits perfectly in the back of any FJ40.